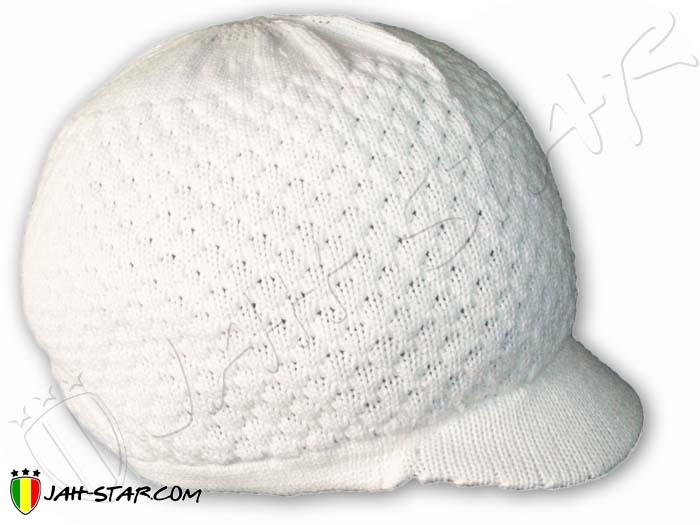 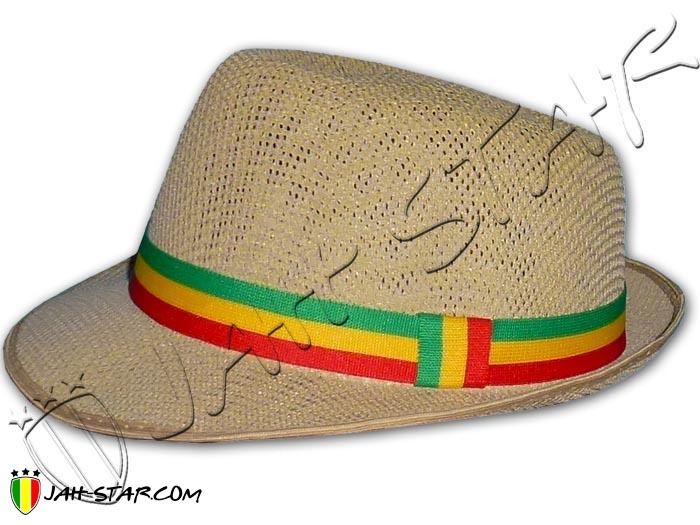 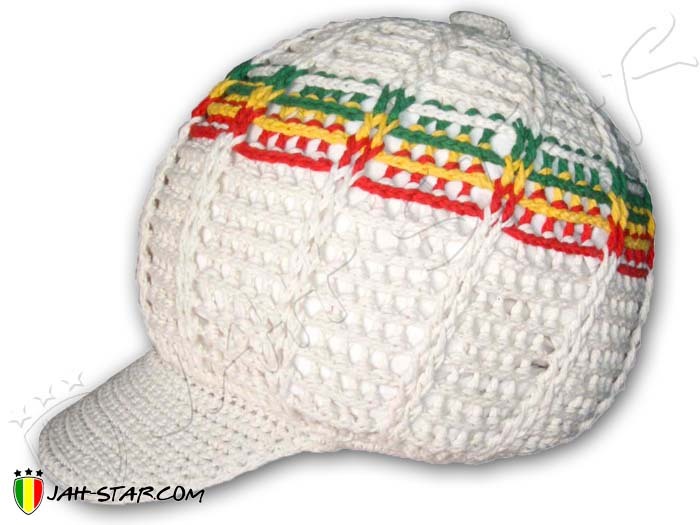 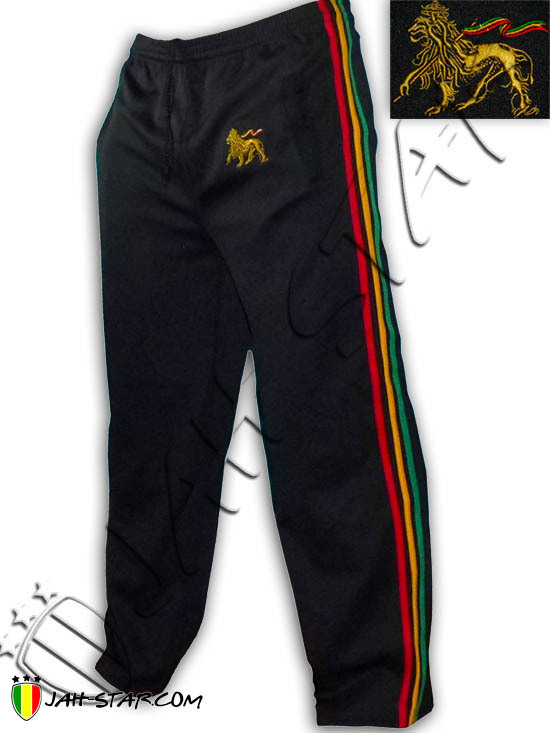 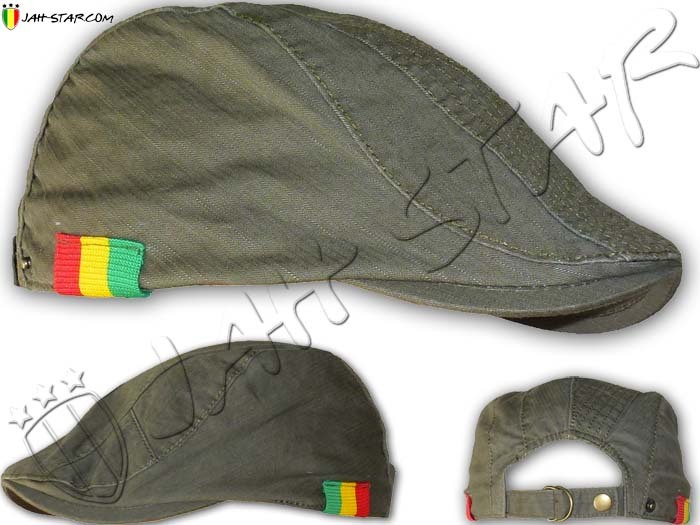 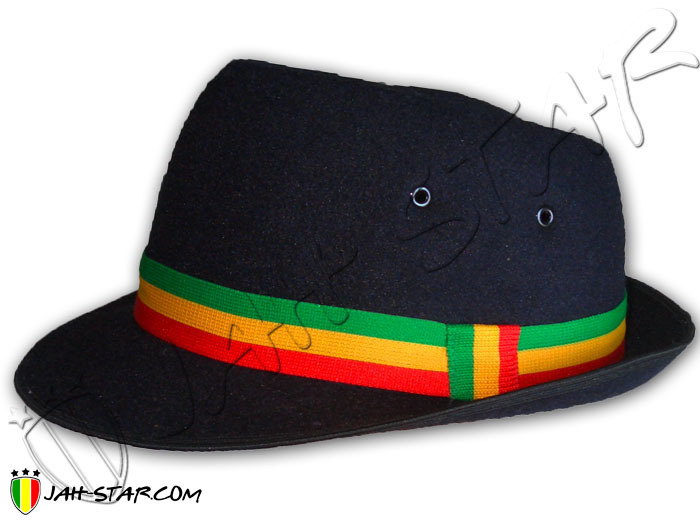 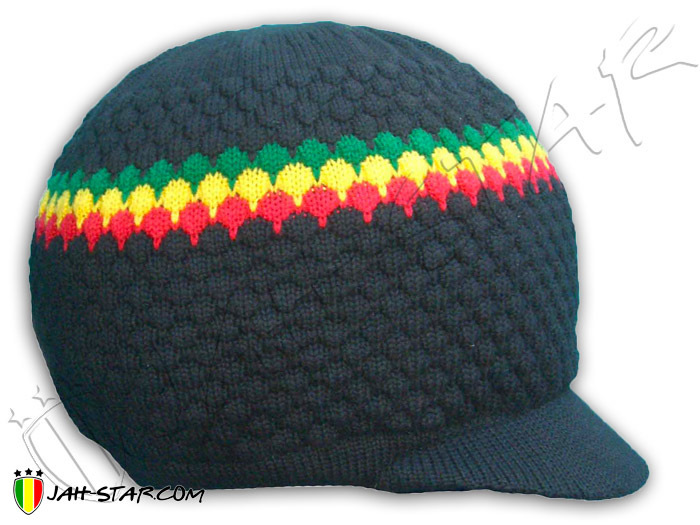 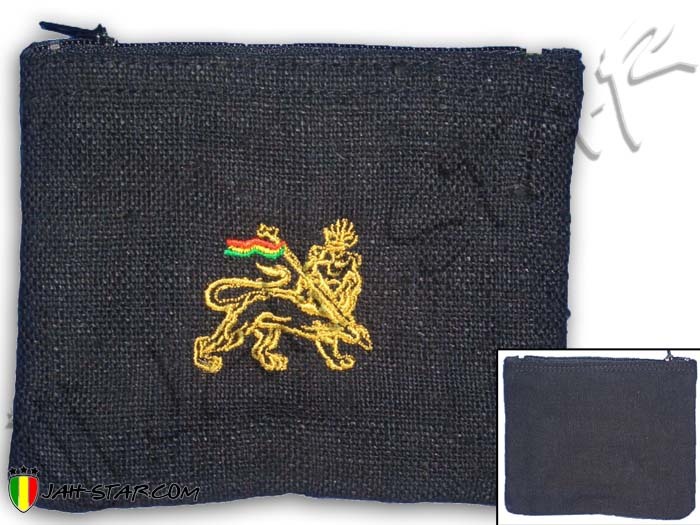 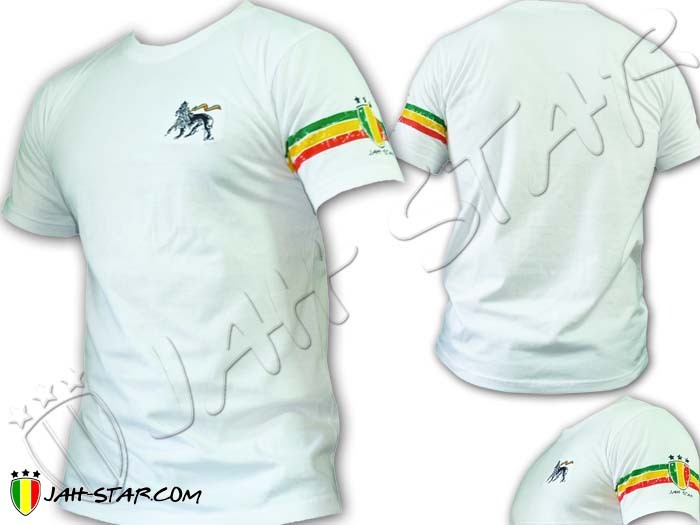 Men Polo branded Jah Star with embroidered logo Conquering Lion Of Judah and the word Rastafari, green, yellow and red stripes on the collar and sleeves. 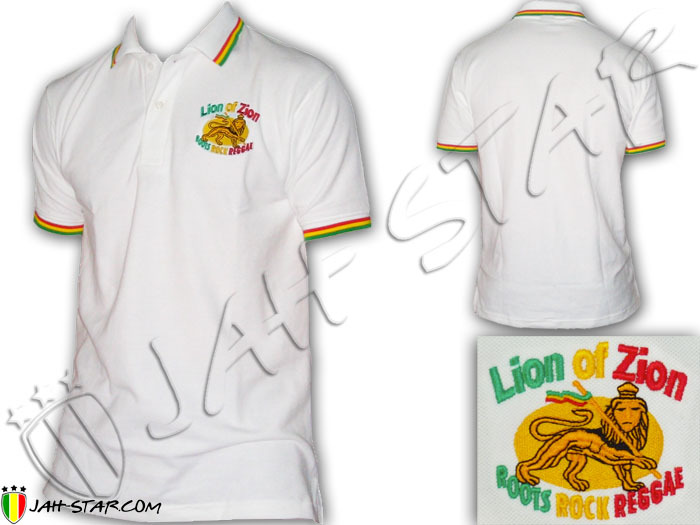 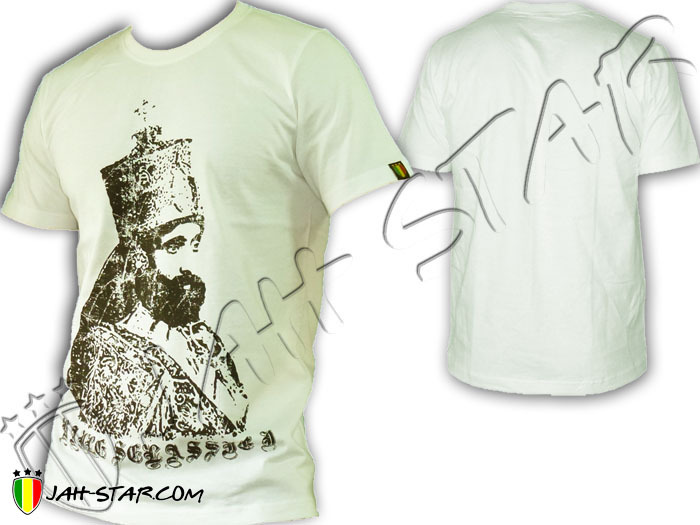 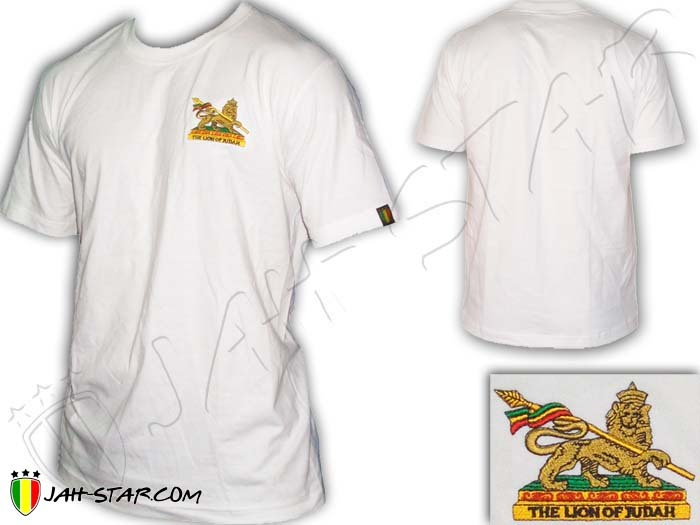 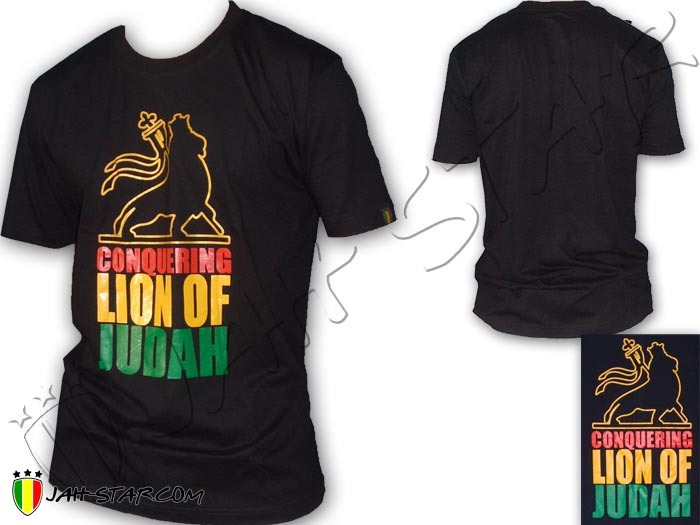 100% cotton, available in white color only,..
Conquering Lion Of Judah Polo branded Jah Star, green, yellow and red stripes on the collar and sleeves, Judah lion embroidered on the chest. 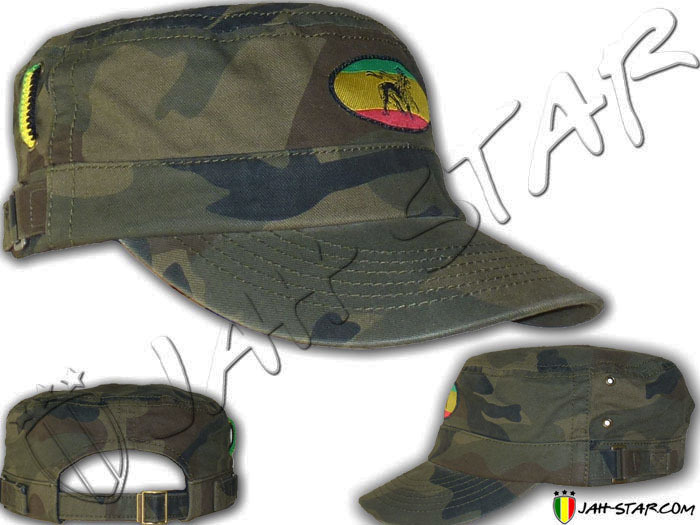 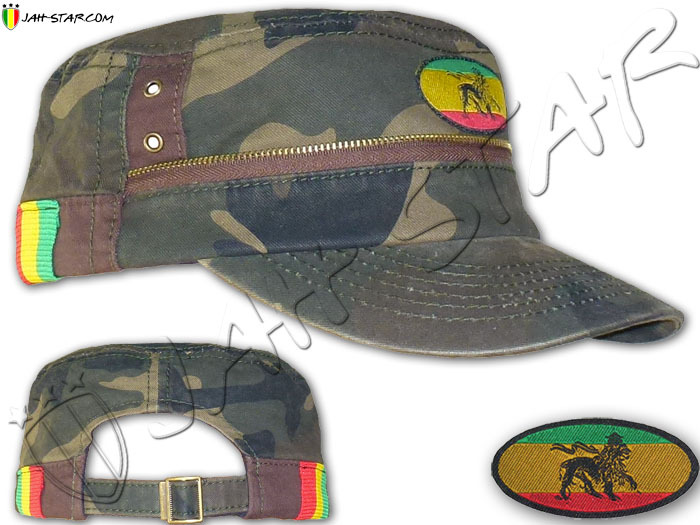 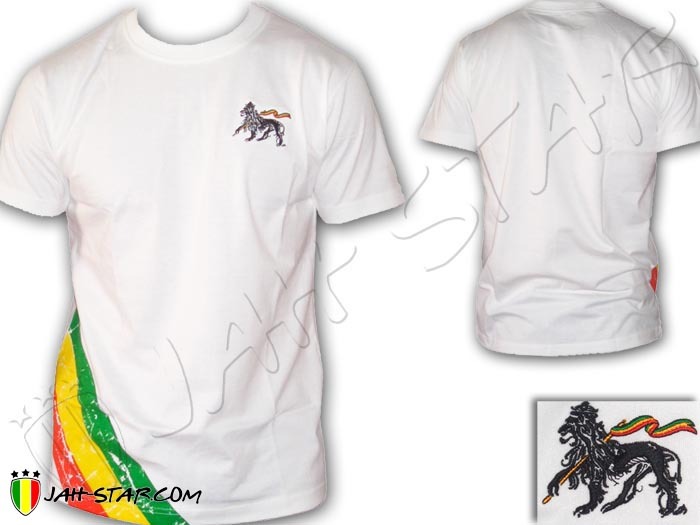 Discret polo with Ethiopia colors, land of..
Jamaica Polo branded Jah Star, striped green and yellow on the collar and sleeves, flag of Jamaica embroidered on the chest, stylish polo with Jamaica color, native land of the king of.. 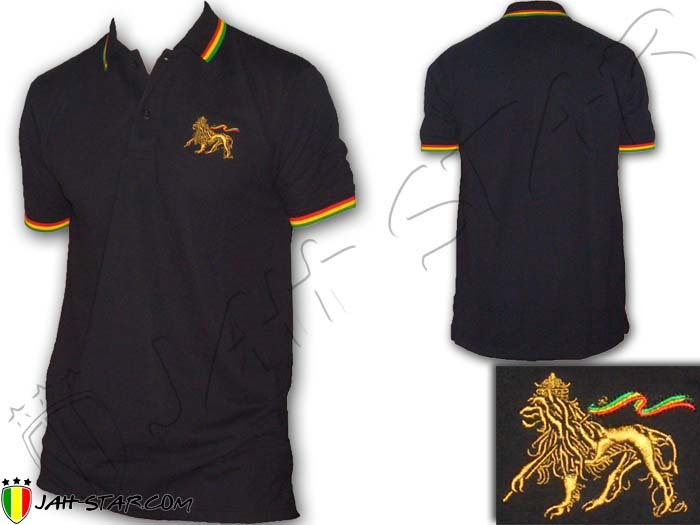 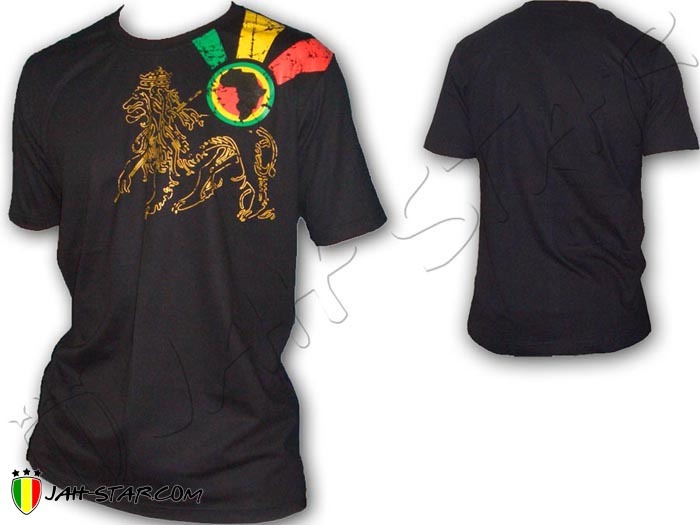 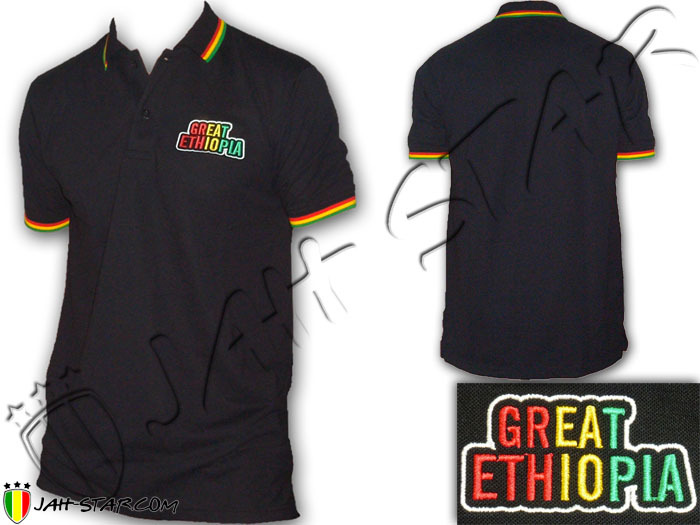 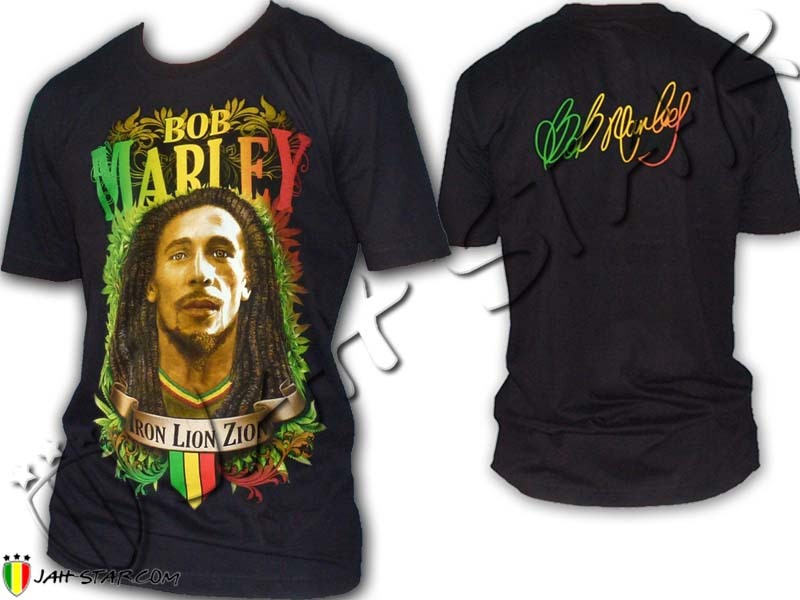 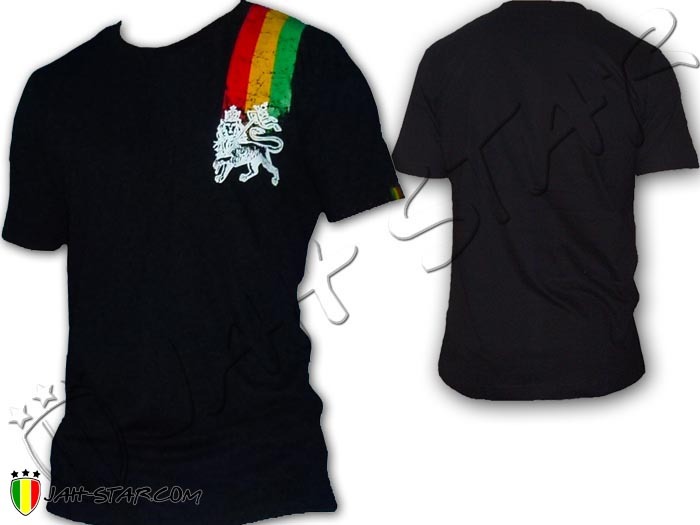 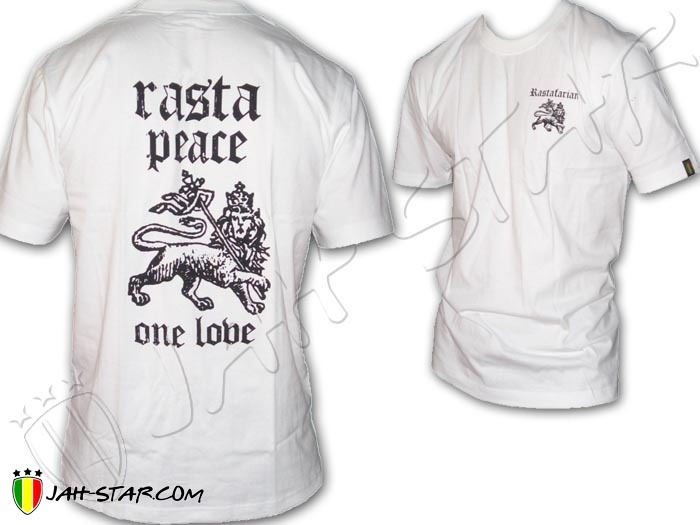 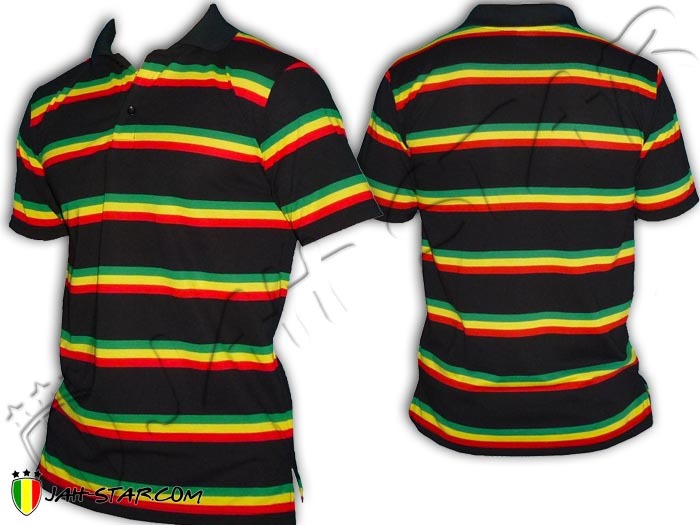 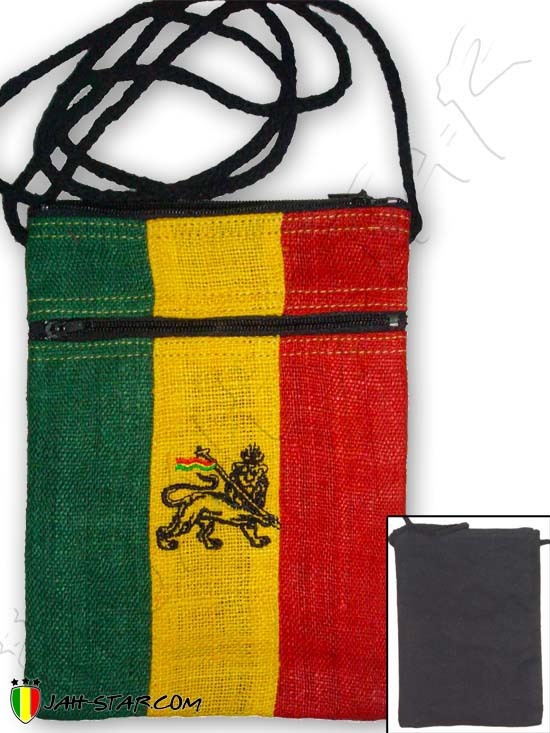 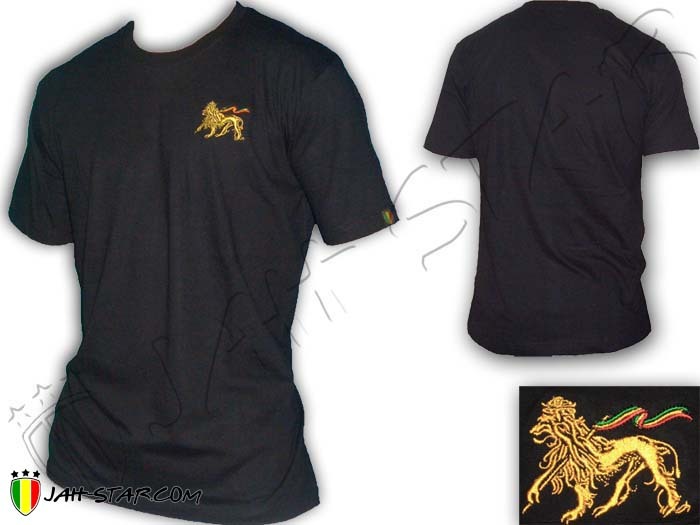 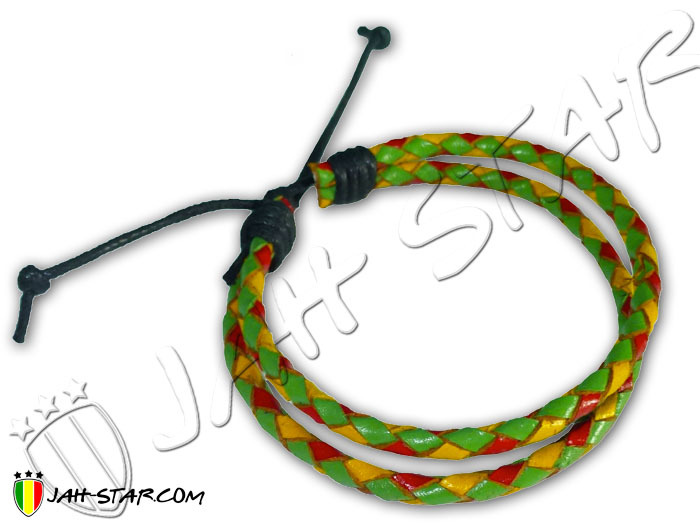 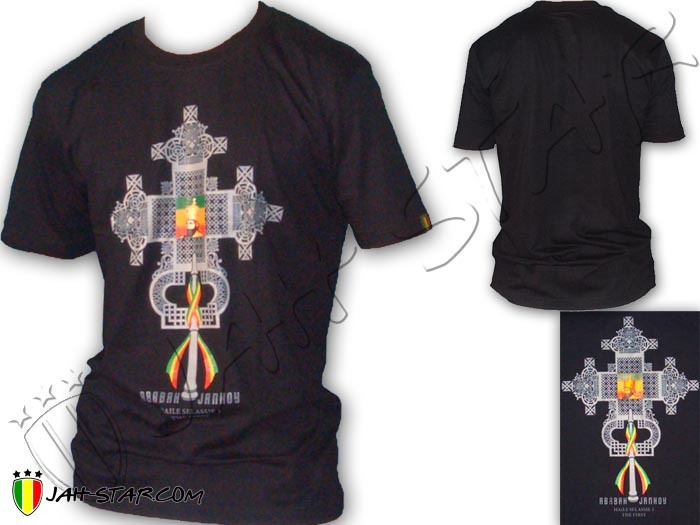 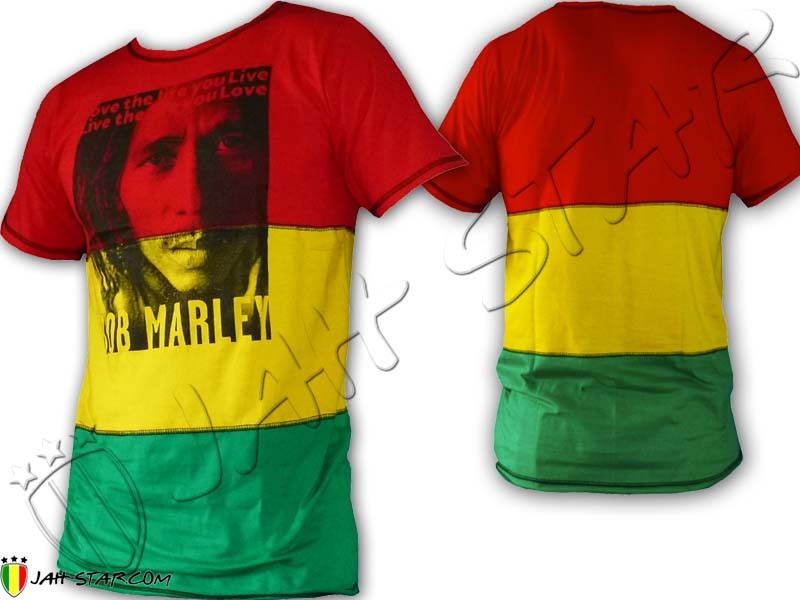 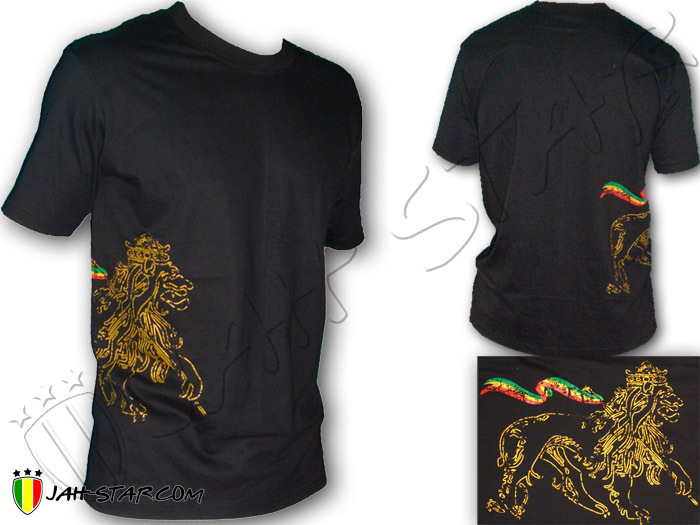 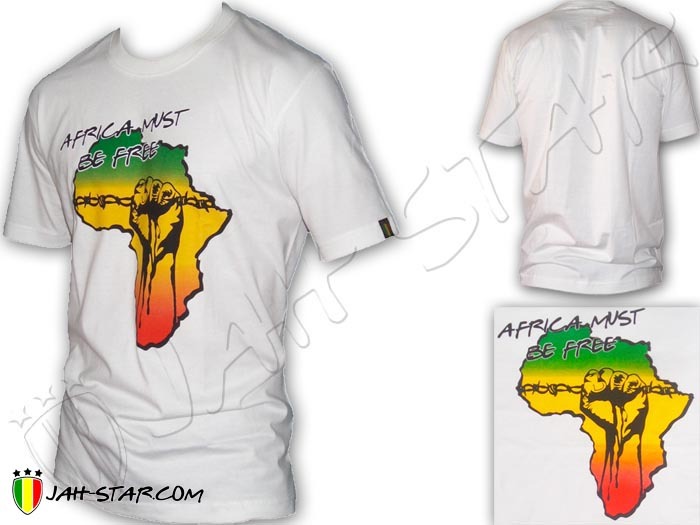 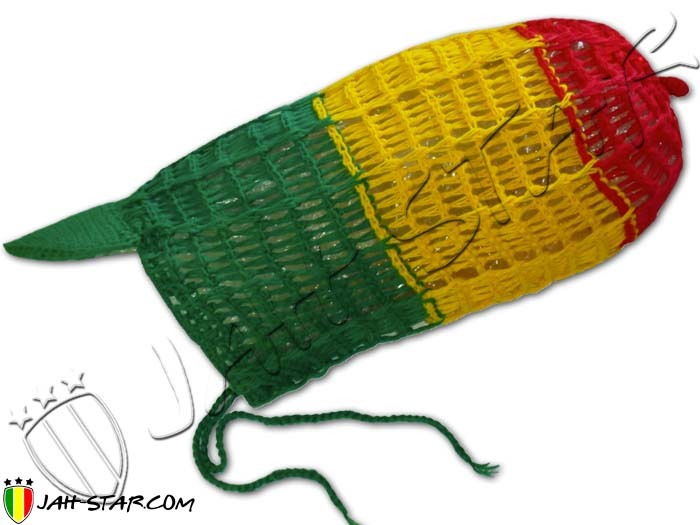 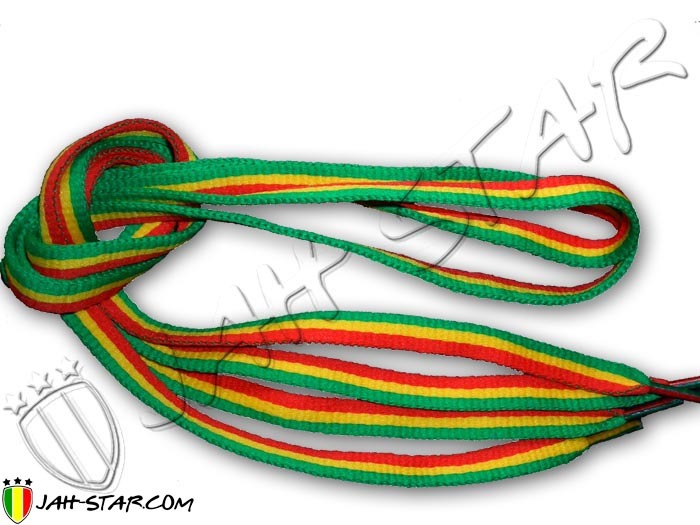 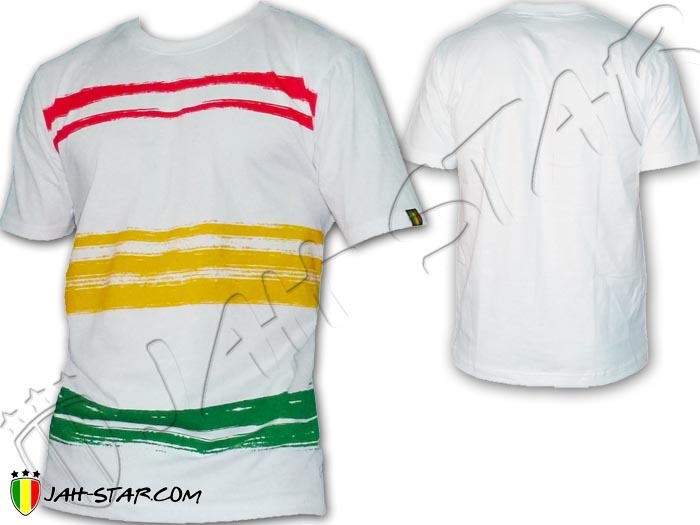 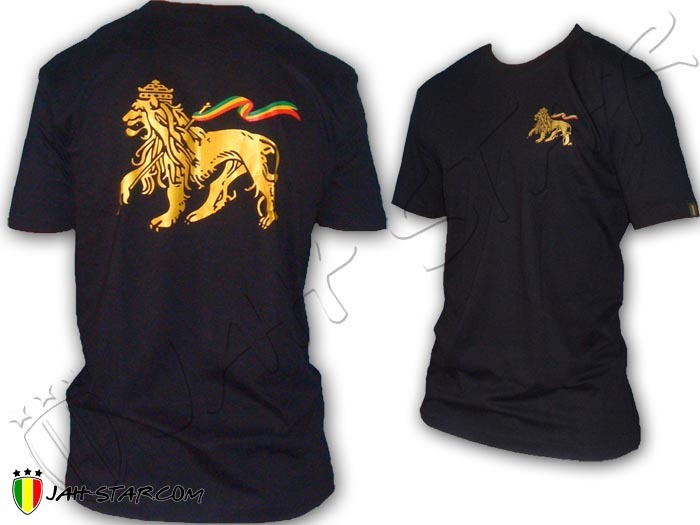 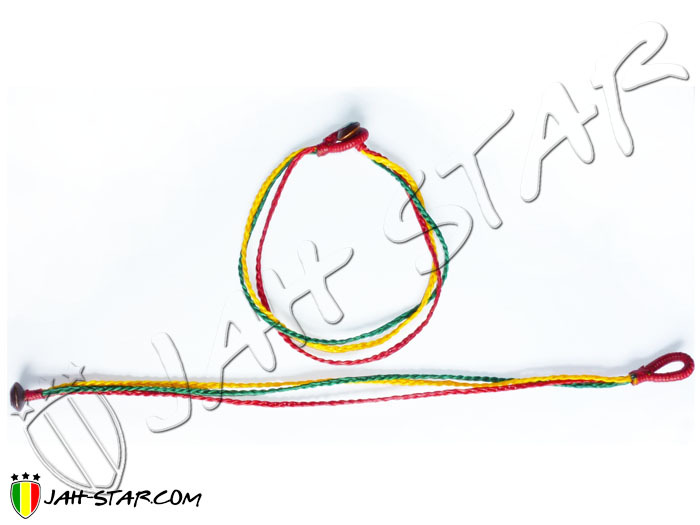 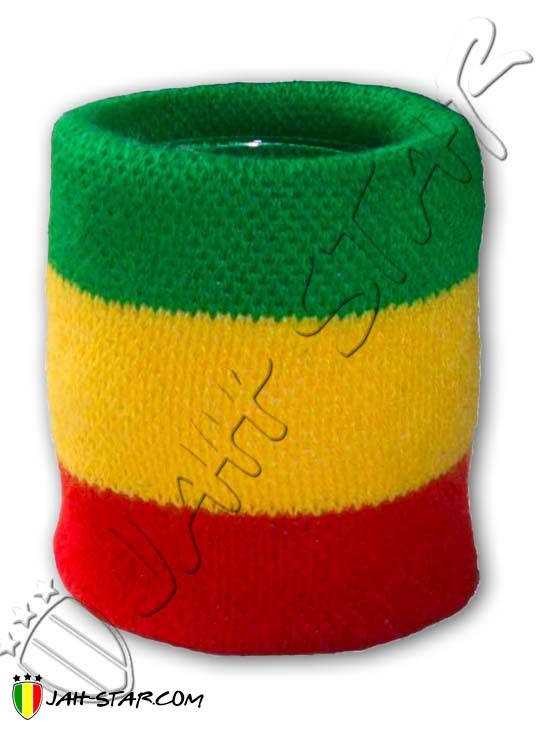 Elegant rasta polo from Jah Star Wear, striped green, yellow, red on the collar and sleeves, lion of Judah embroidered on the chest, this stylish polo is one of our best sell.100% cotton and.. 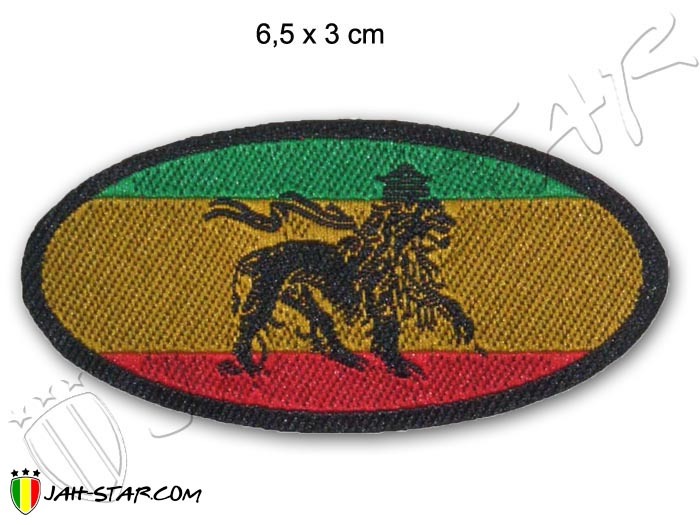 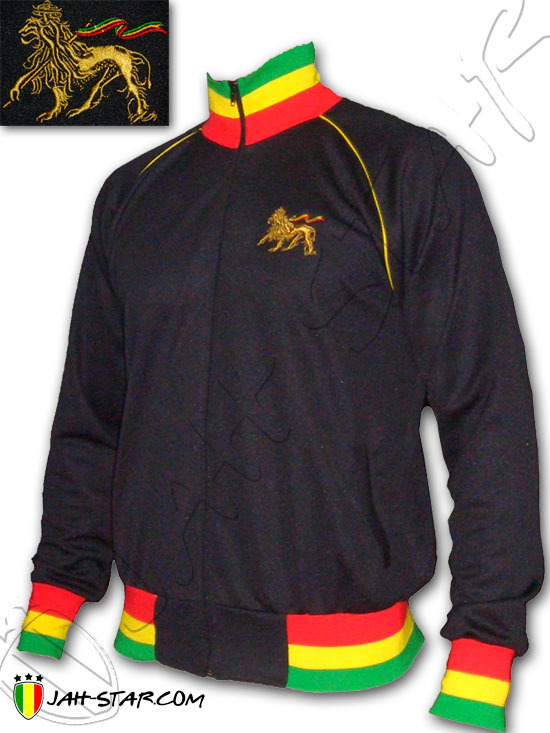 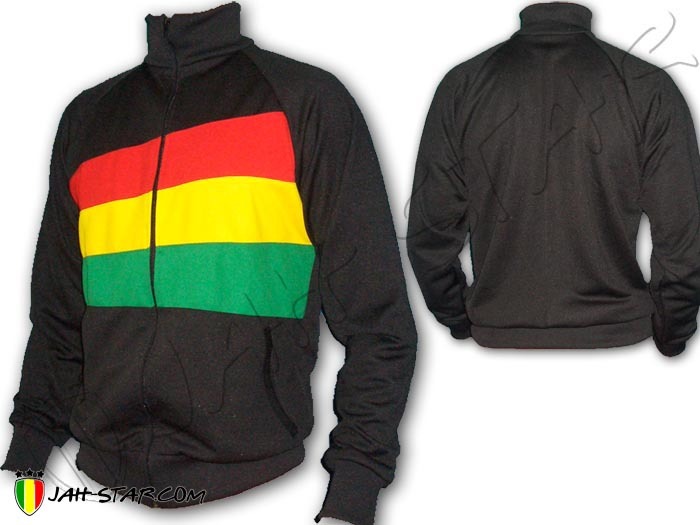 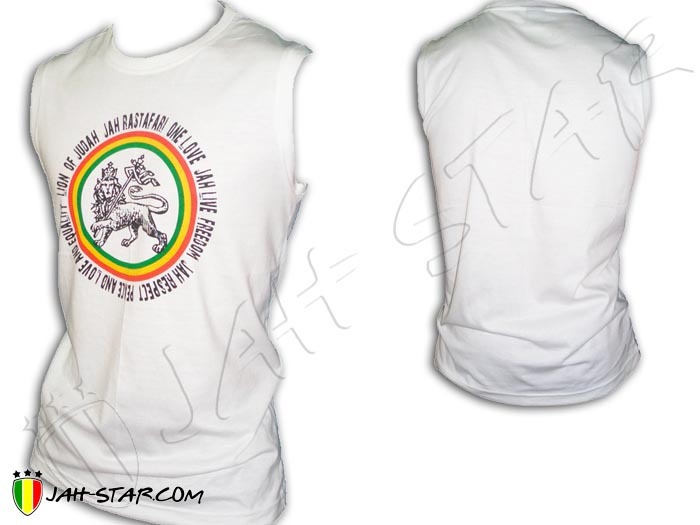 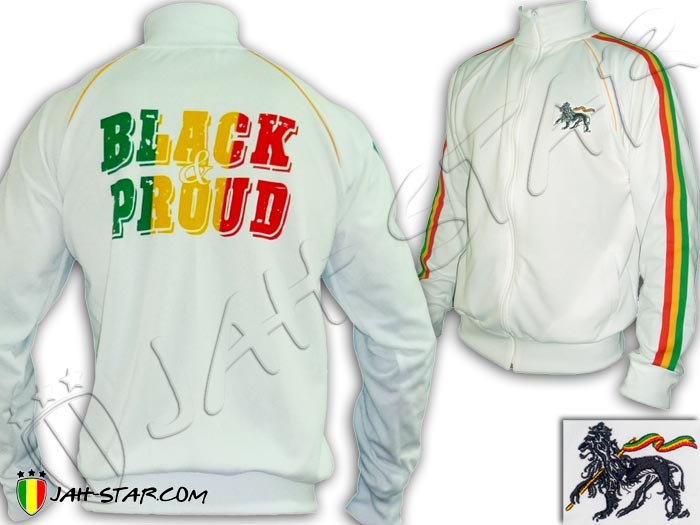 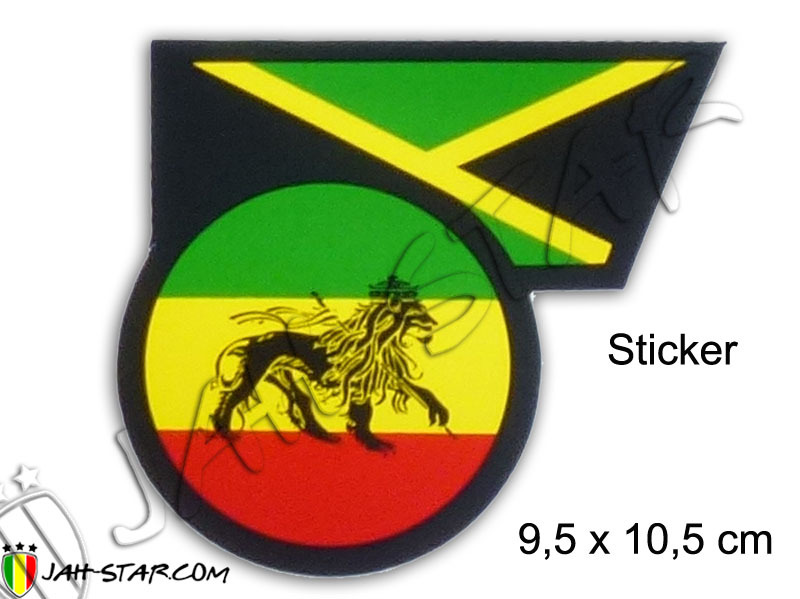 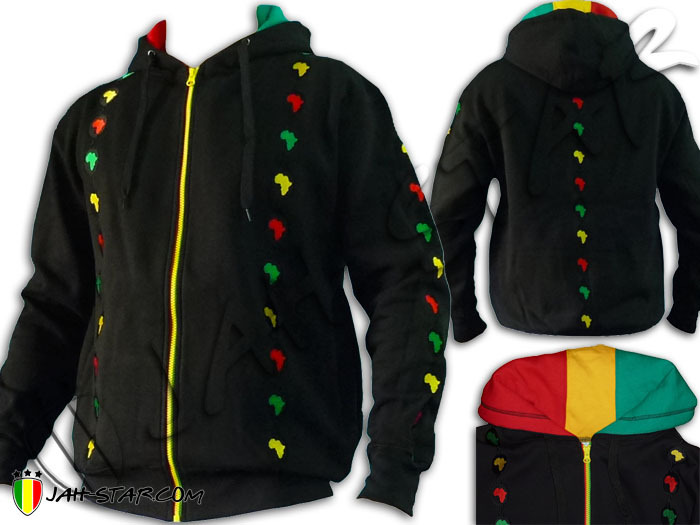 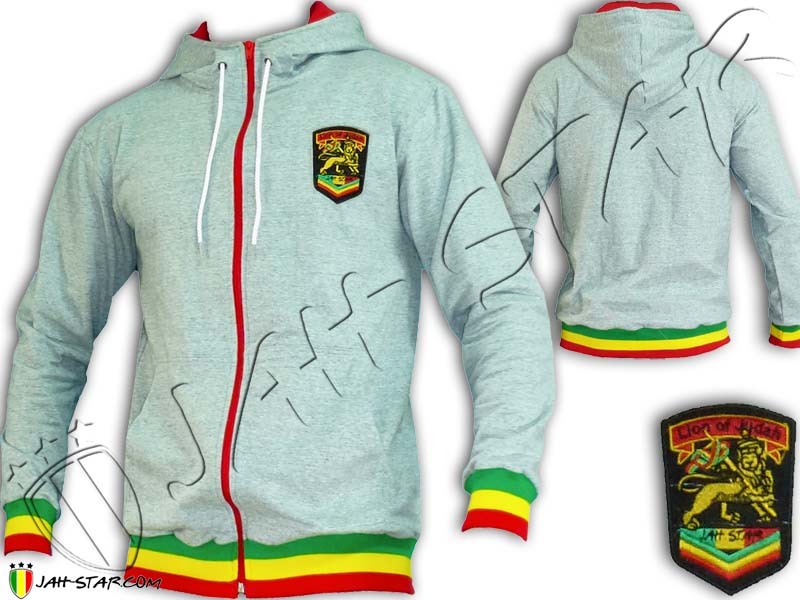 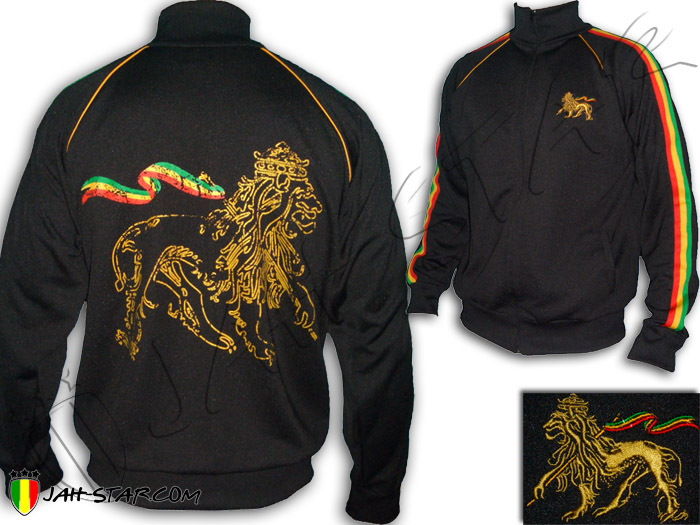 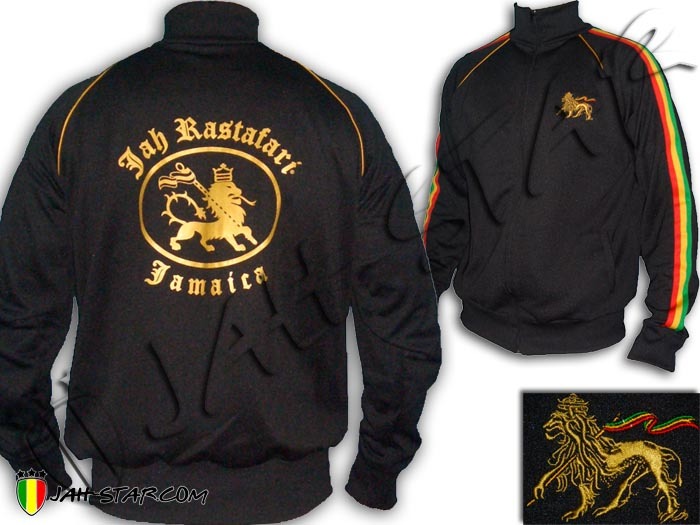 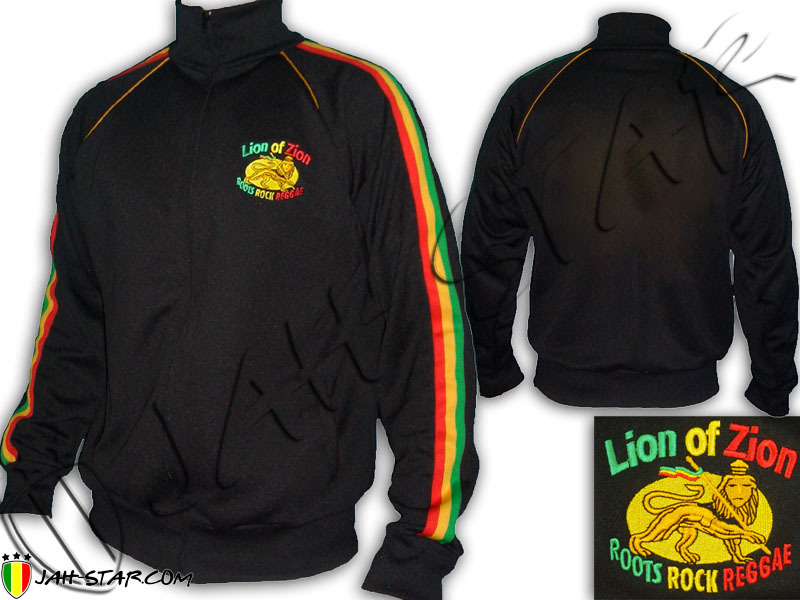 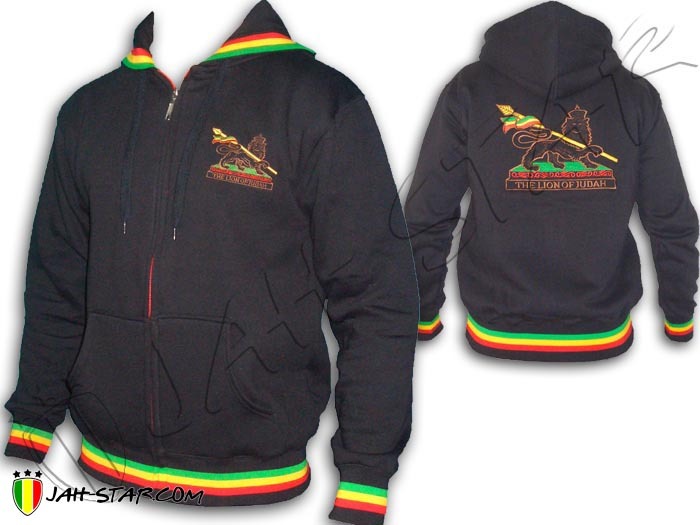 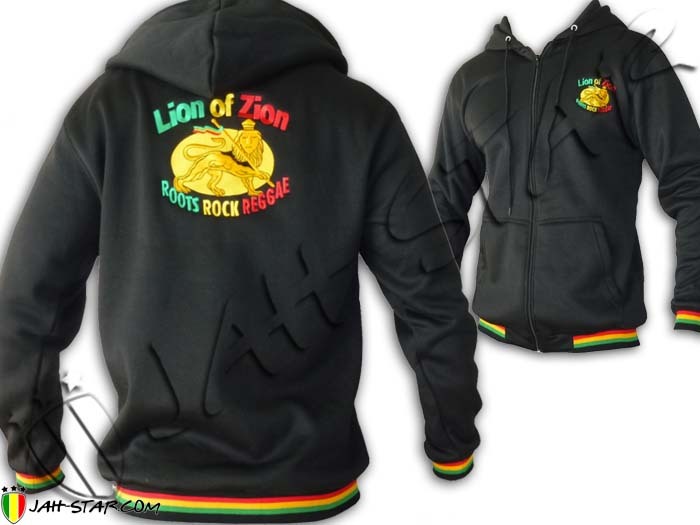 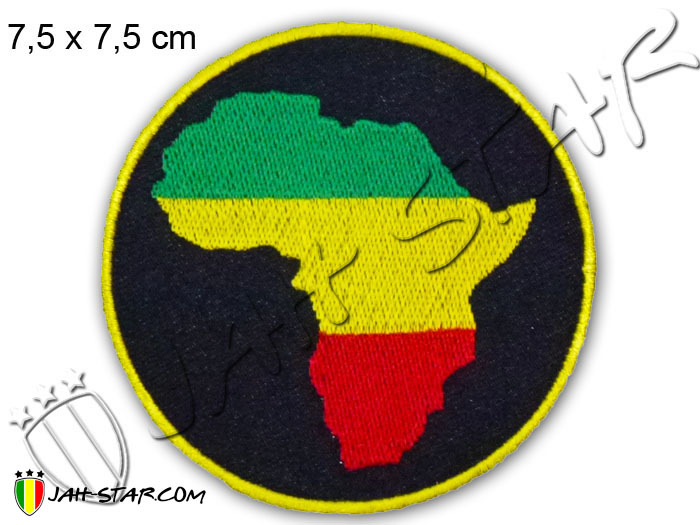 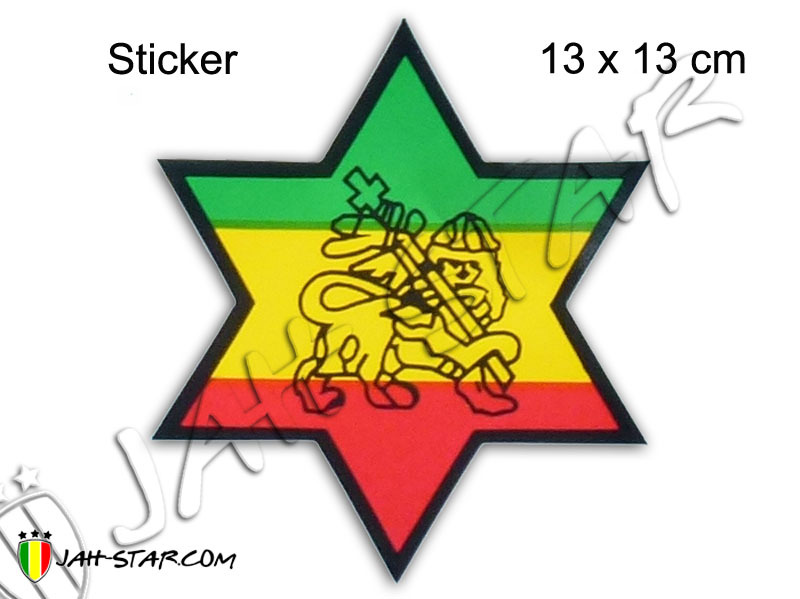 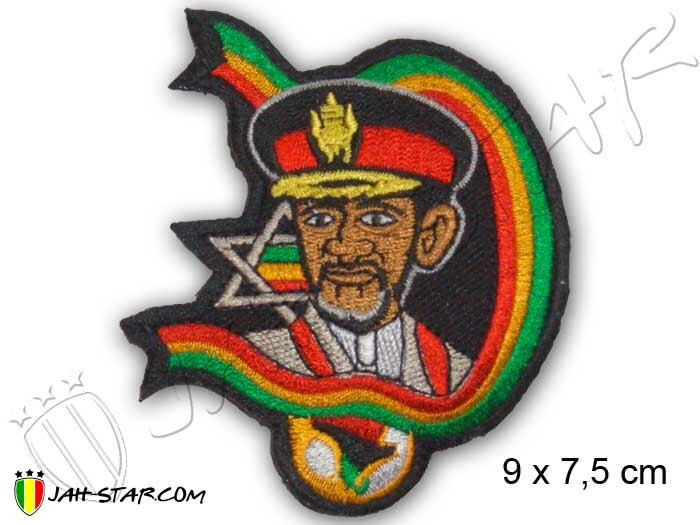 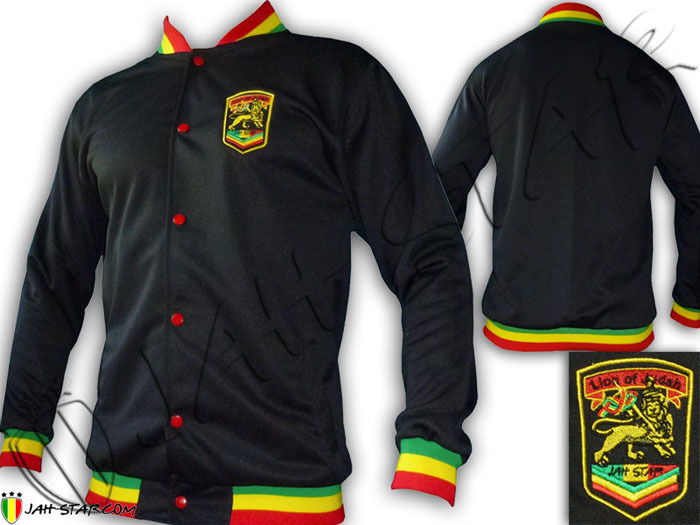 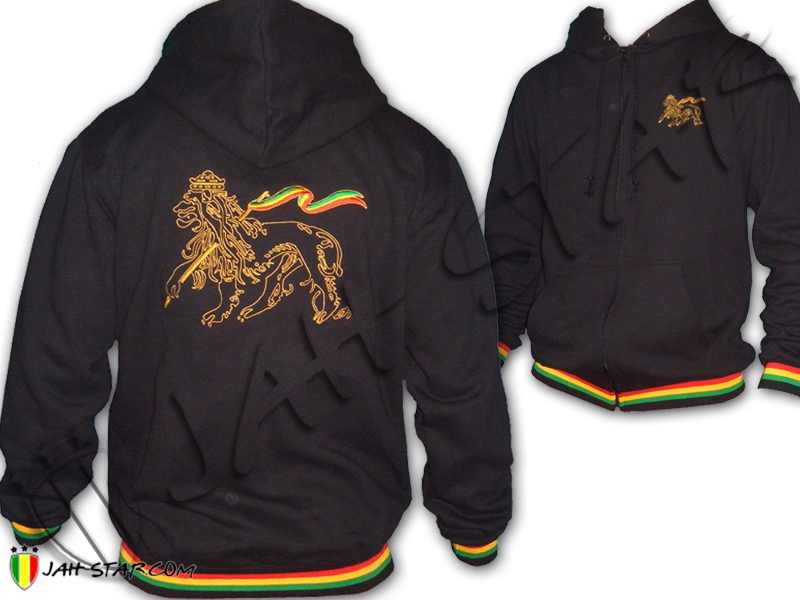 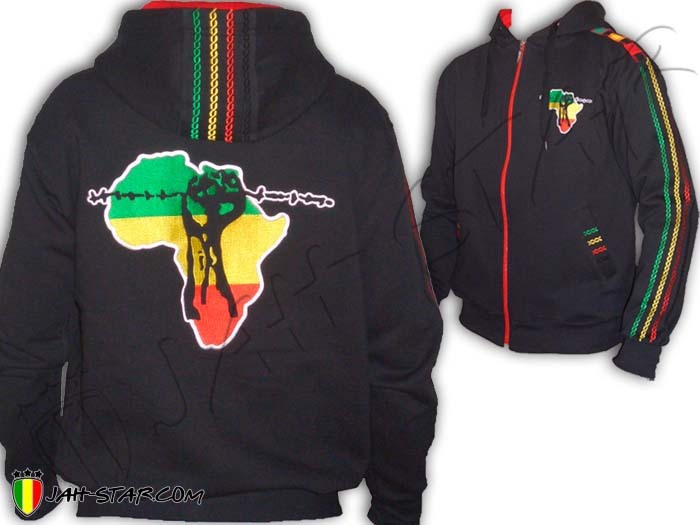 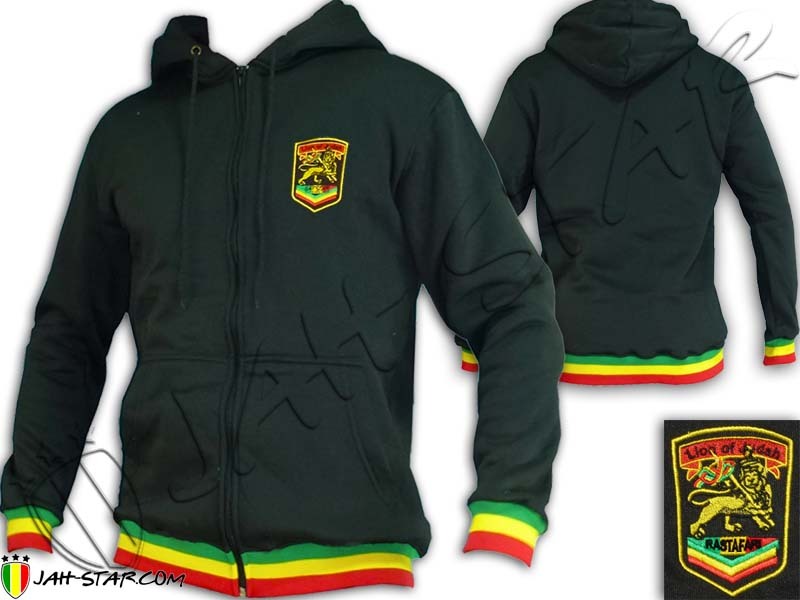 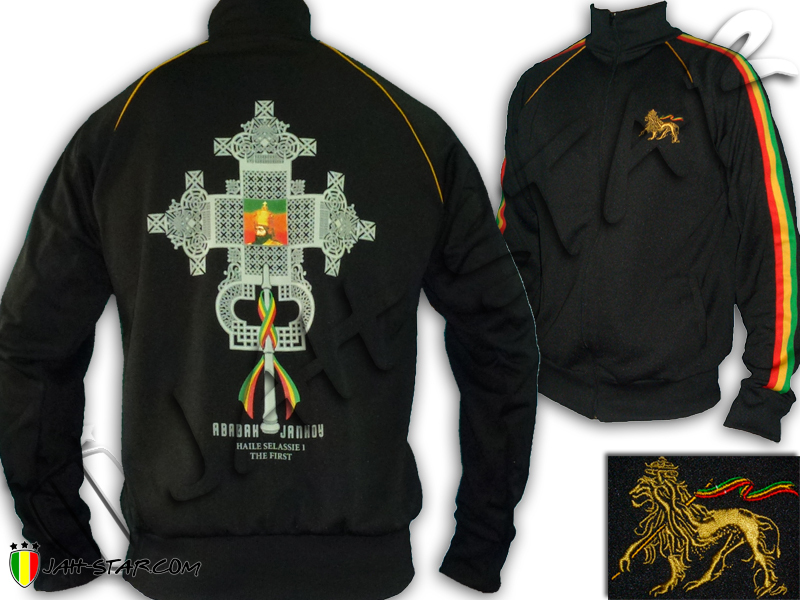 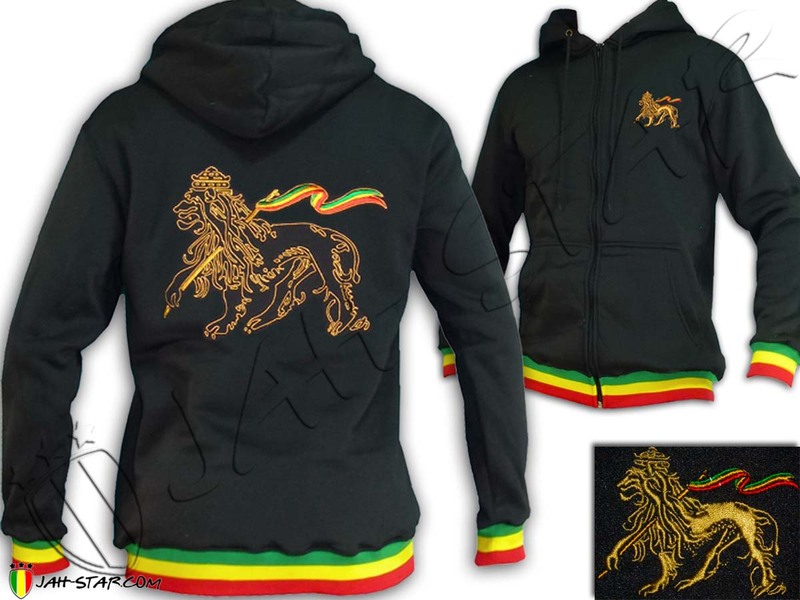 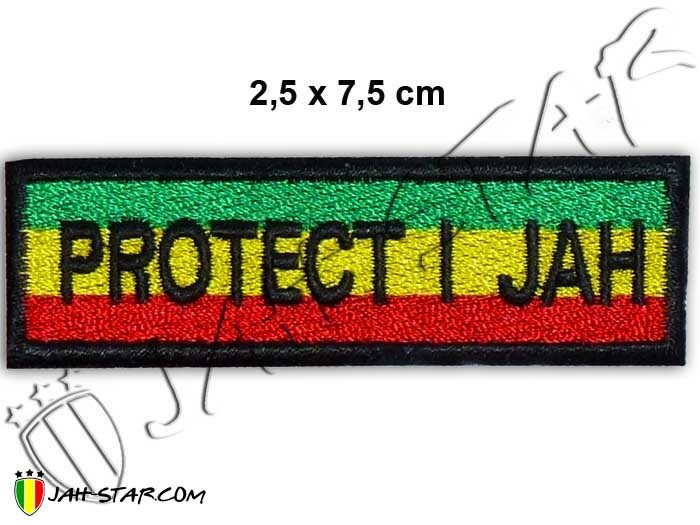 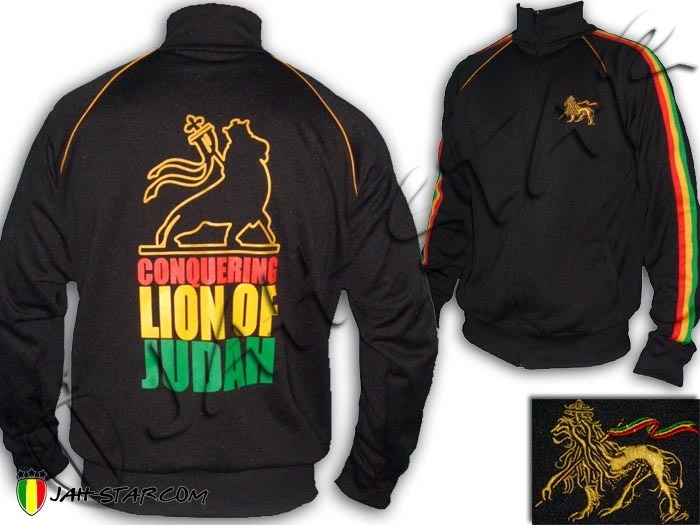 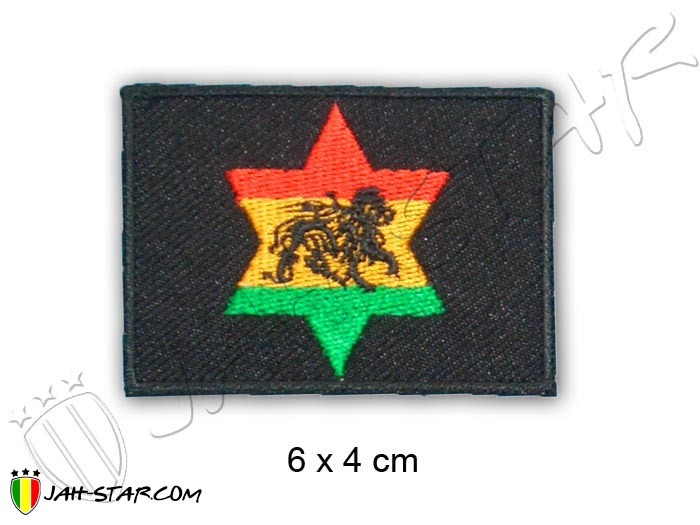 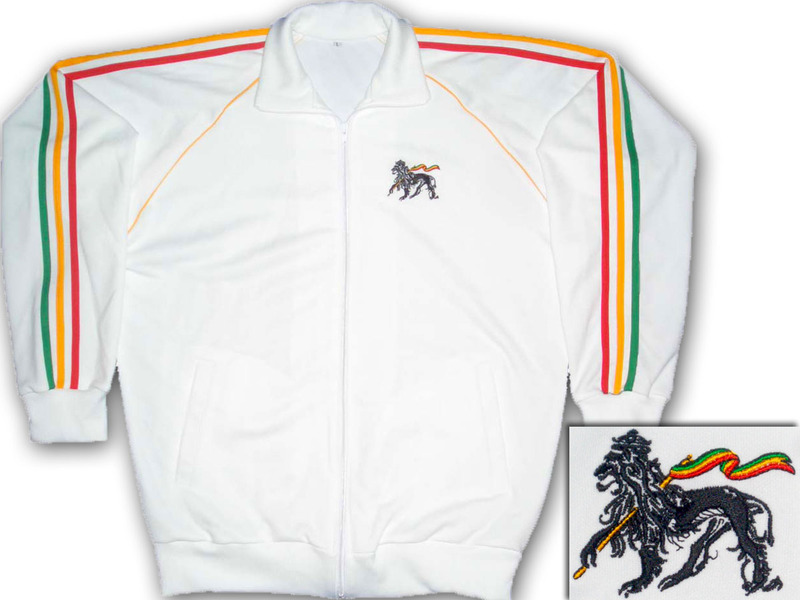 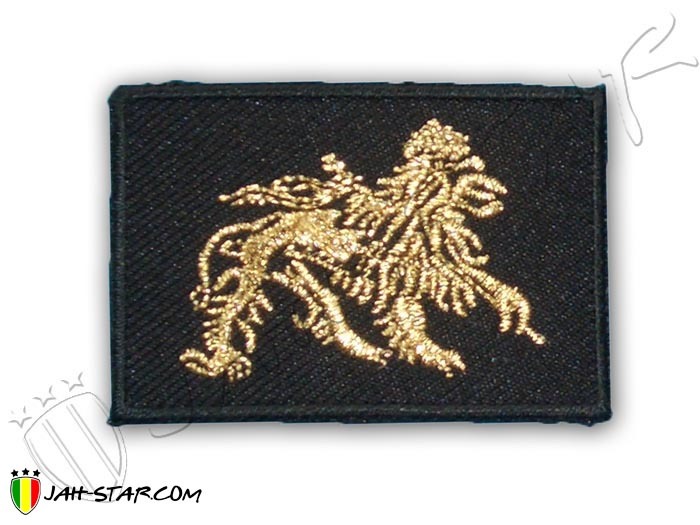 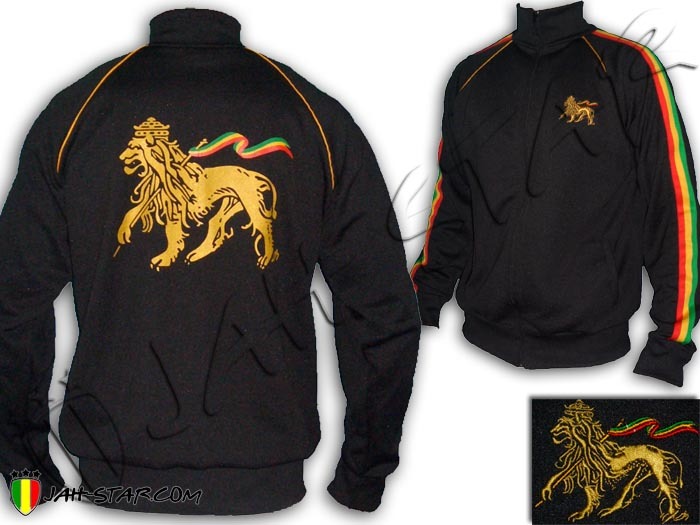 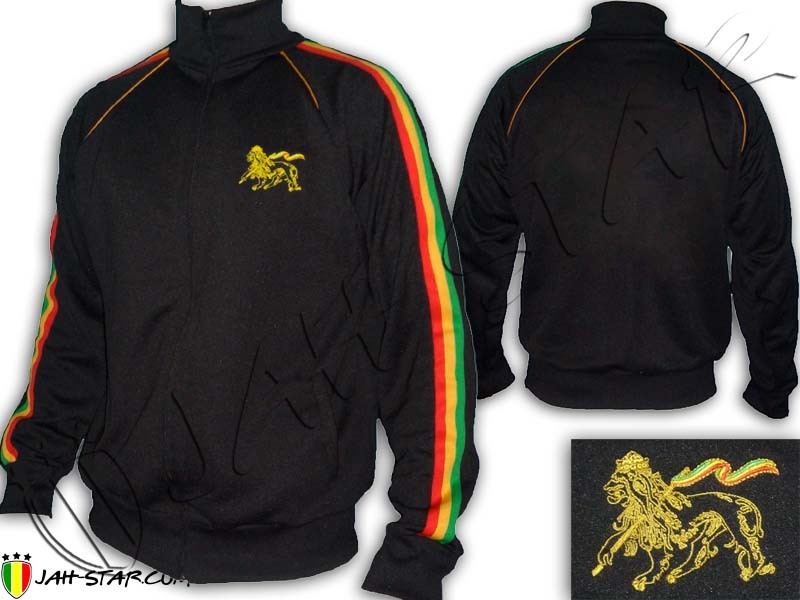 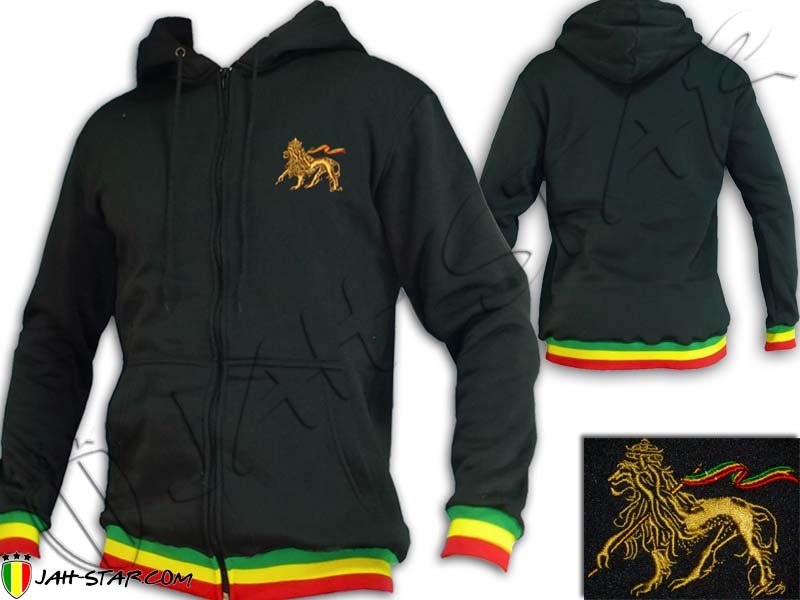 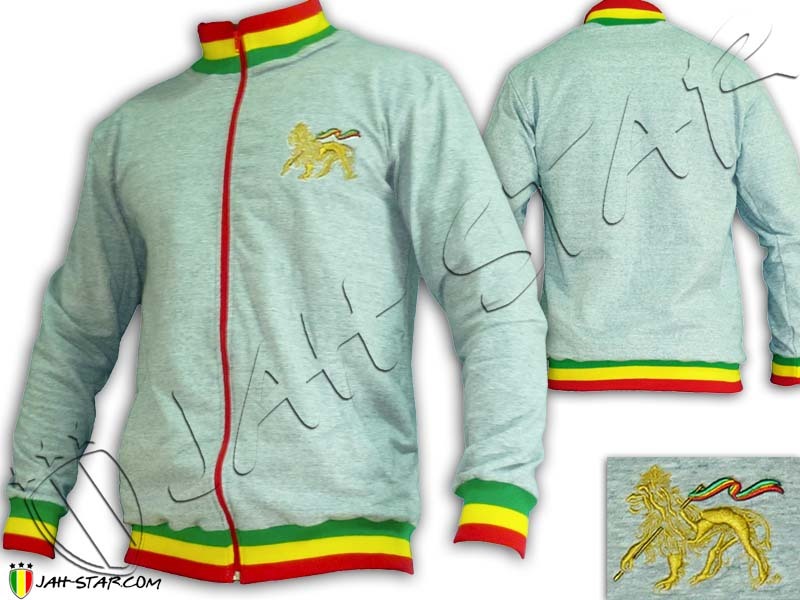 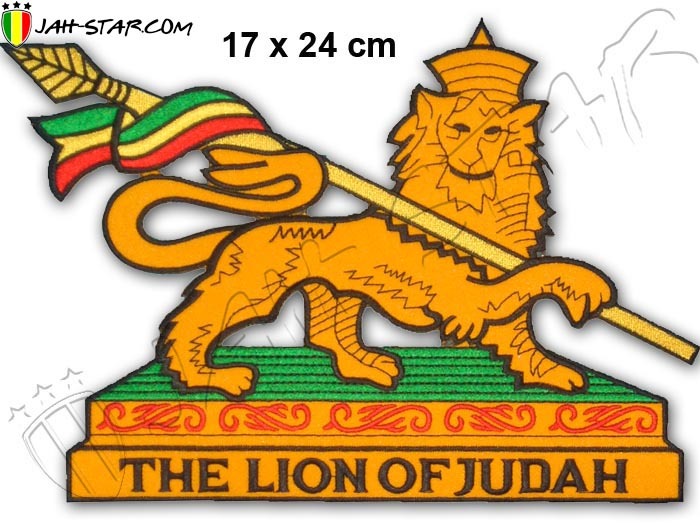 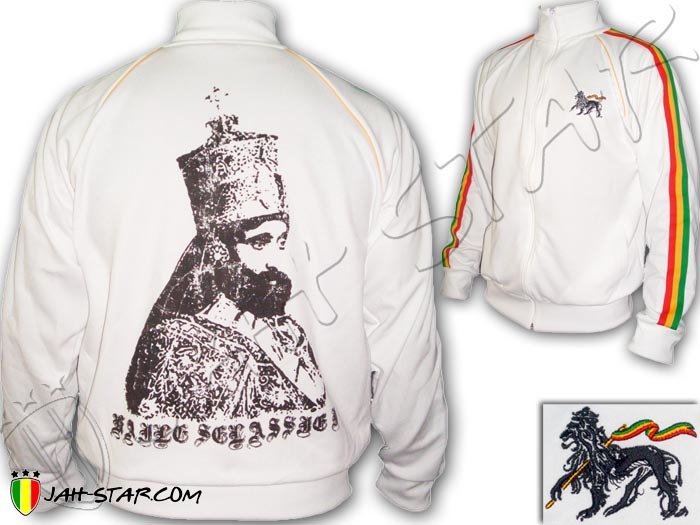 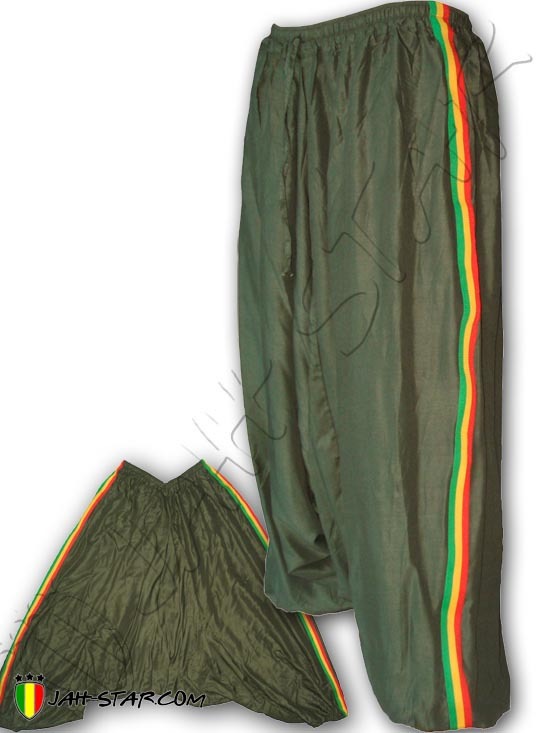 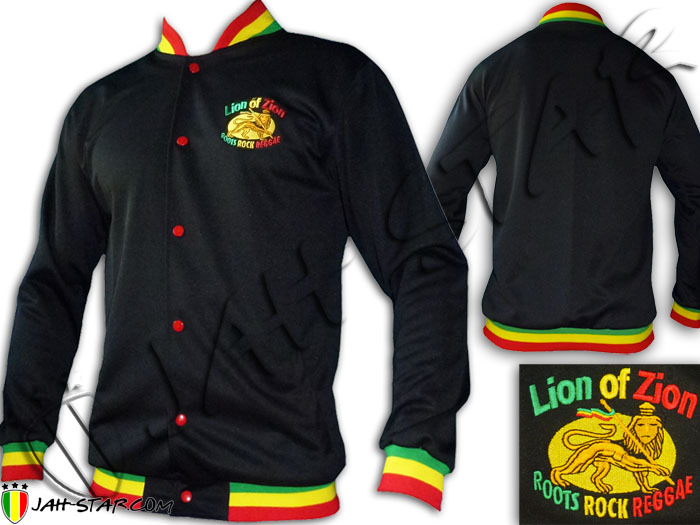 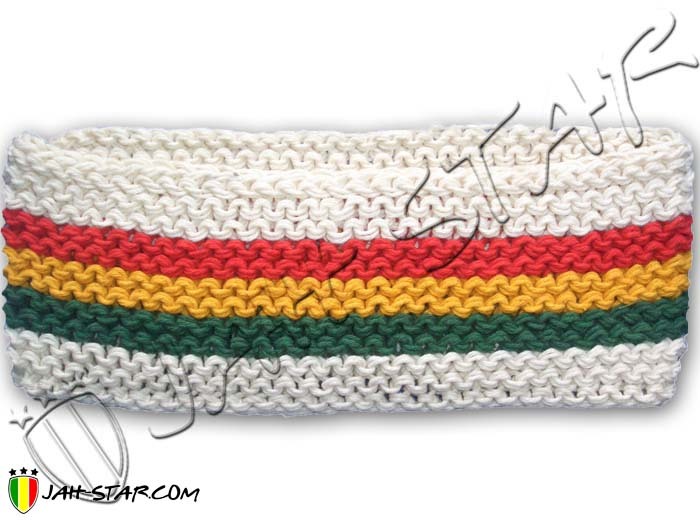 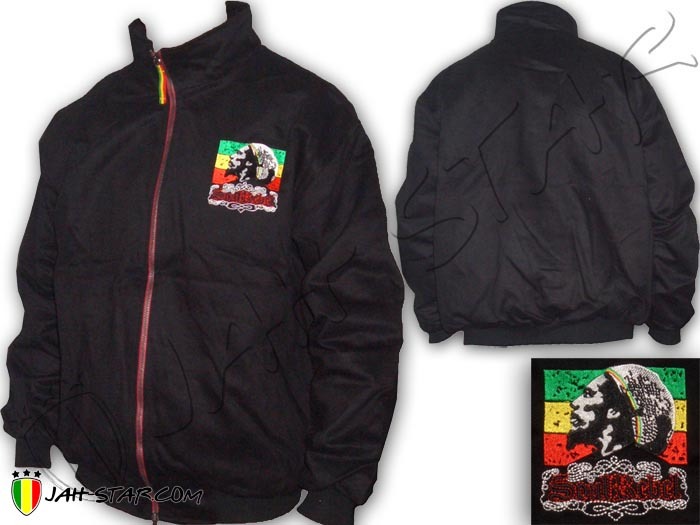 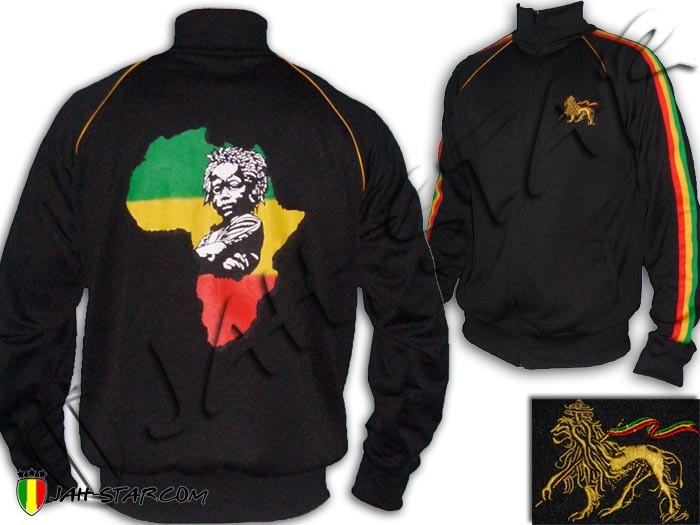 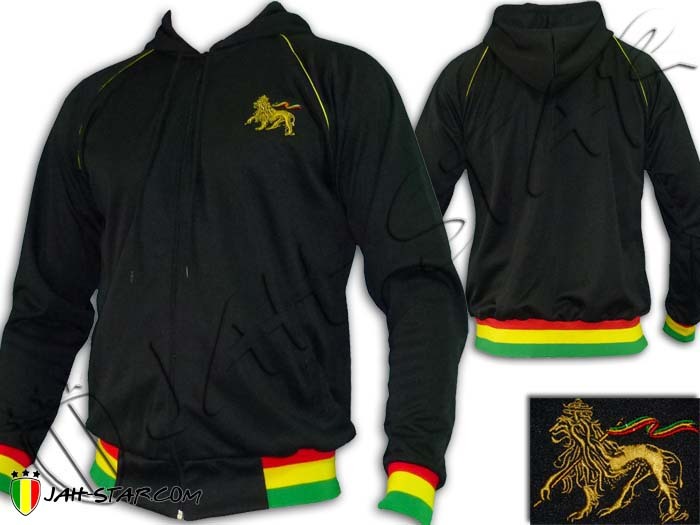 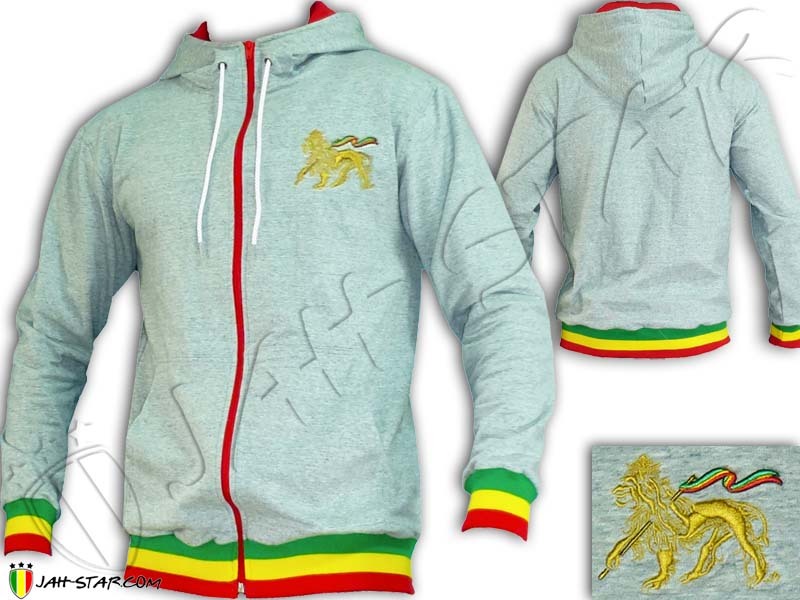 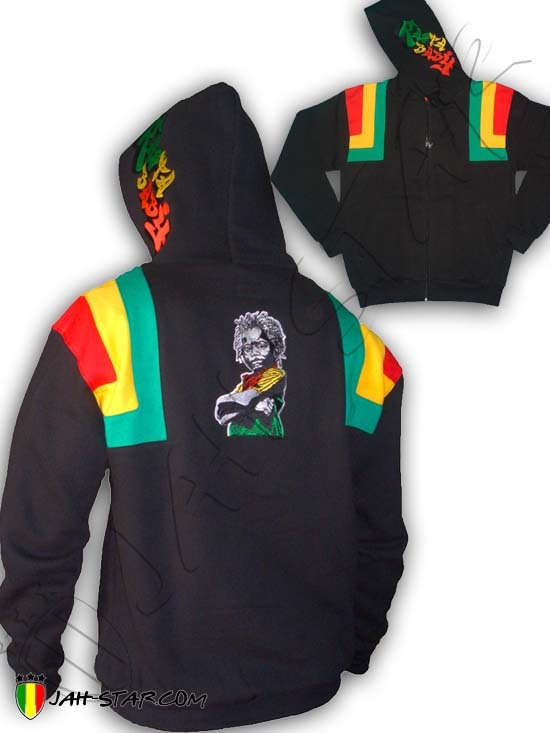 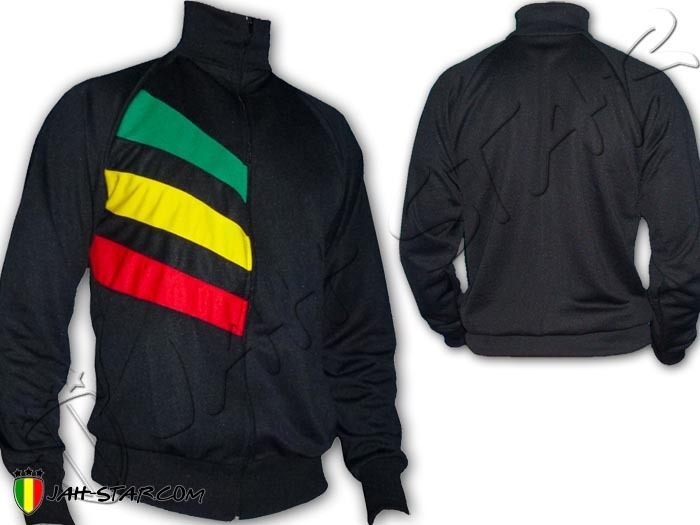 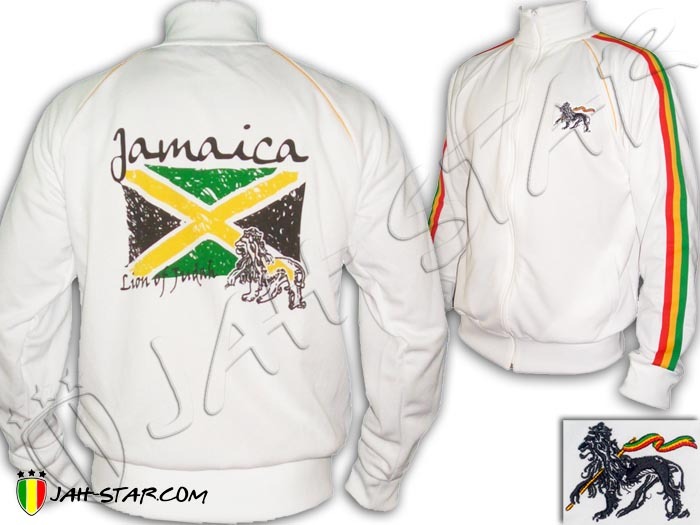 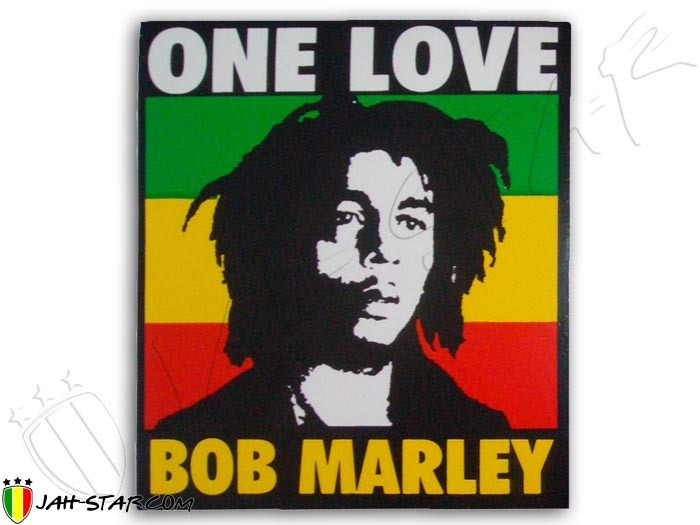 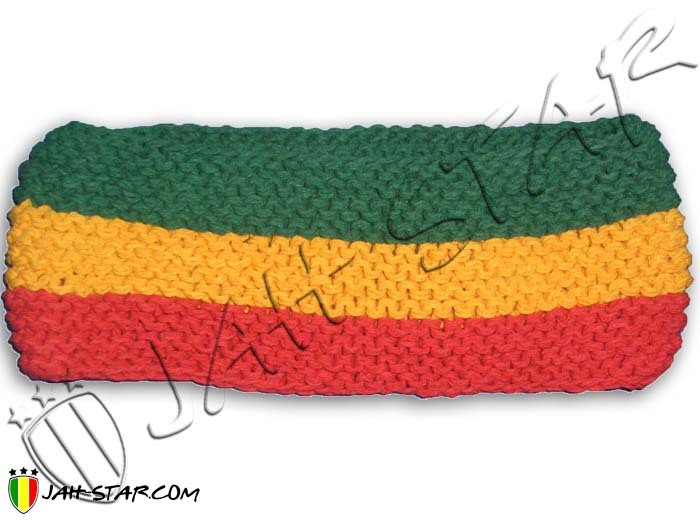 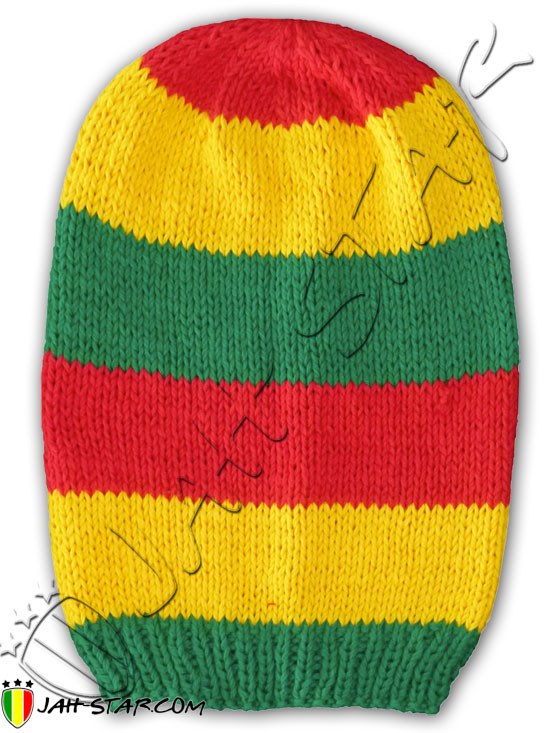 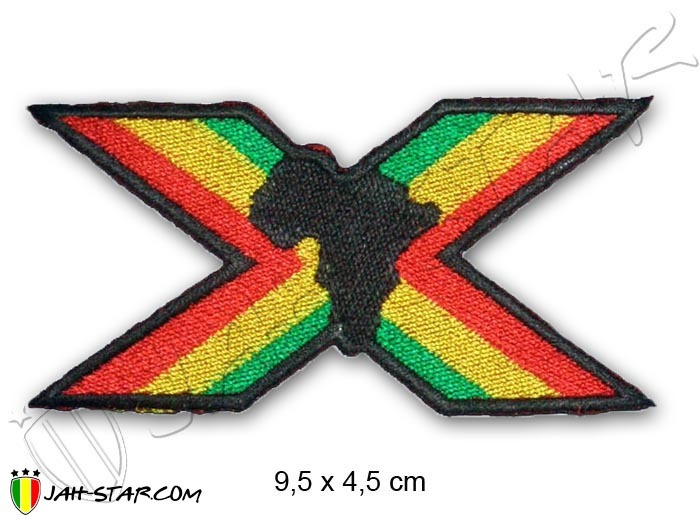 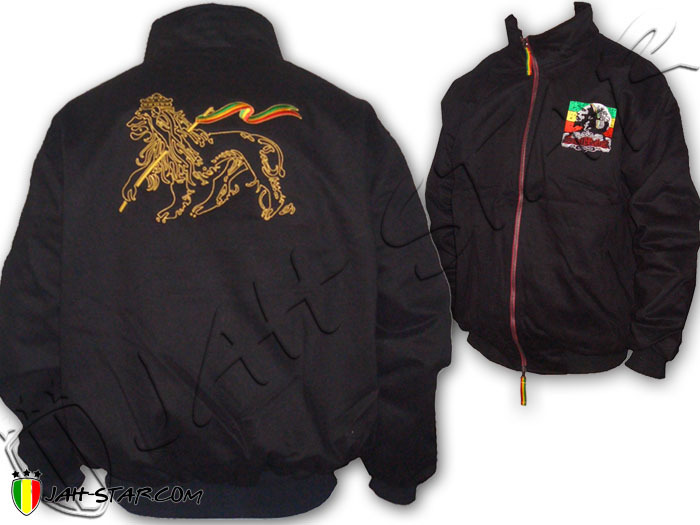 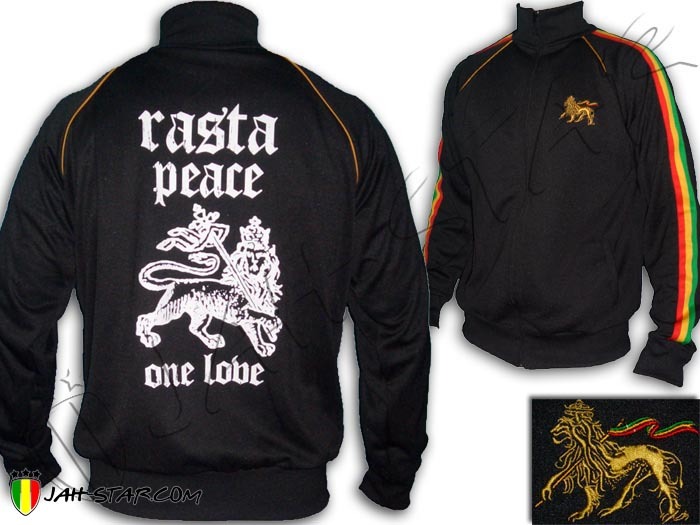 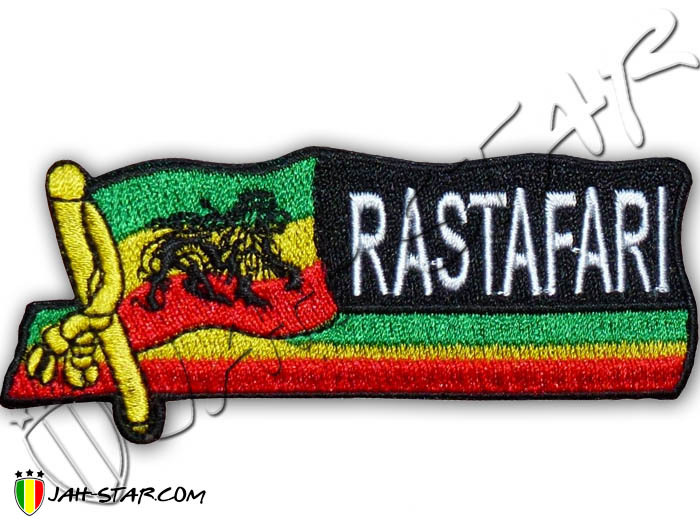 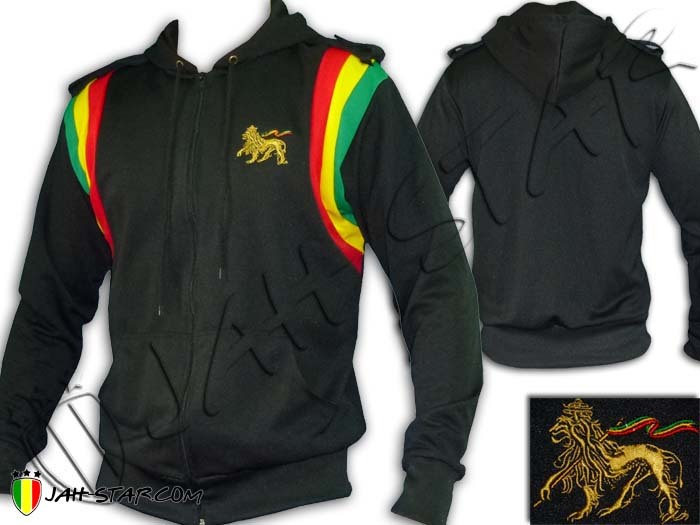 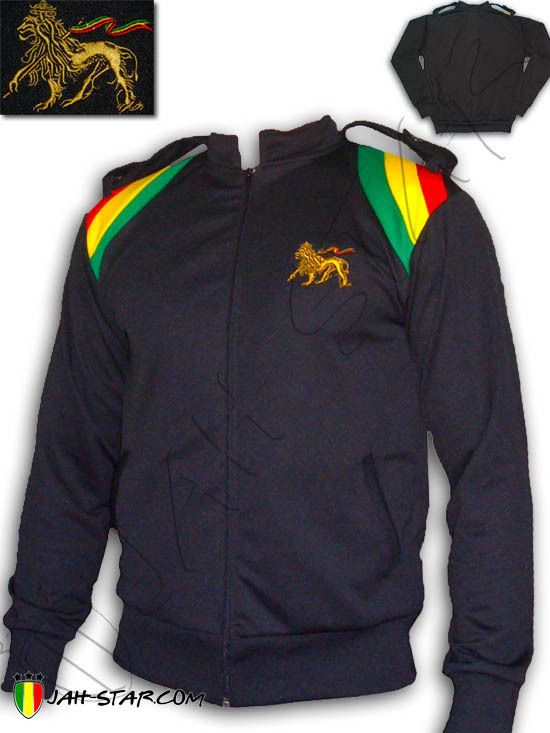 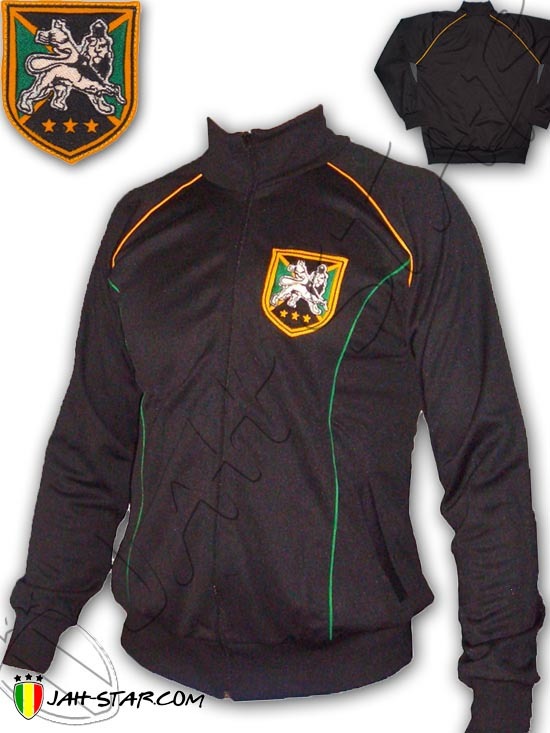 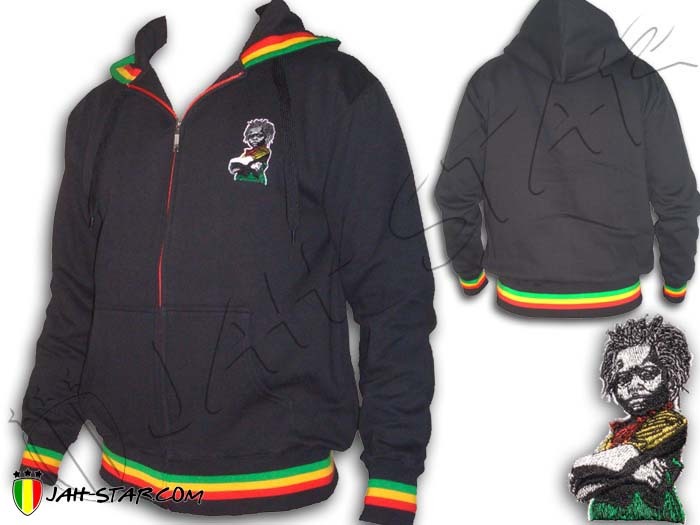 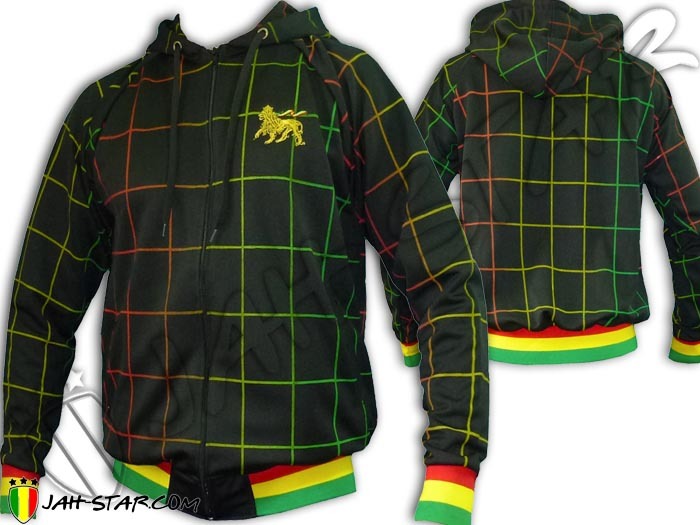 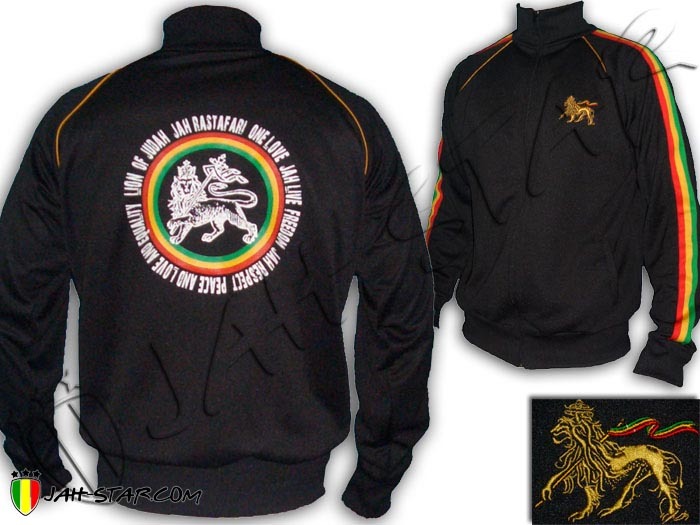 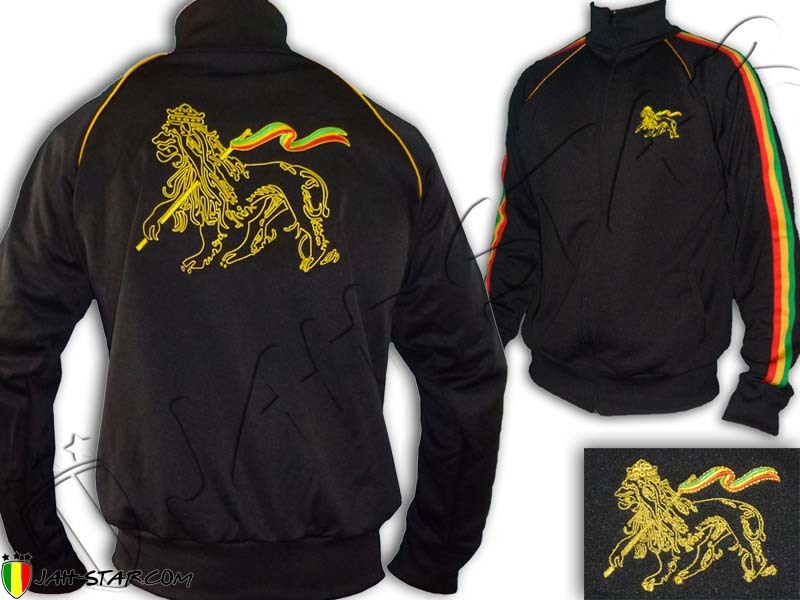 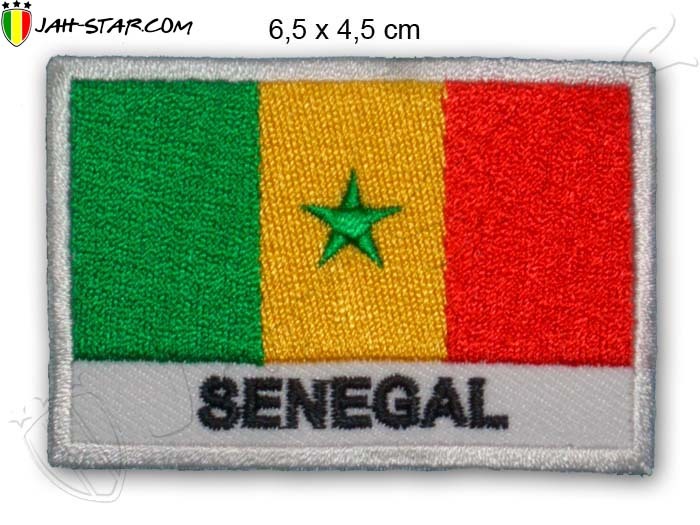 This Jah Star Rasta jacket is made with 100% polyester, sleeveless featuring rasta stripes red yellow green, on the chest you will find the Lion Of Judah embroidered. 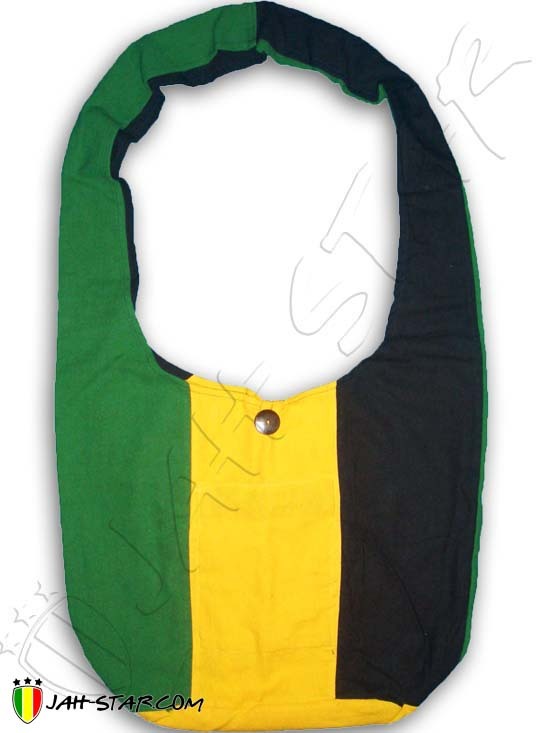 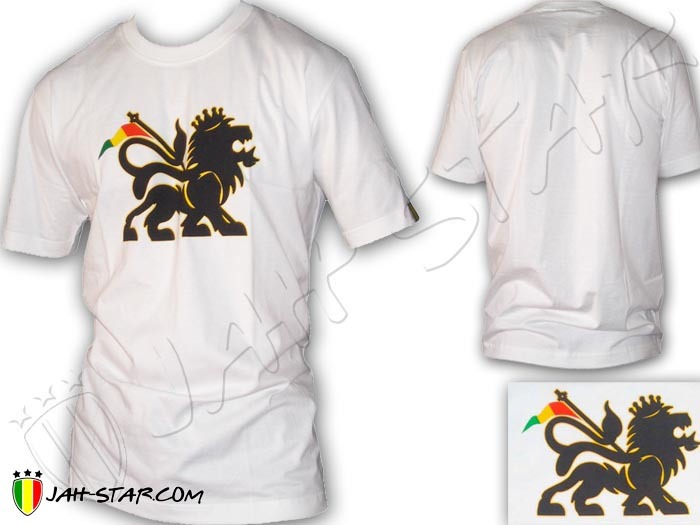 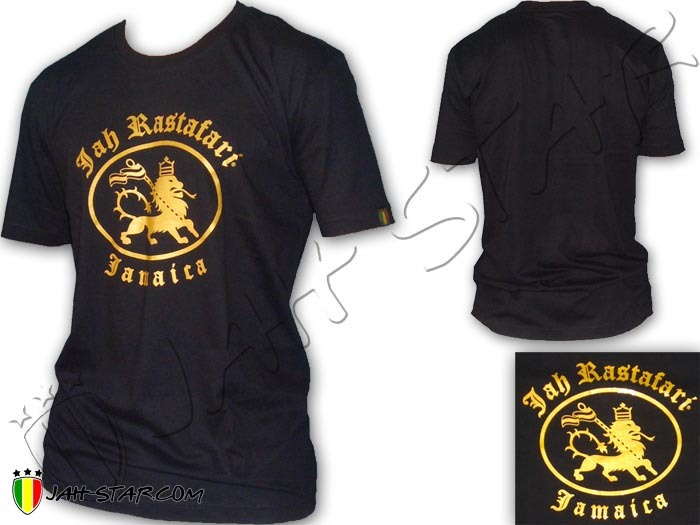 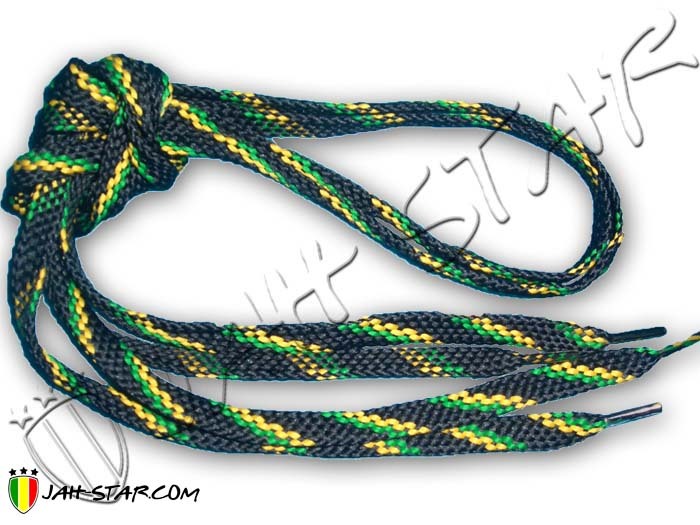 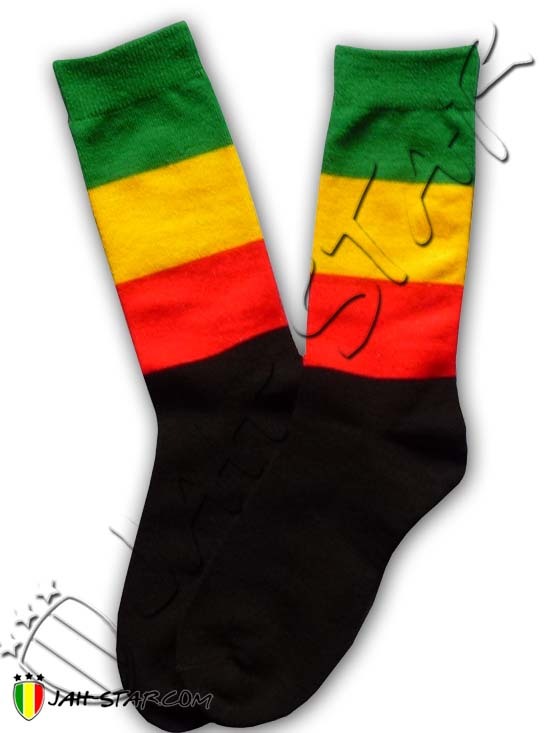 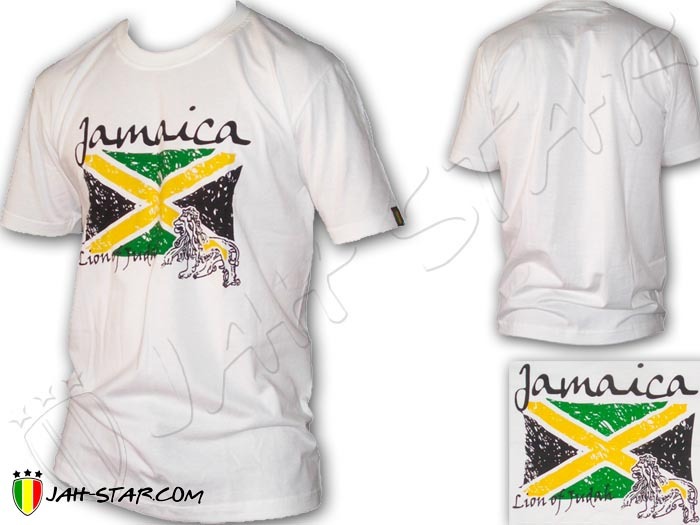 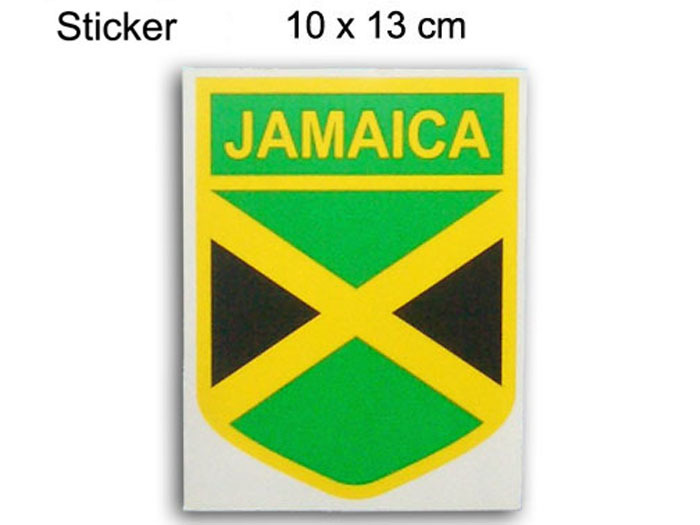 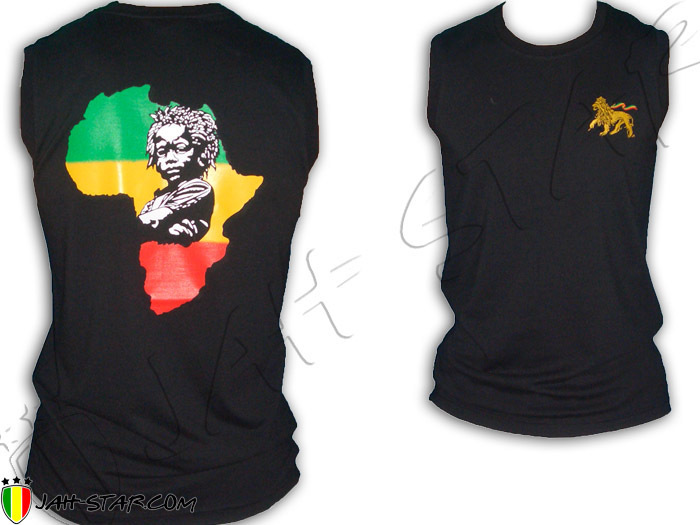 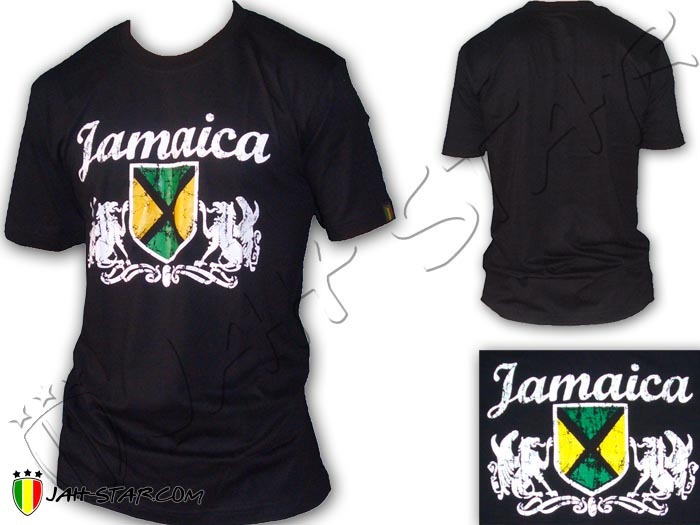 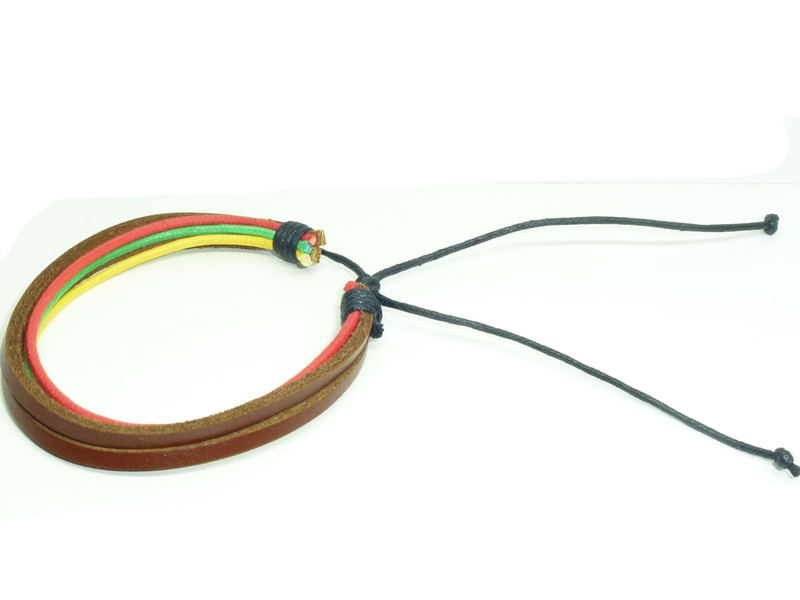 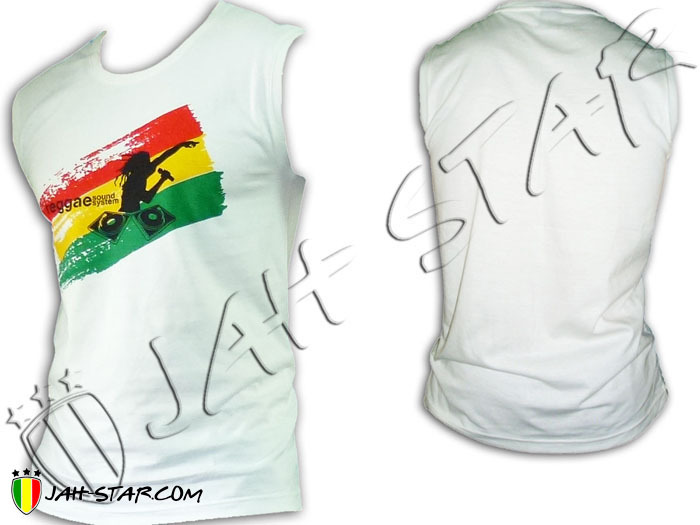 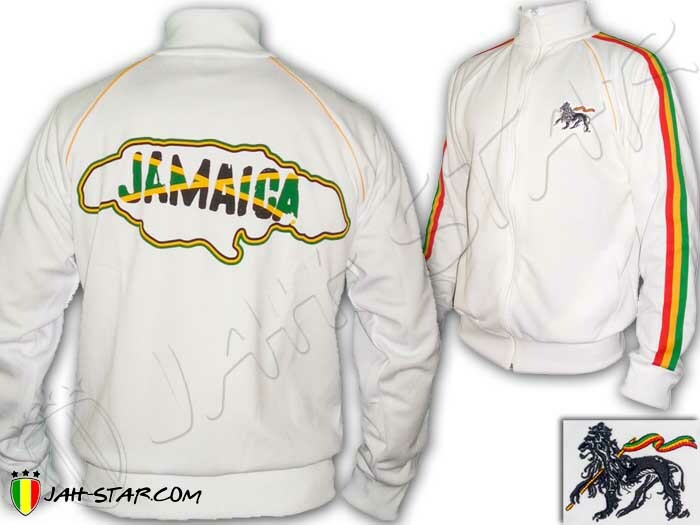 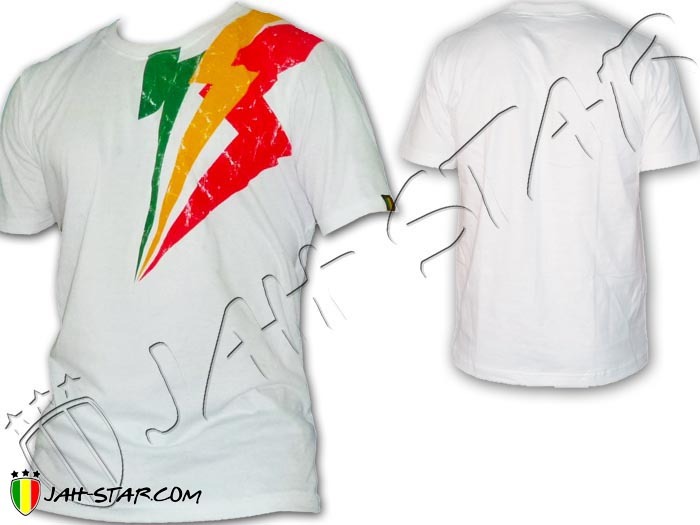 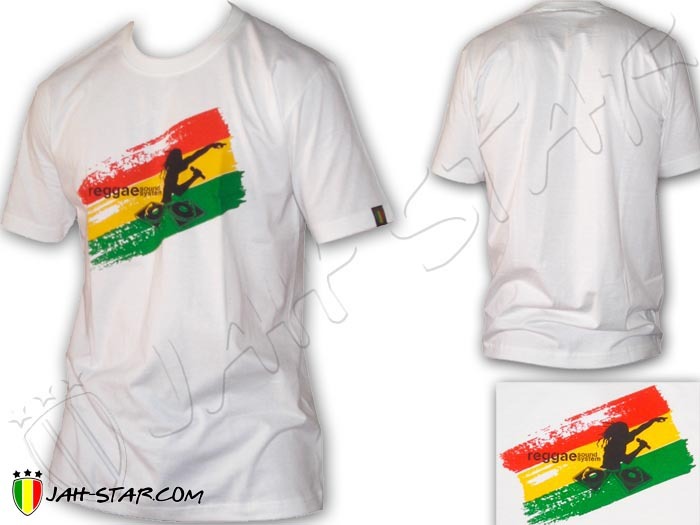 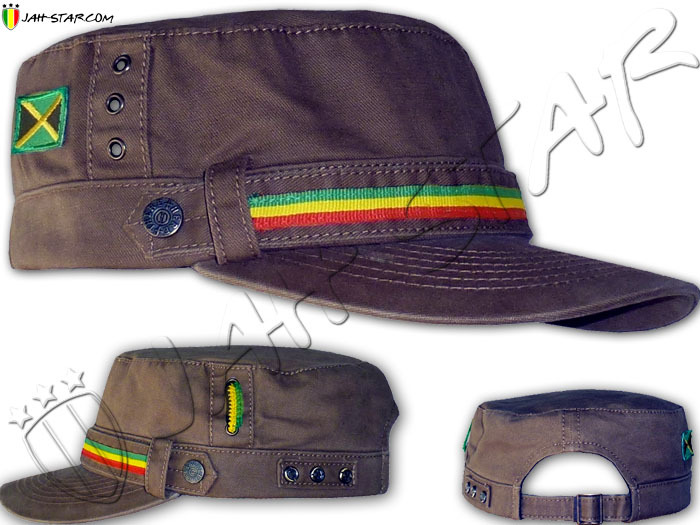 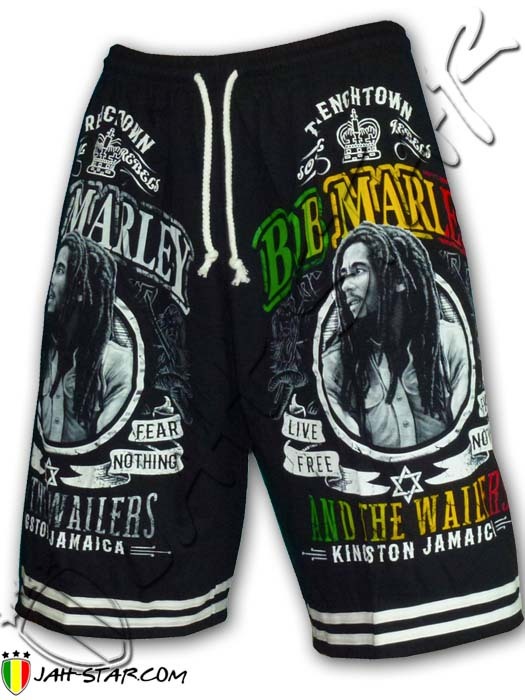 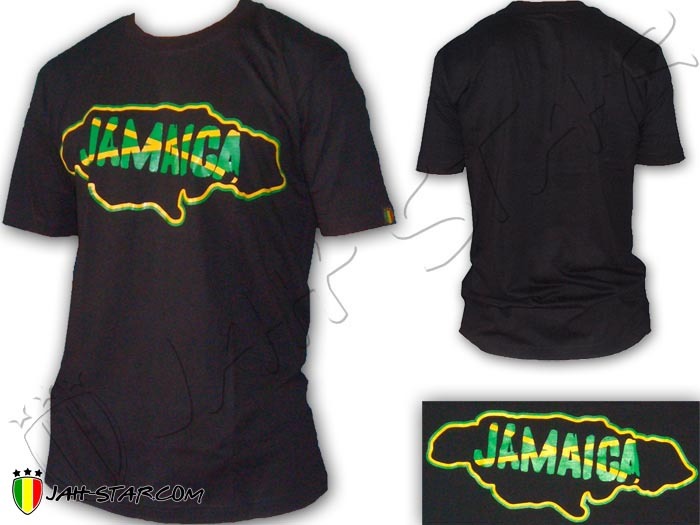 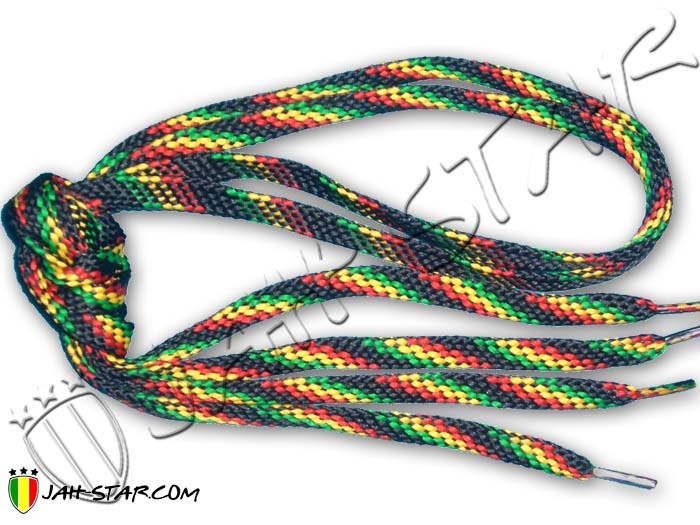 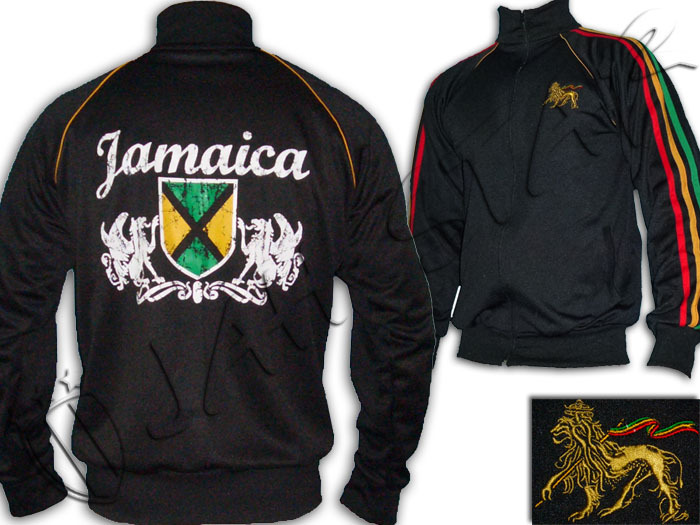 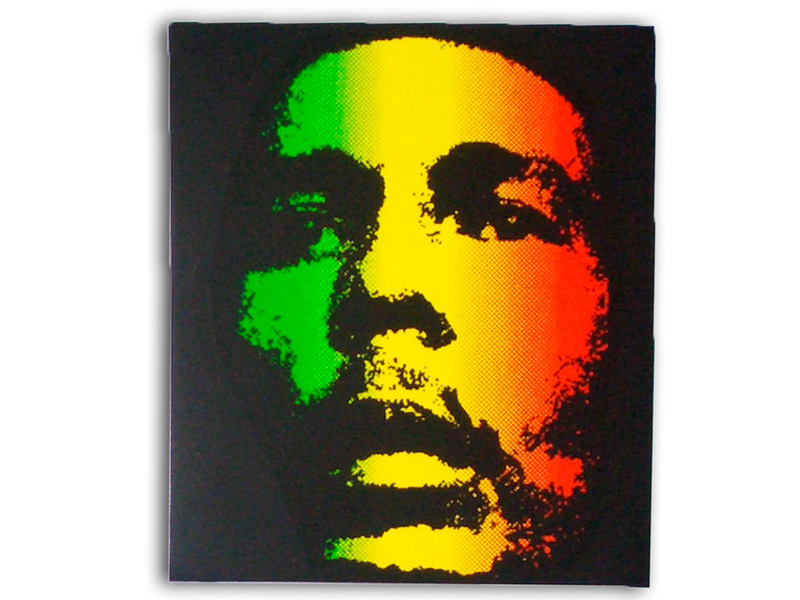 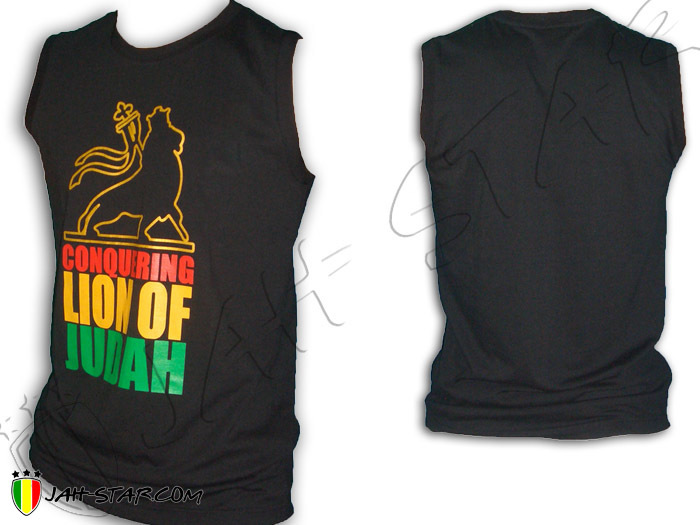 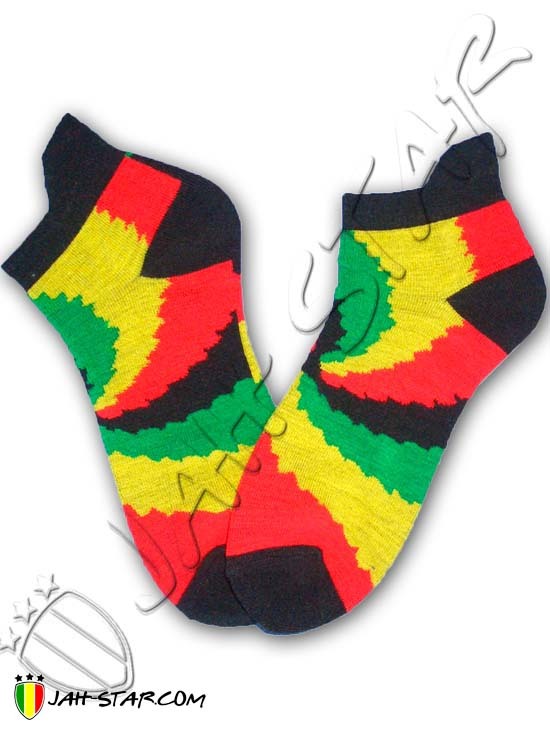 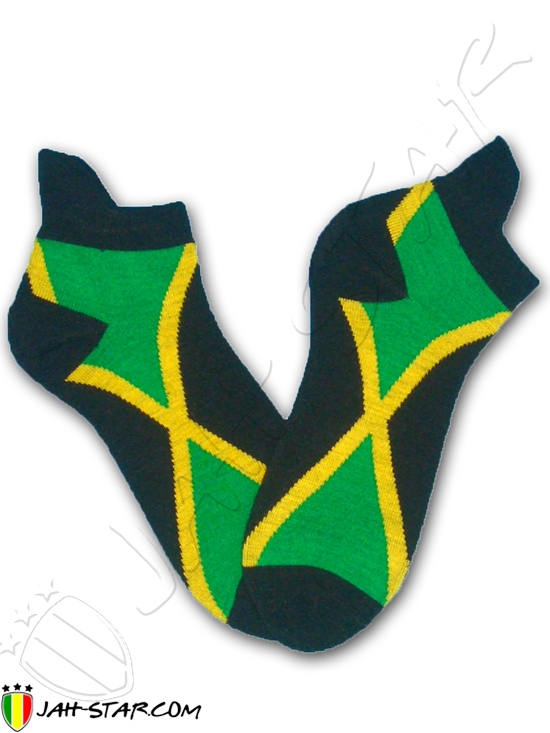 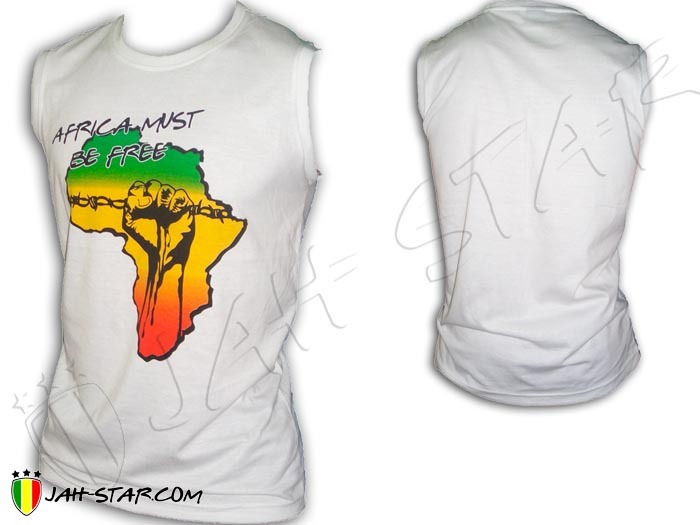 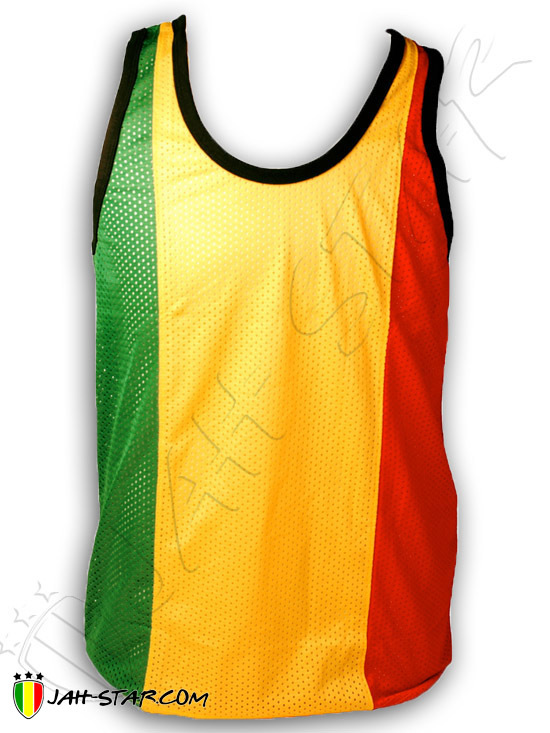 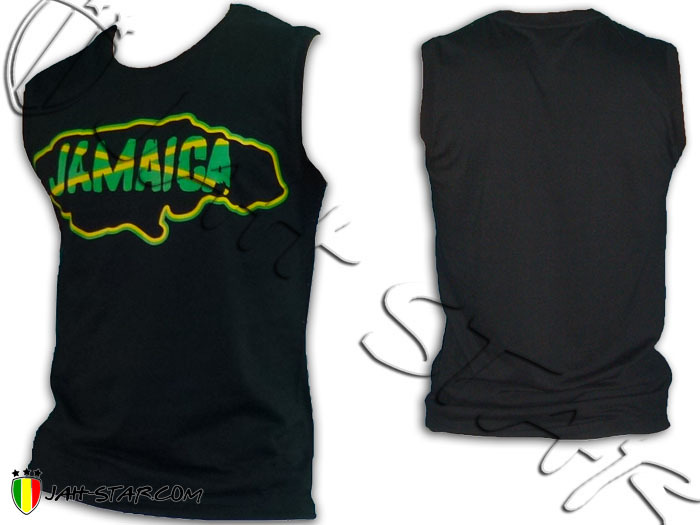 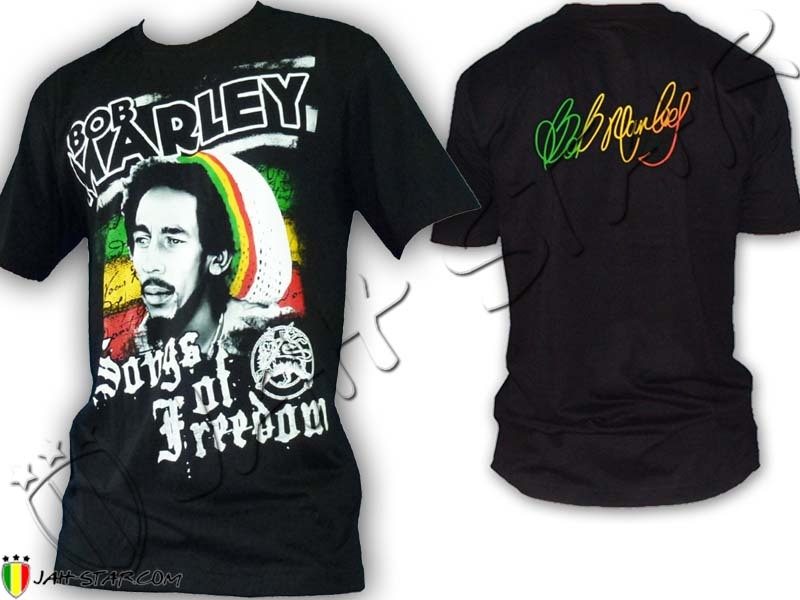 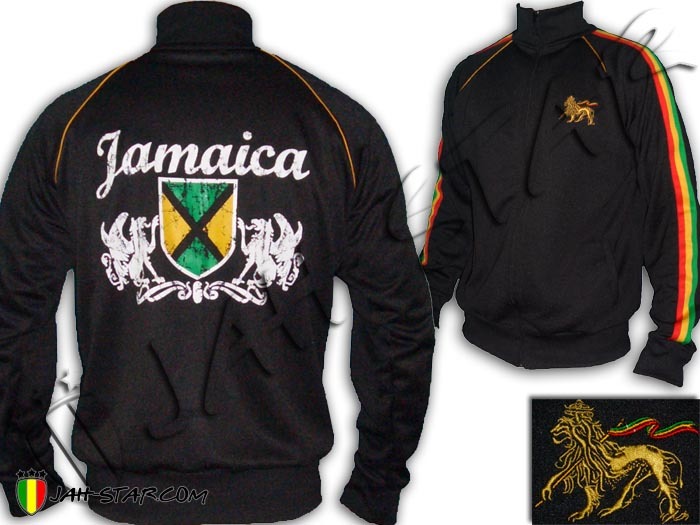 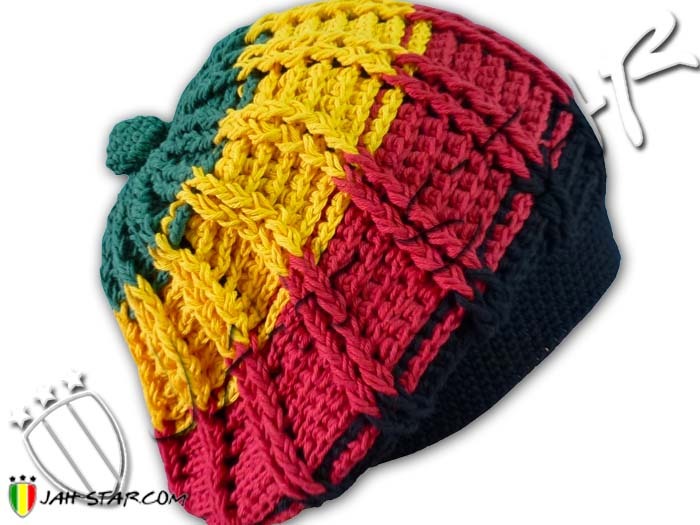 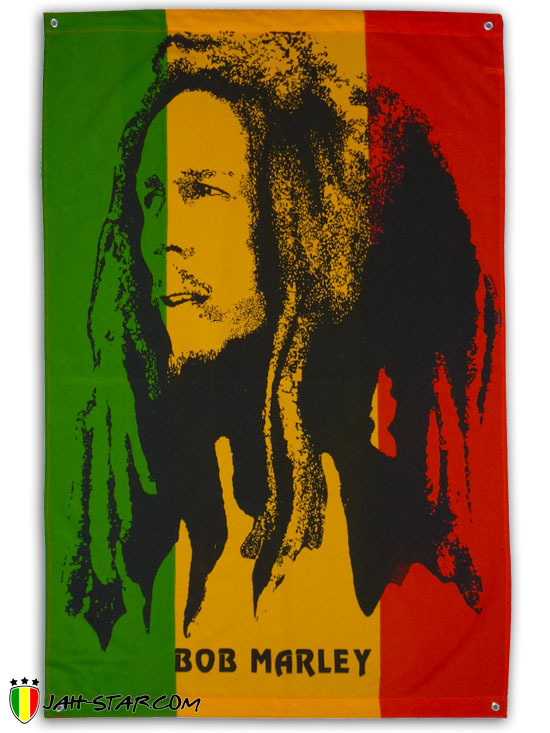 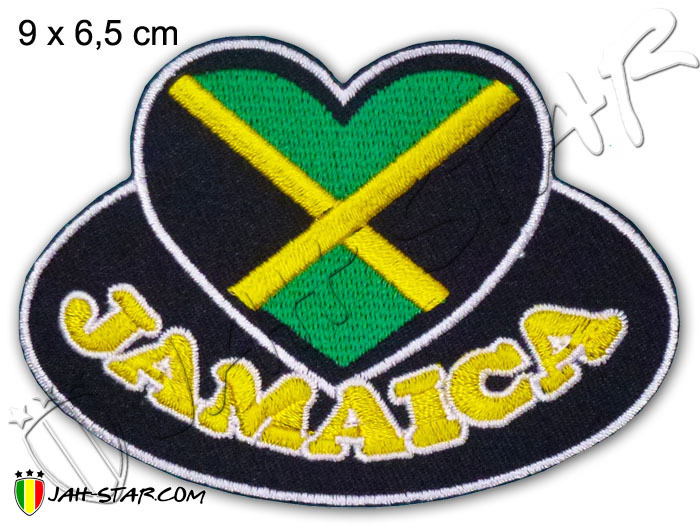 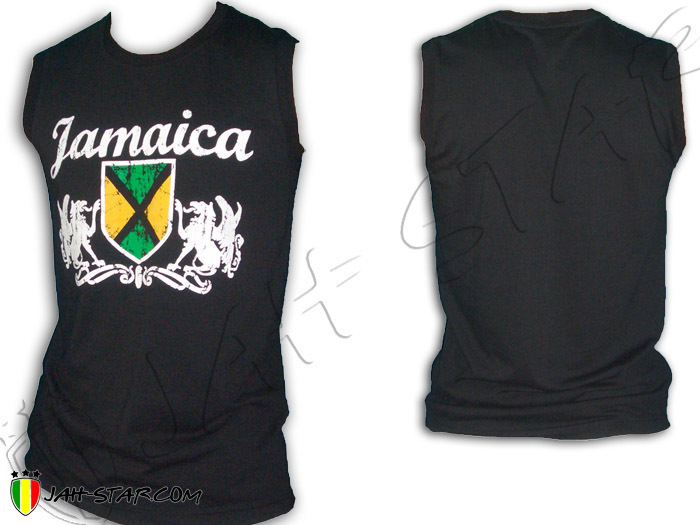 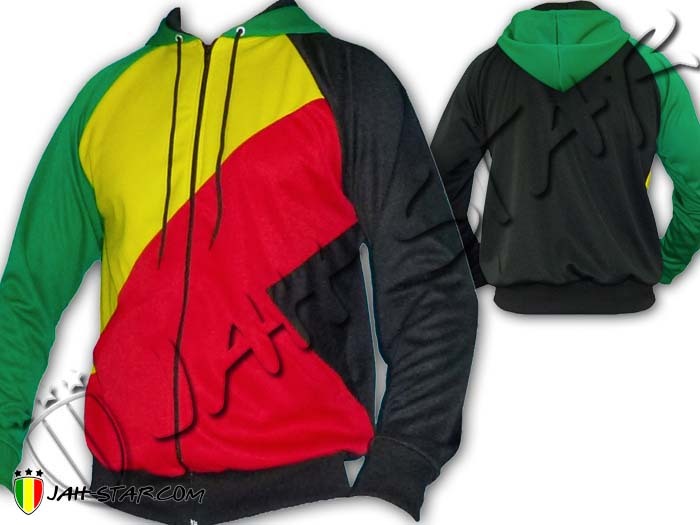 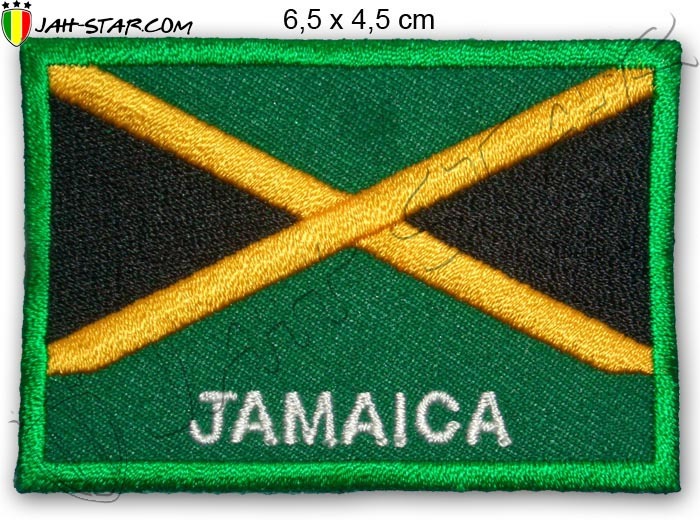 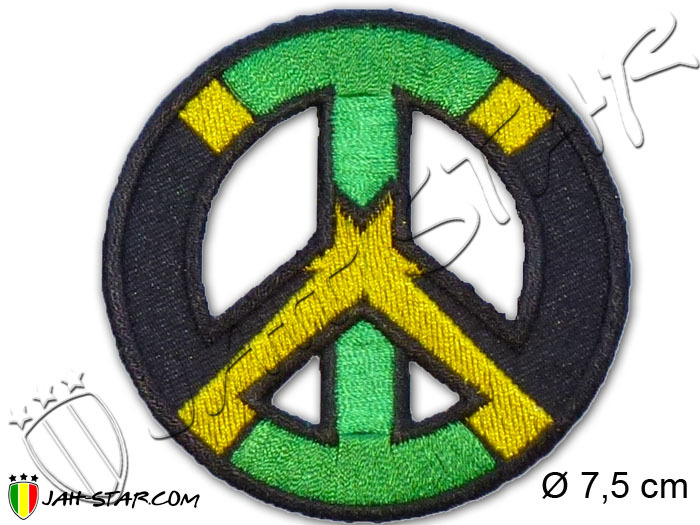 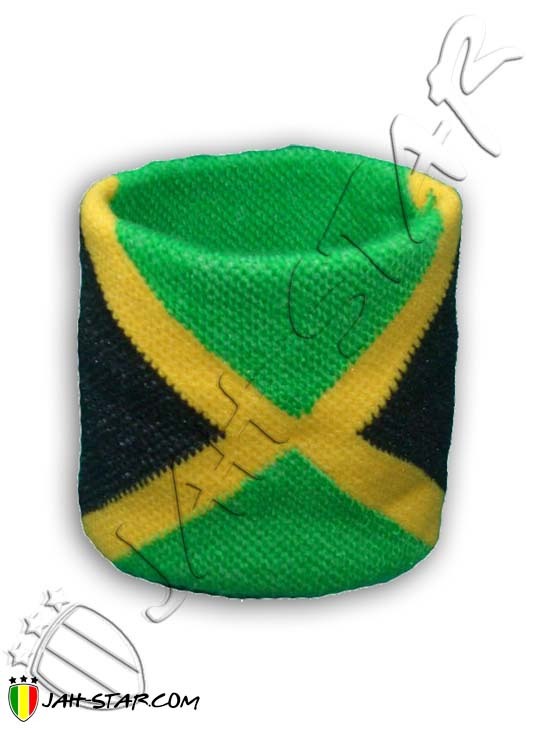 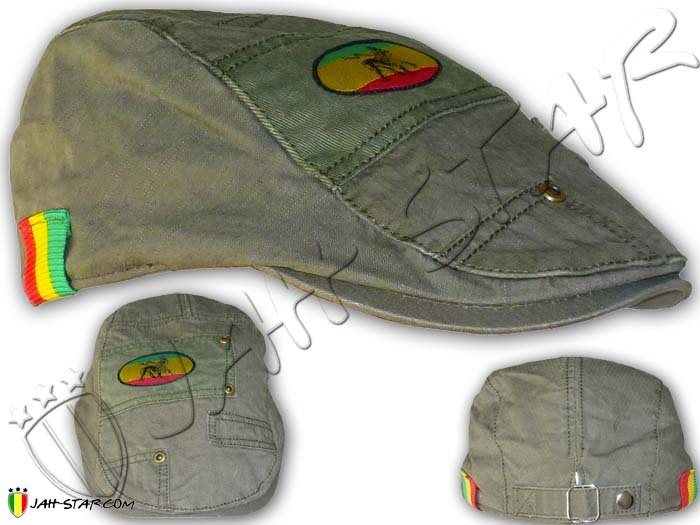 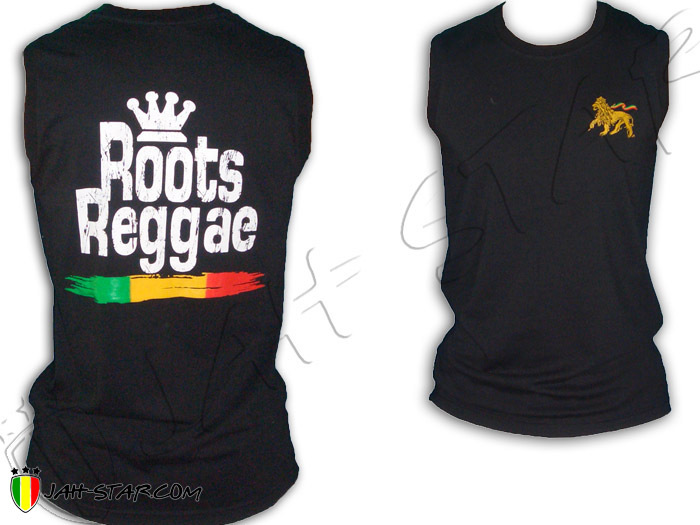 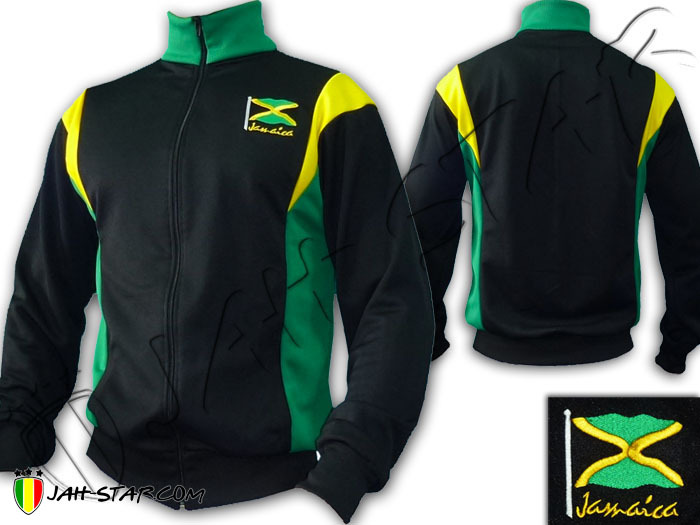 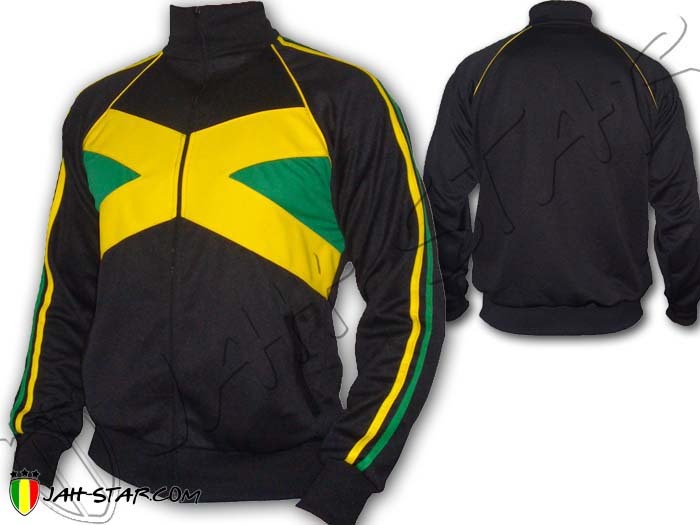 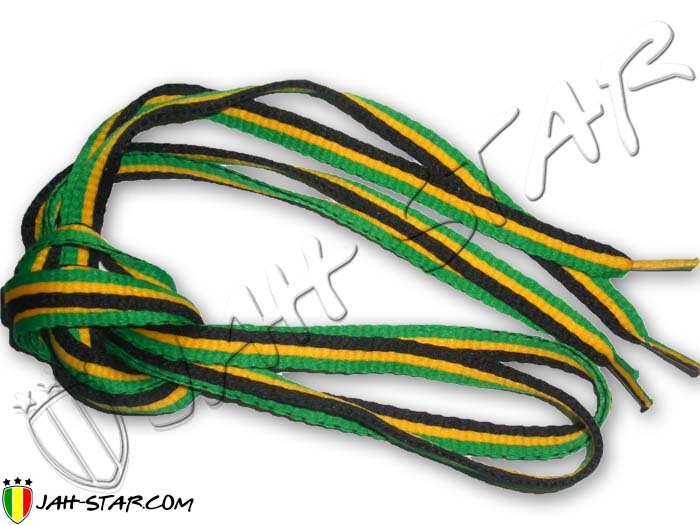 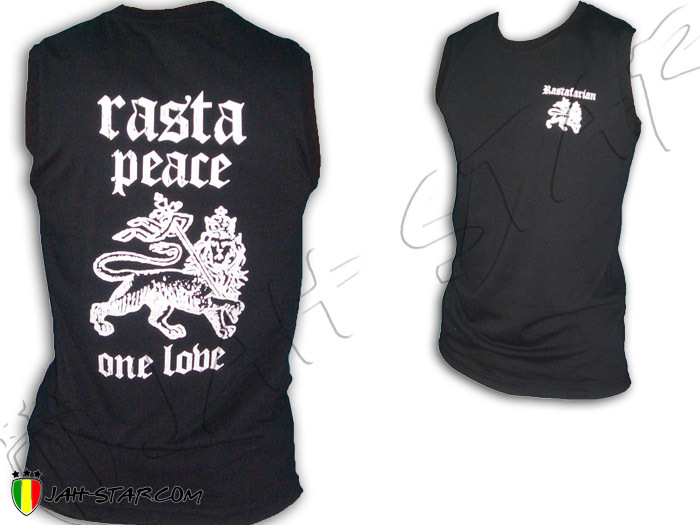 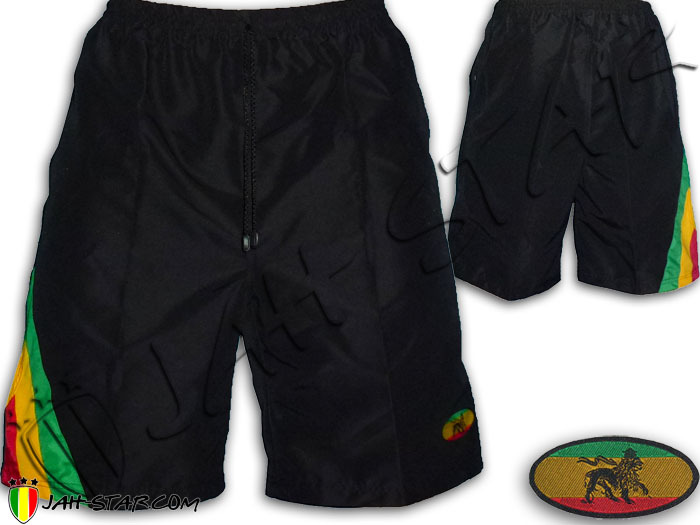 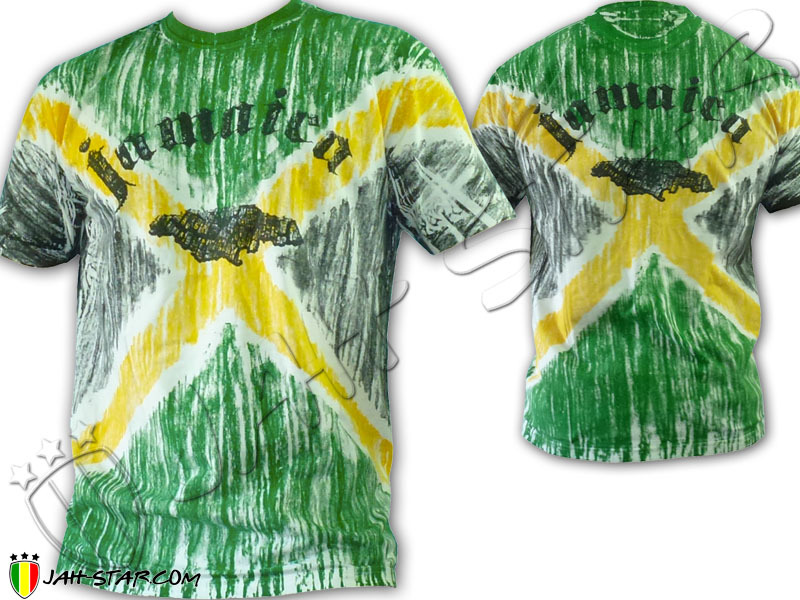 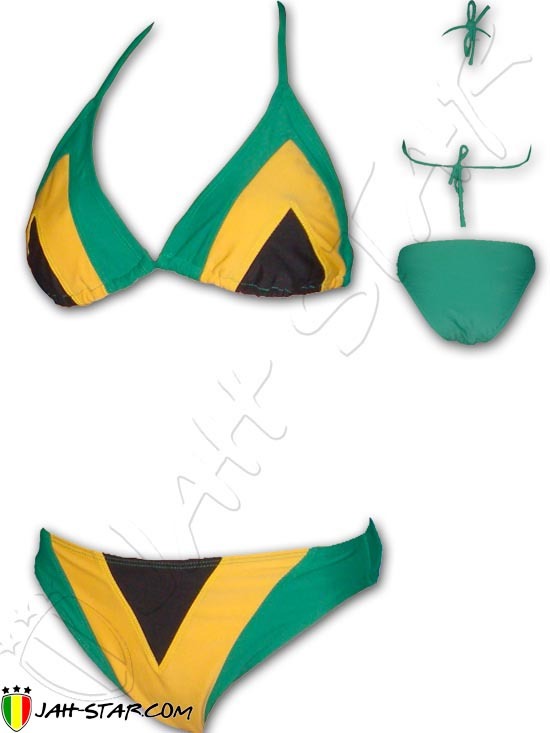 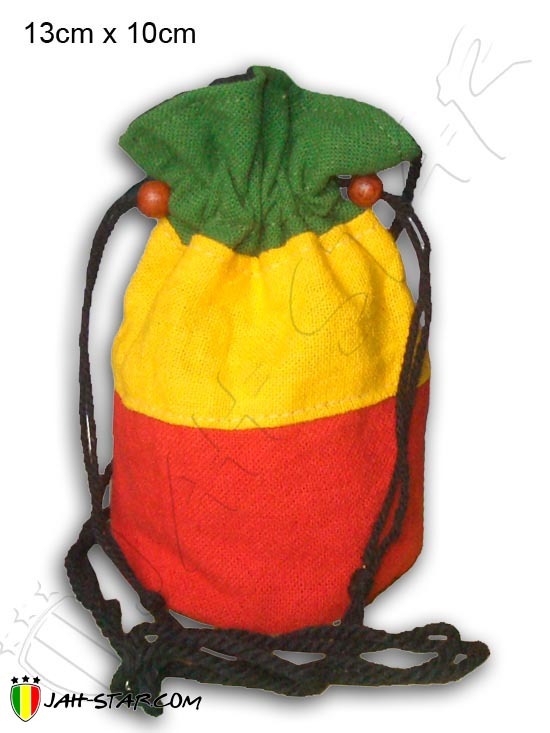 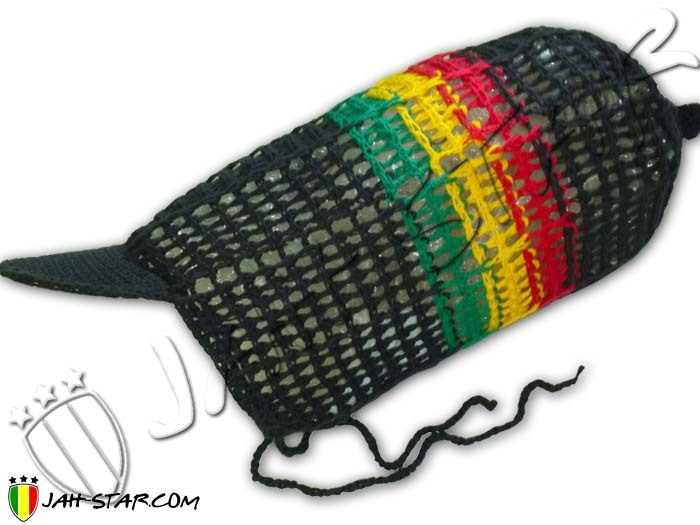 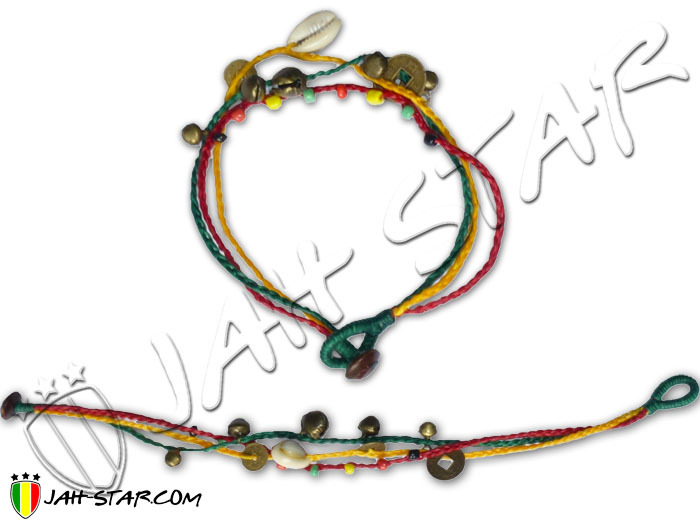 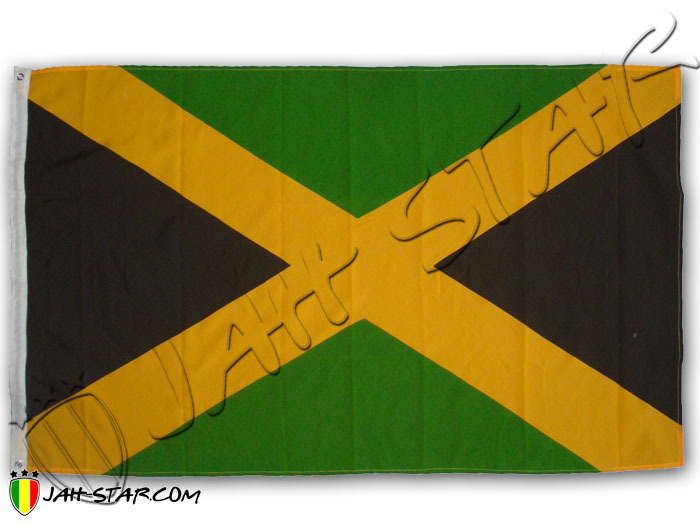 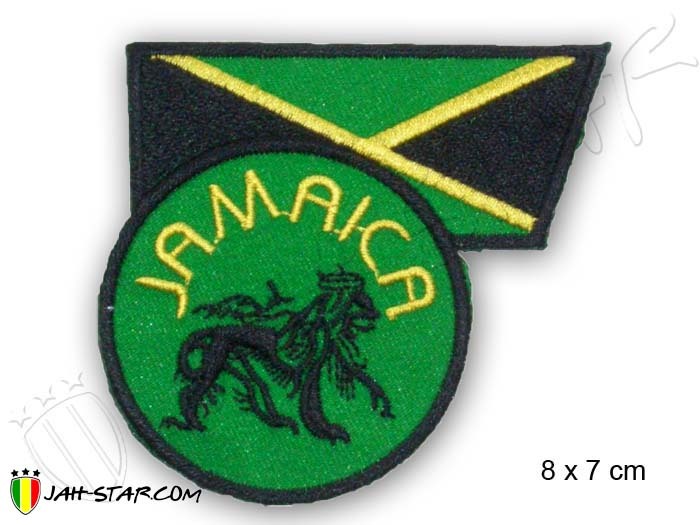 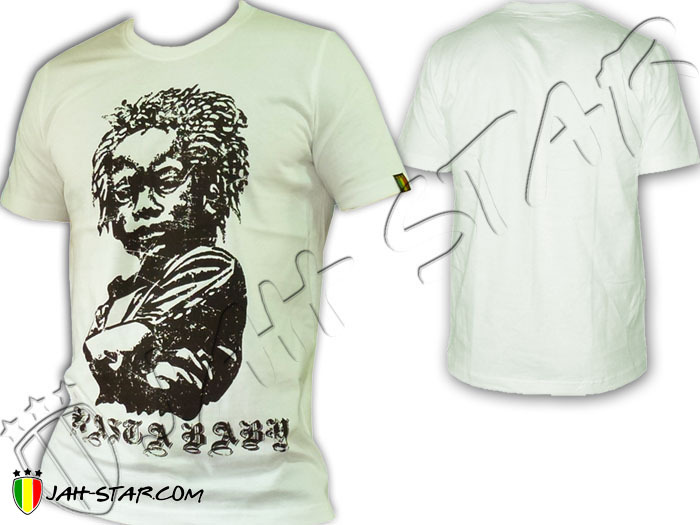 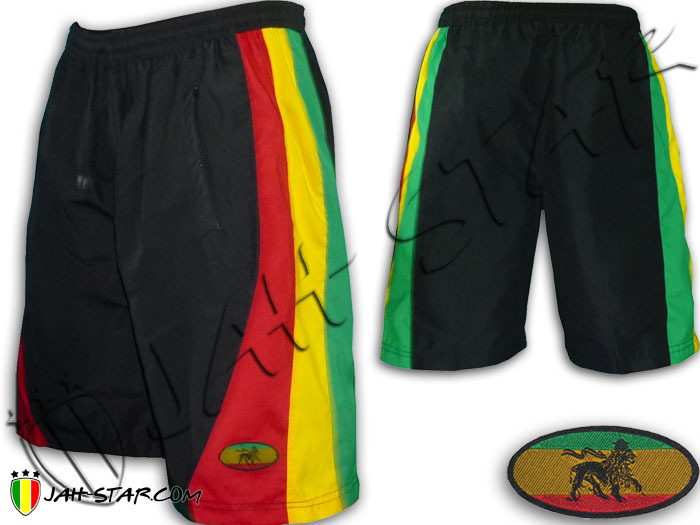 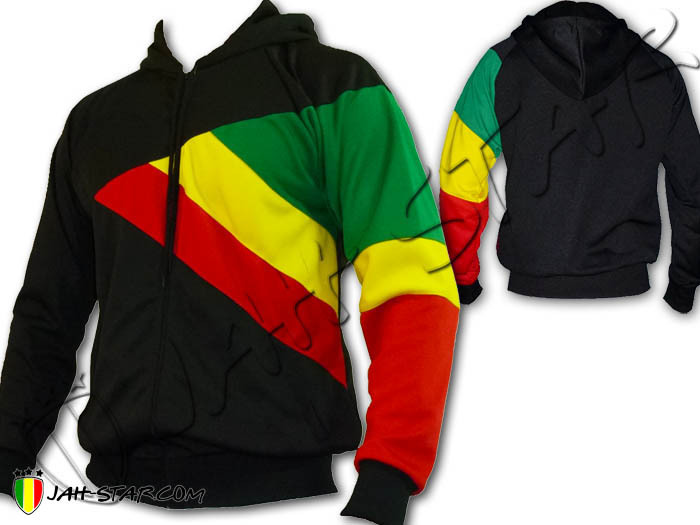 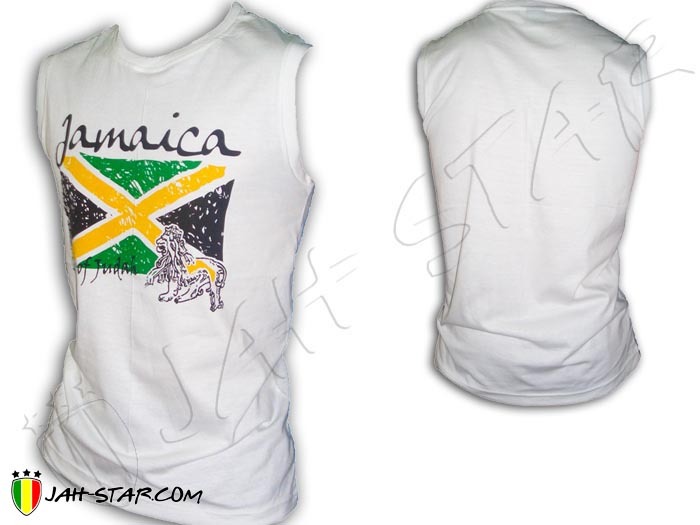 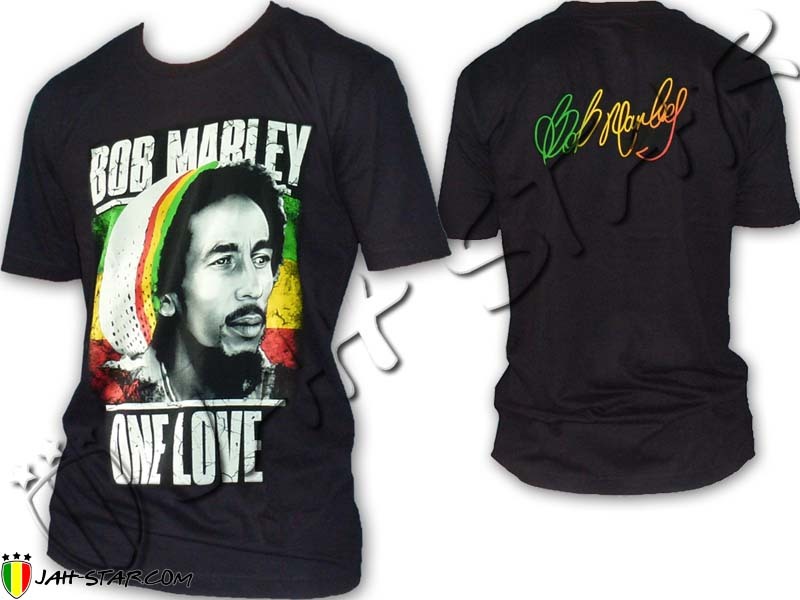 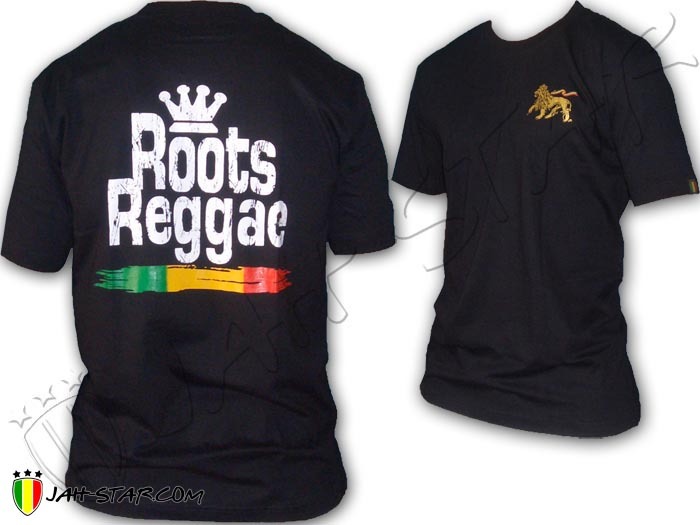 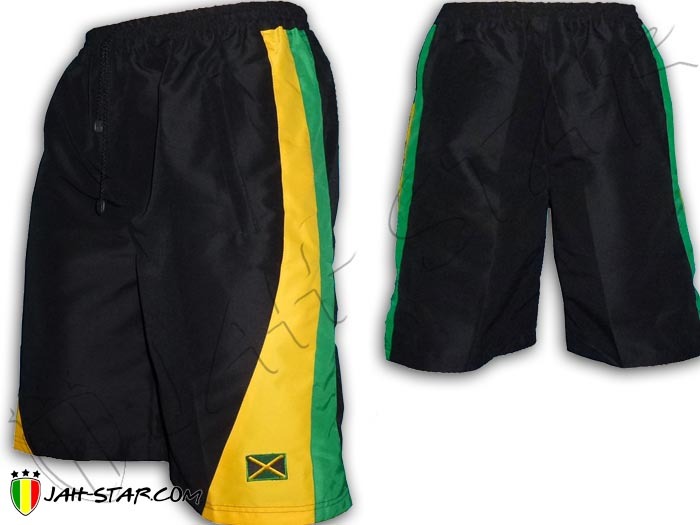 Jamaica logo in large.. 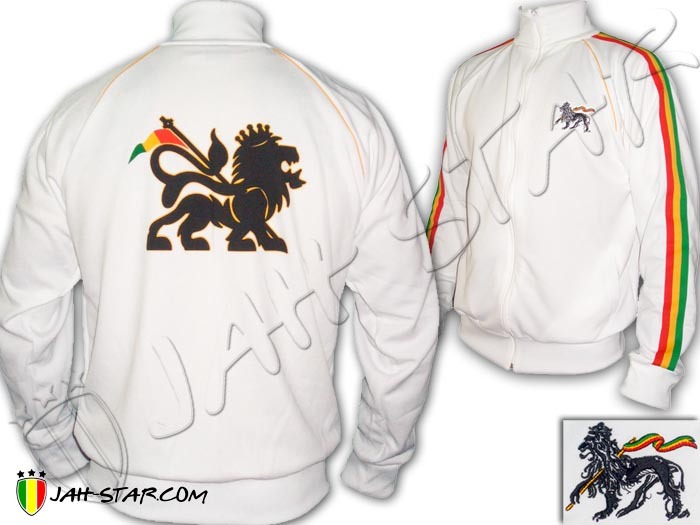 This Jah Star Rasta jacket is made with 100% polyester, sleeveless featuring rasta stripes red yellow green, on the chest you will find the Lion Of Judah embroidered. 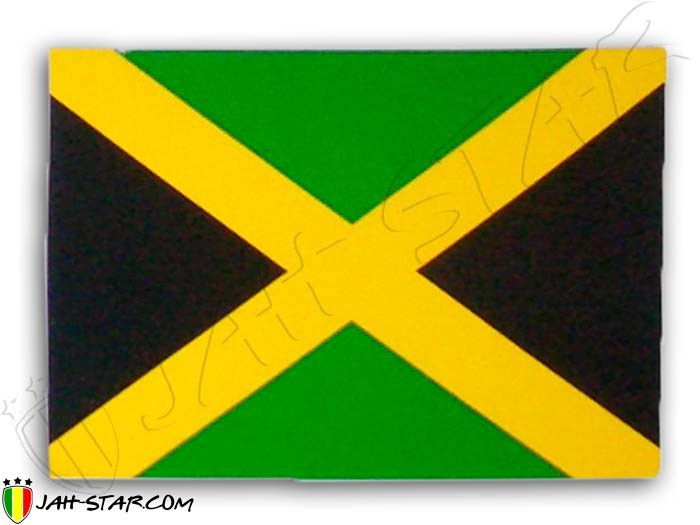 Big Jamaican map with a.. 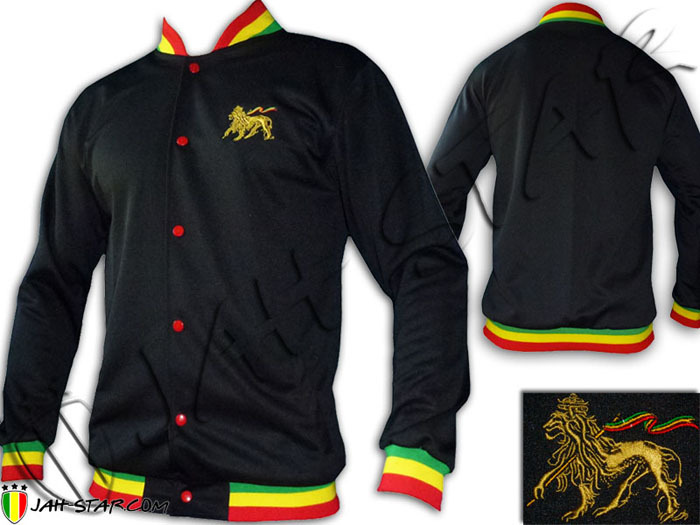 This Jah Star Rasta jacket is made with 100% polyester, sleeveless featuring rasta stripes red yellow green, on the chest you will find the Lion Of Judah embroidered. 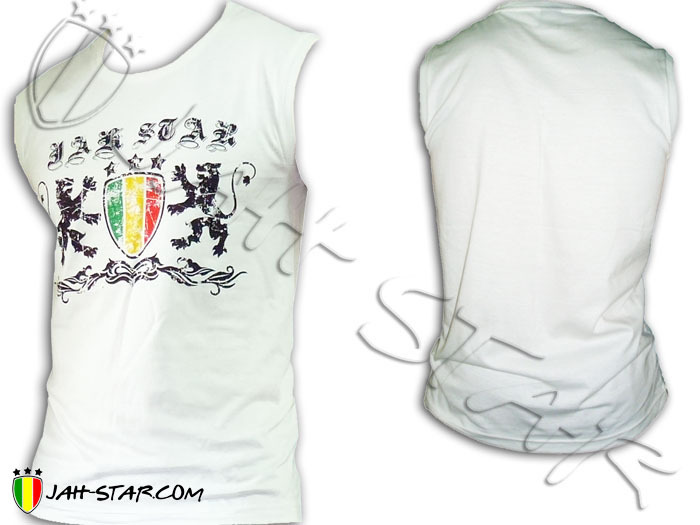 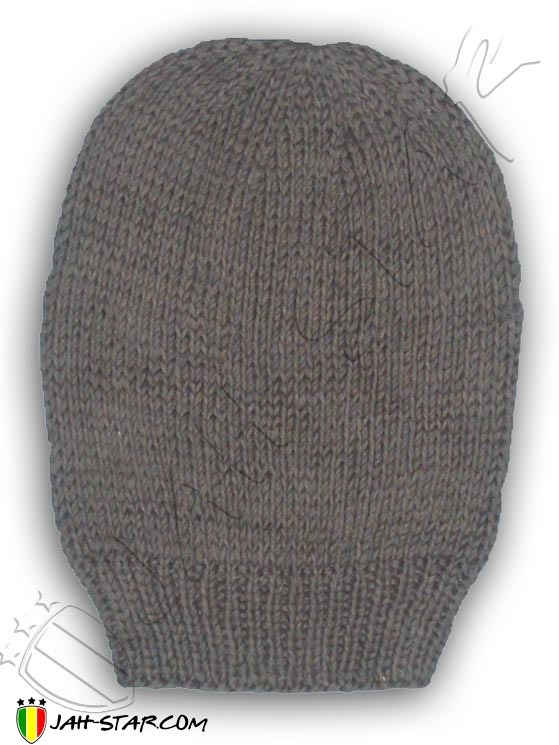 Large printed logo on the.. 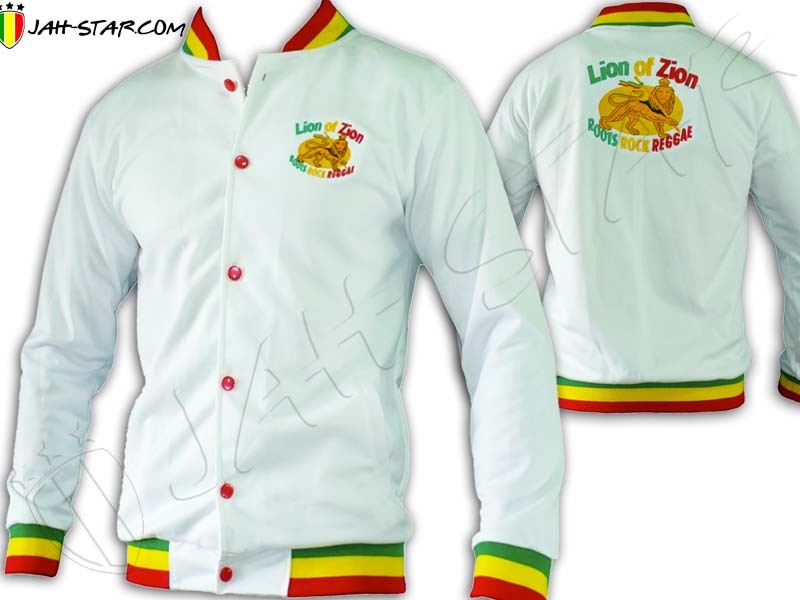 This Jah Star Rasta jacket is made with 100% polyester, sleeveless featuring rasta stripes red yellow green, on the chest you will find the Lion Of Judah embroidered. 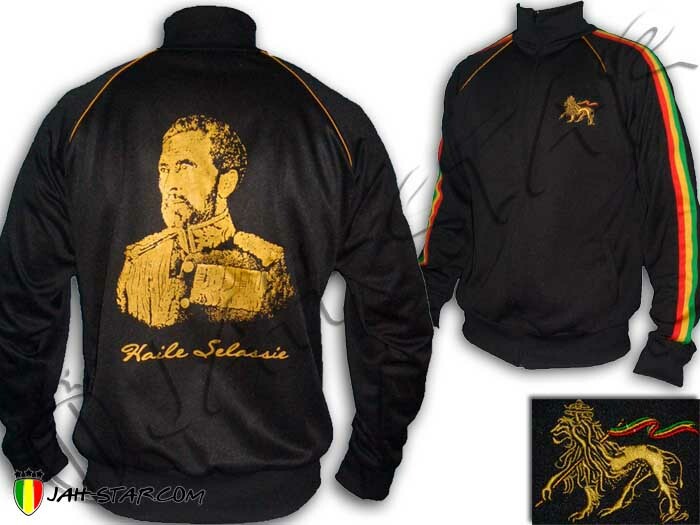 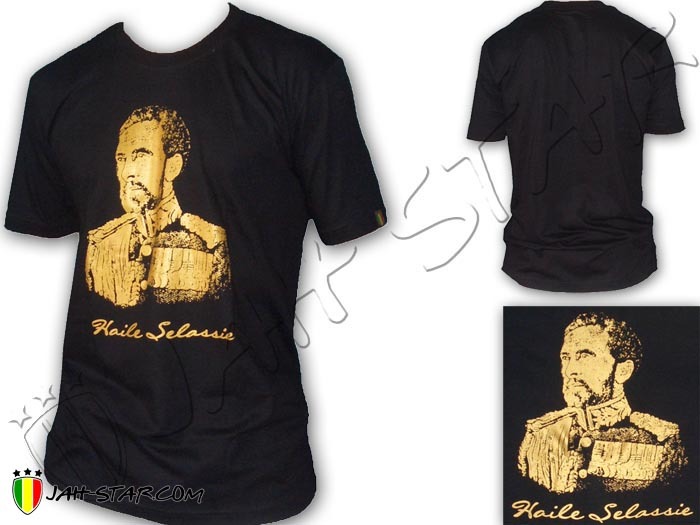 Portrait of Haile.. 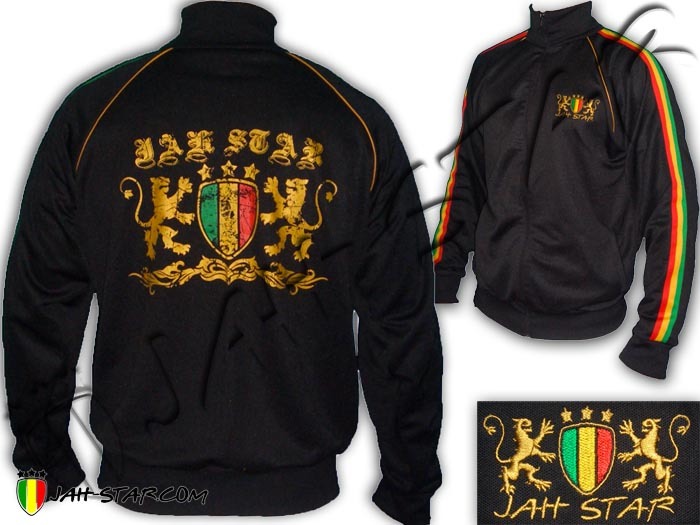 This Jah Star Rasta jacket is made with 100% polyester, sleeveless featuring rasta stripes red yellow green, on the chest you will find the Lion Of Judah embroidered. 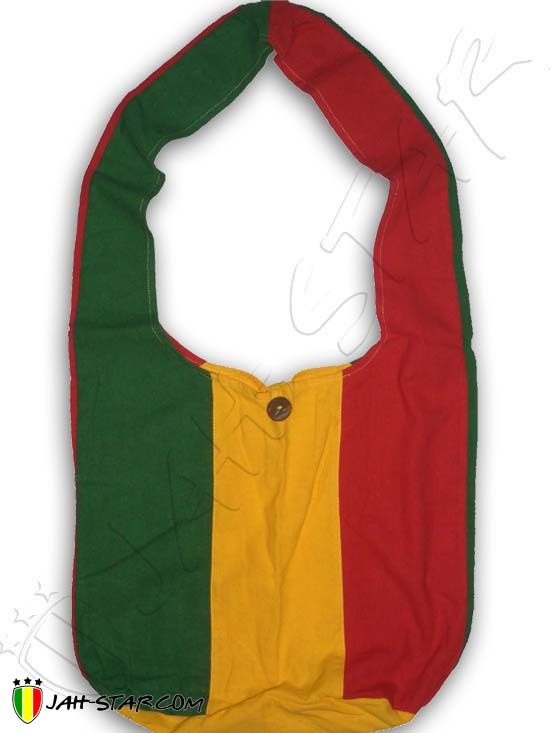 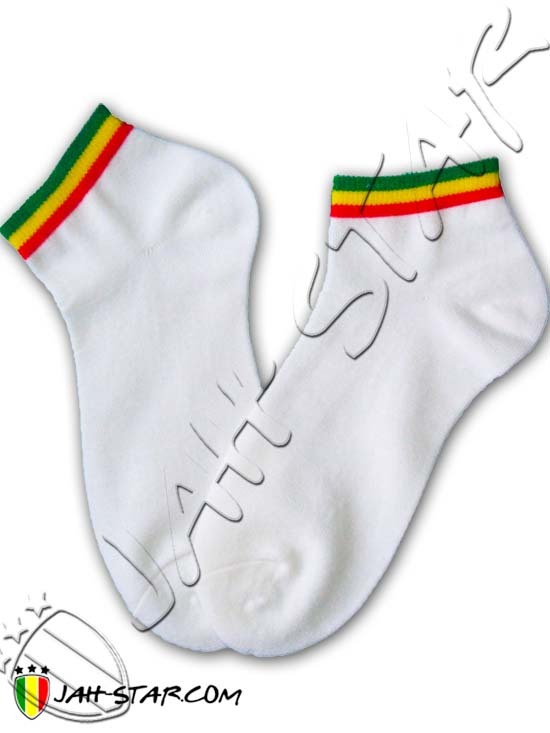 Rasta Baby logo is printed.. 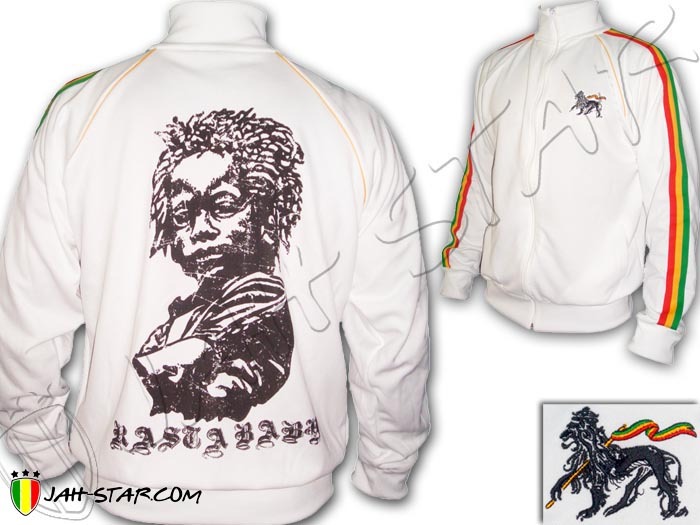 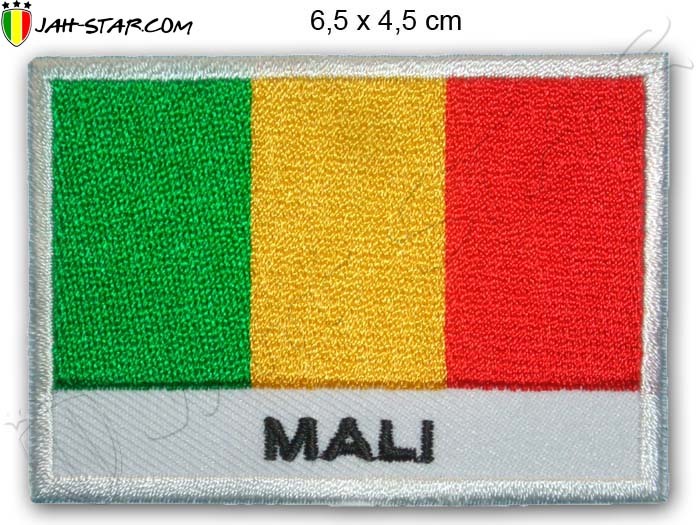 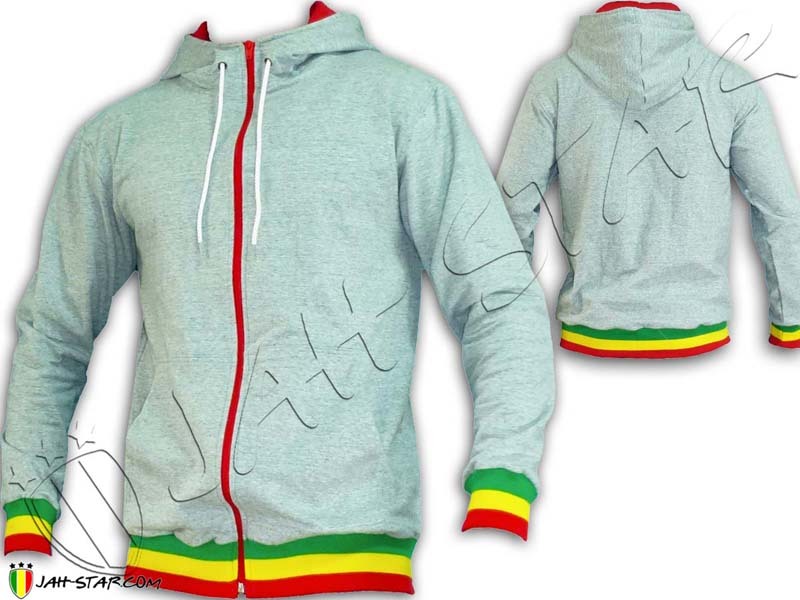 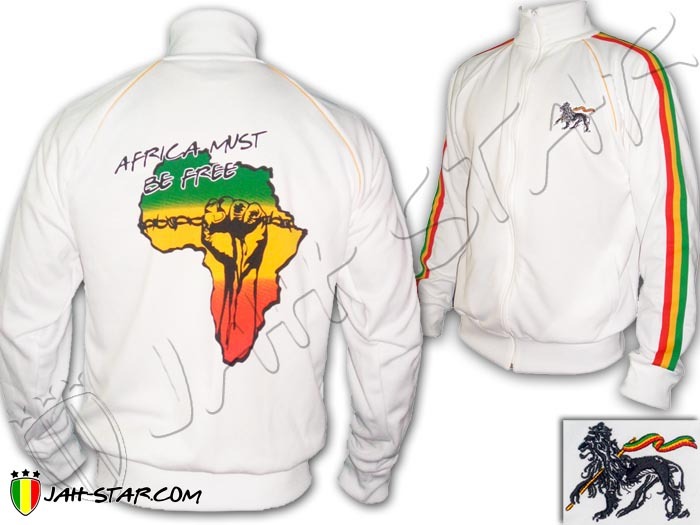 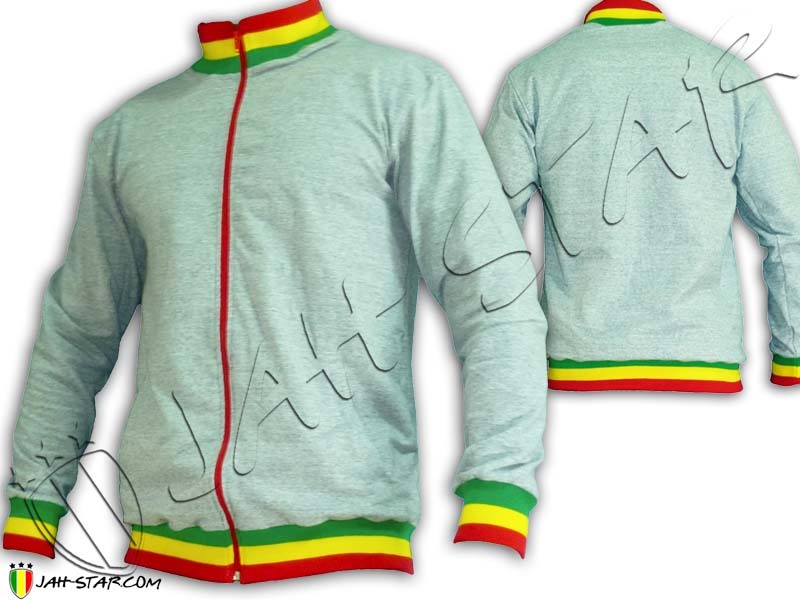 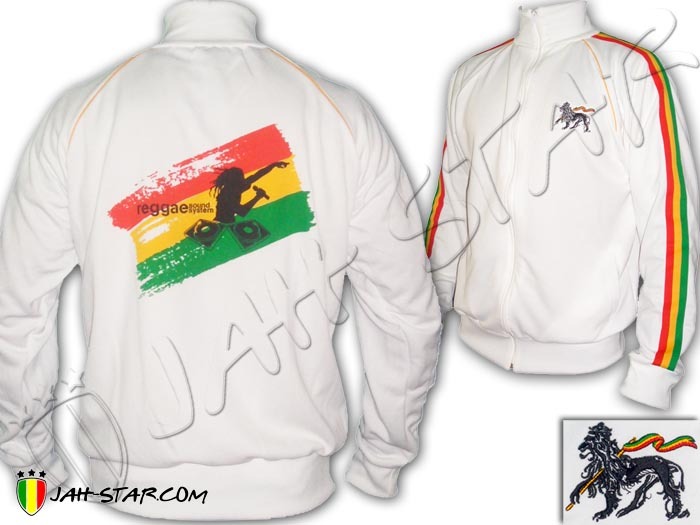 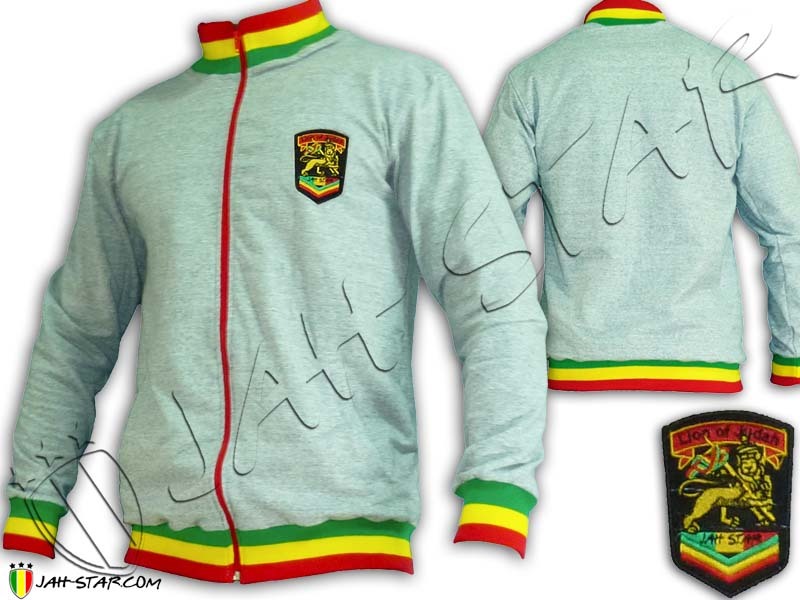 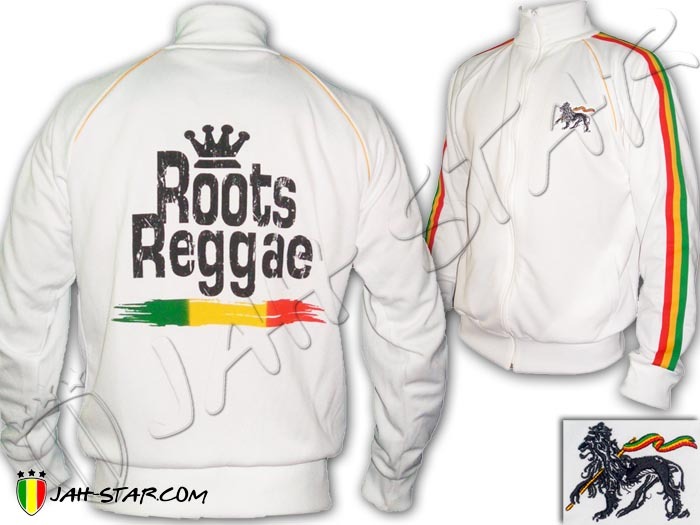 This Jah Star Rasta jacket is made with 100% polyester, sleeveless featuring rasta 3 stripes red yellow green sams as famous sport brand, on the chest you will find the Lion Of Judah.. 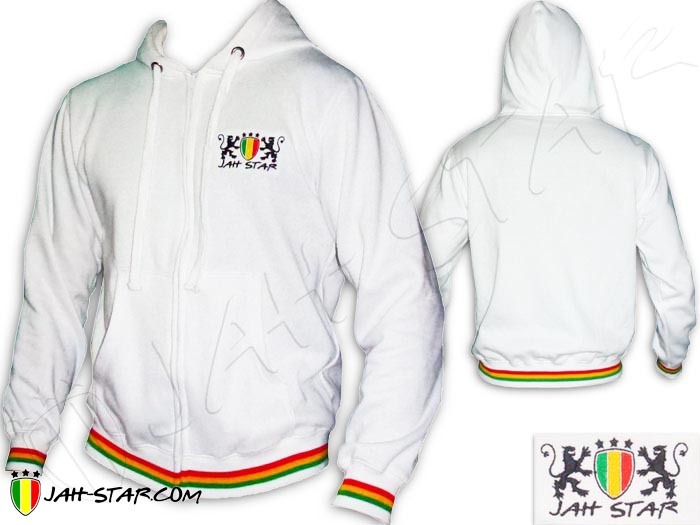 This Jah Star Rasta jacket is made with 100% polyester, sleeveless featuring rasta stripes red yellow green, on the chest you will find the Lion Of Judah embroidered. 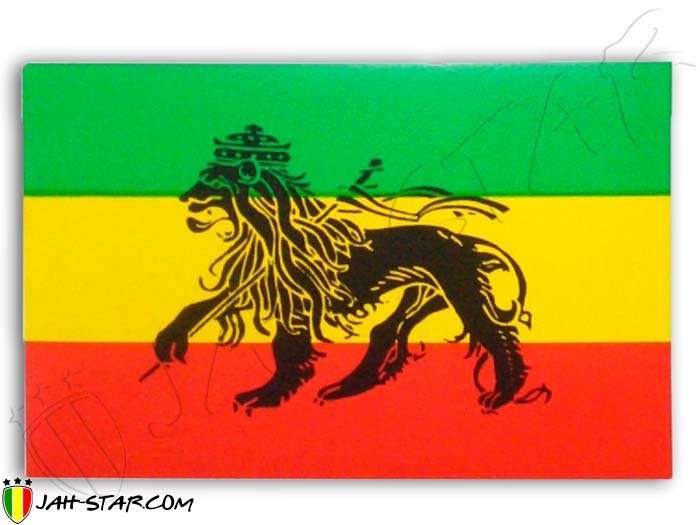 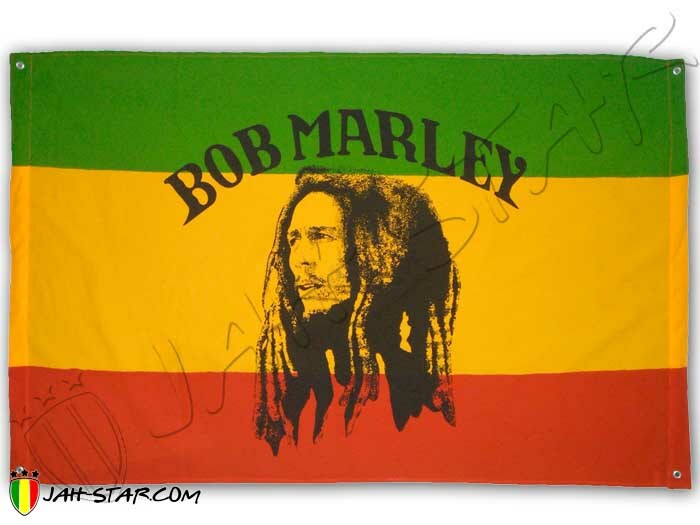 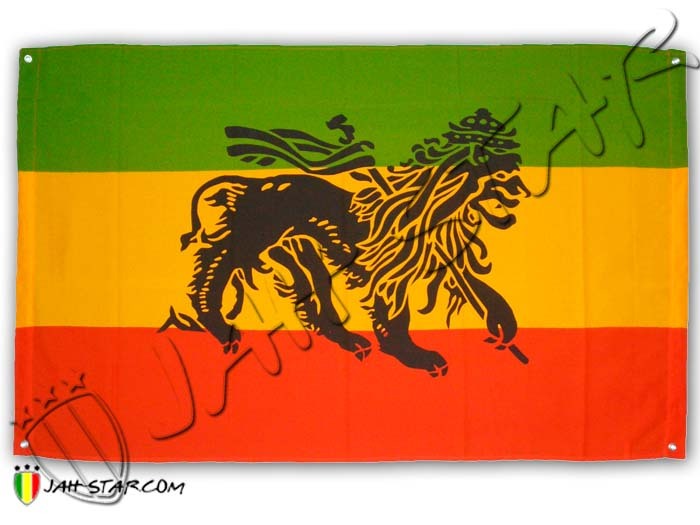 Jamaica flag with a Lion.. 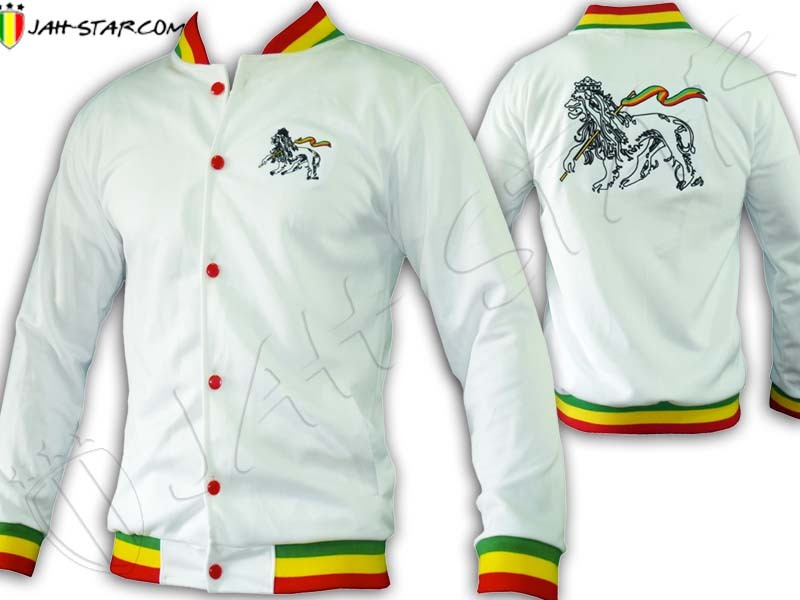 This Jah Star Rasta jacket is made with 100% polyester, sleeveless featuring rasta stripes red yellow green, on the chest you will find the Lion Of Judah embroidered. 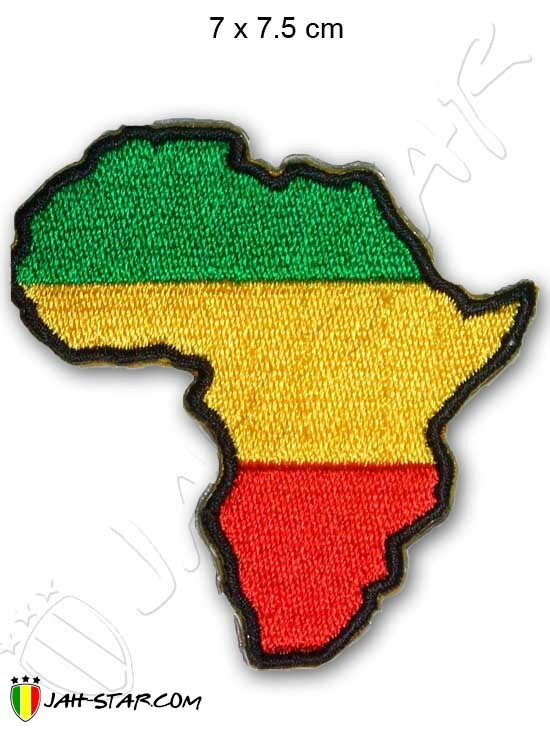 Big Africa map with a fist.. 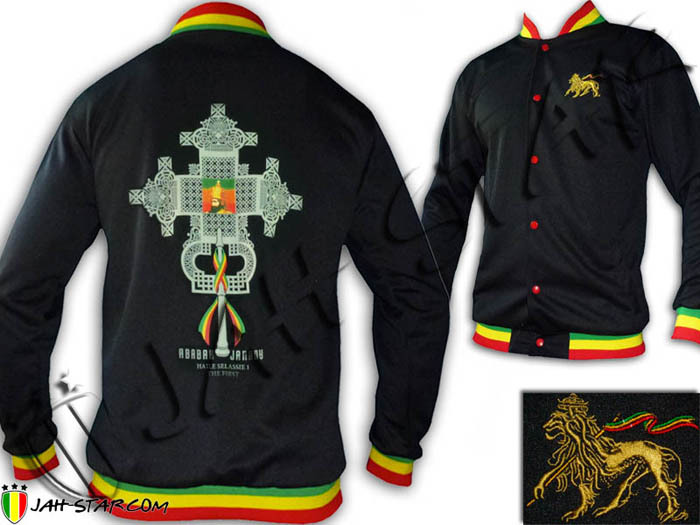 This Jah Star Rasta jacket is made with 100% polyester, sleeveless featuring rasta stripes red yellow green, on the chest you will find the Lion Of Judah embroidered. 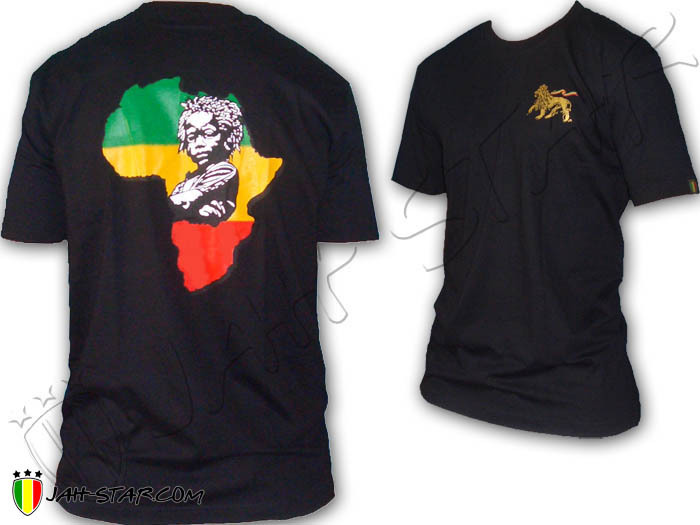 Africa Baby logo is.. 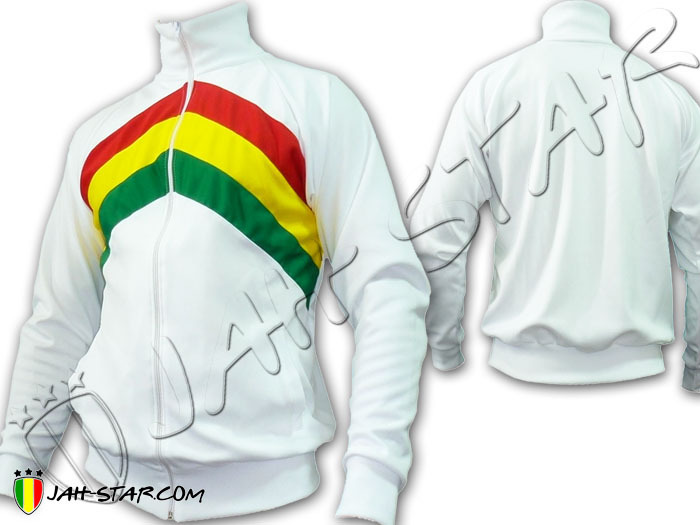 This Jah Star Rasta jacket is made with 100% polyester, sleeveless featuring rasta stripes red yellow green, on the chest you will find the Lion Of Judah embroidered. 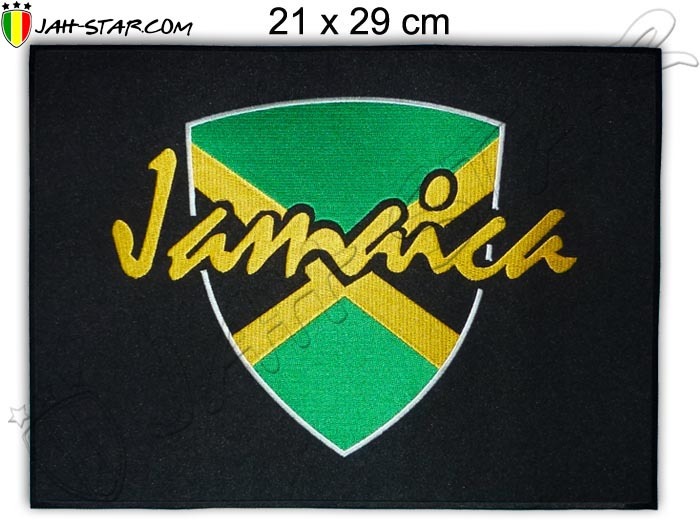 Jamaica logo is printed on.. 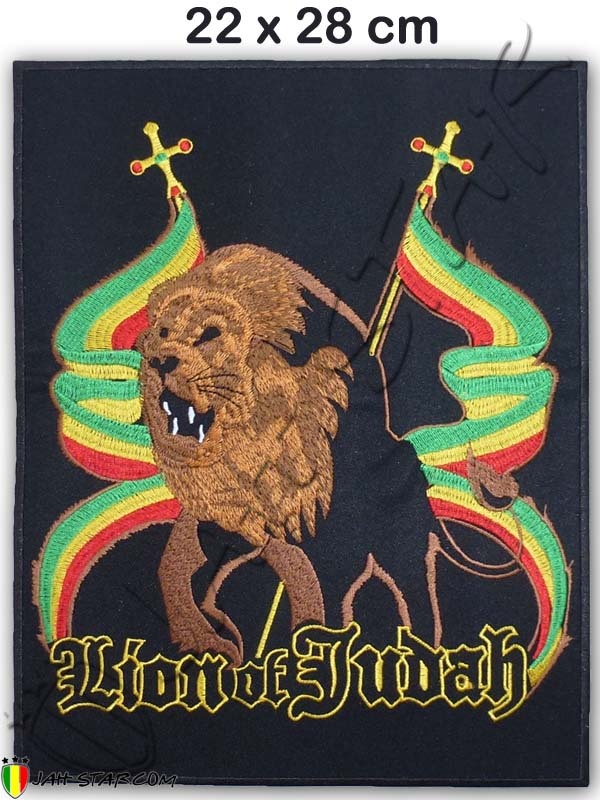 This Jah Star Rasta jacket is made with 100% polyester, sleeveless featuring rasta stripes red yellow green, on the chest you will find the Lion Of Judah embroidered. 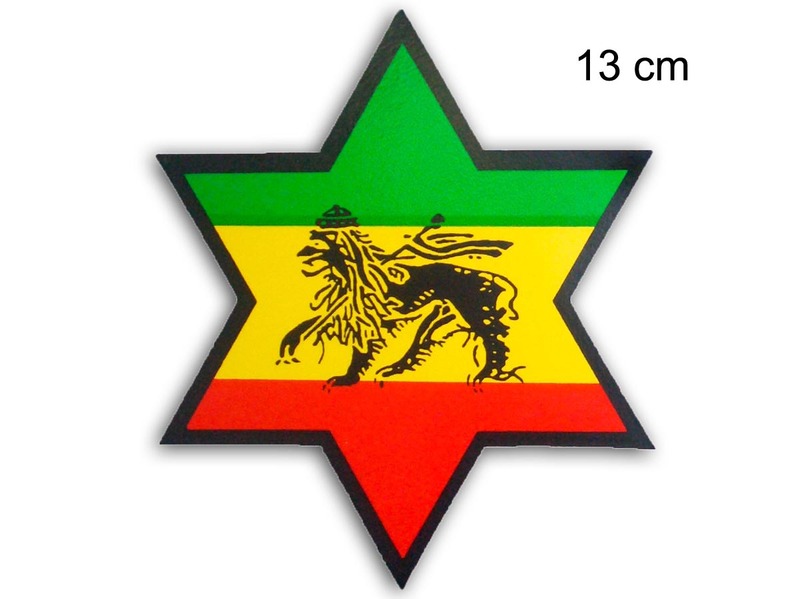 DJ Sound System logo is.. 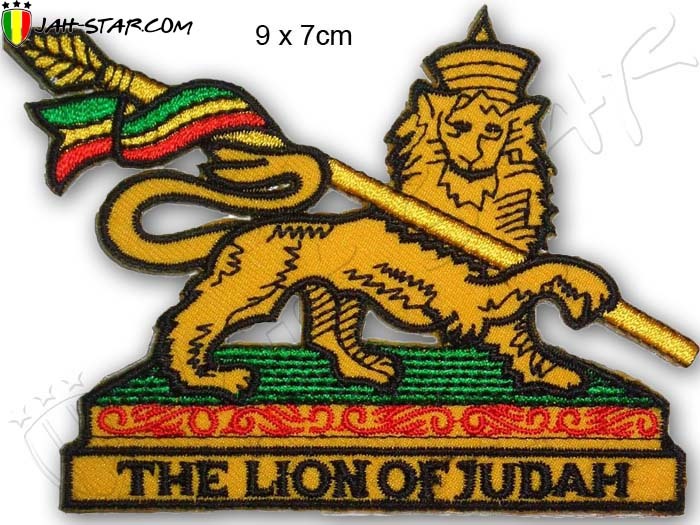 This Jah Star Rasta jacket is made with 100% polyester, sleeveless featuring rasta stripes red yellow green, on the chest you will find the Lion Of Judah embroidered. 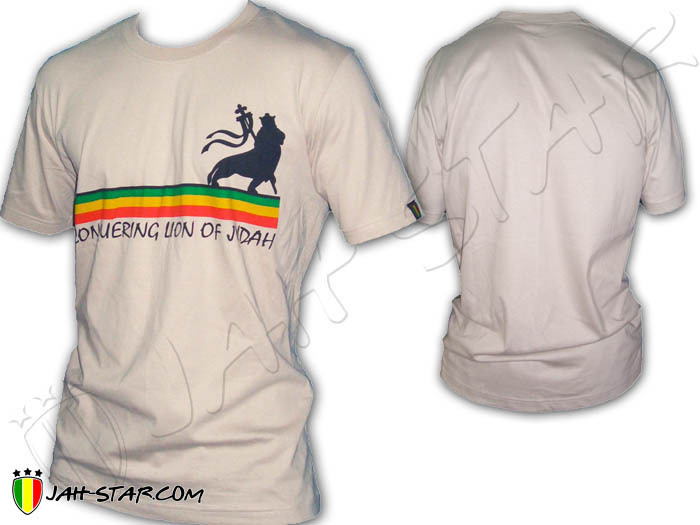 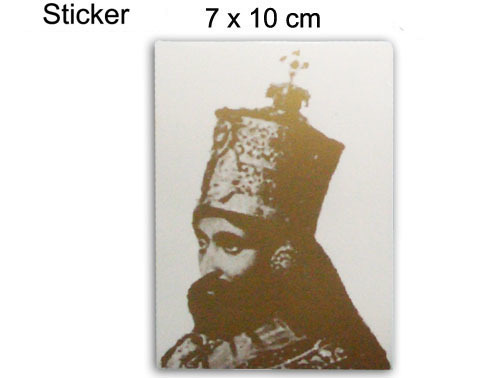 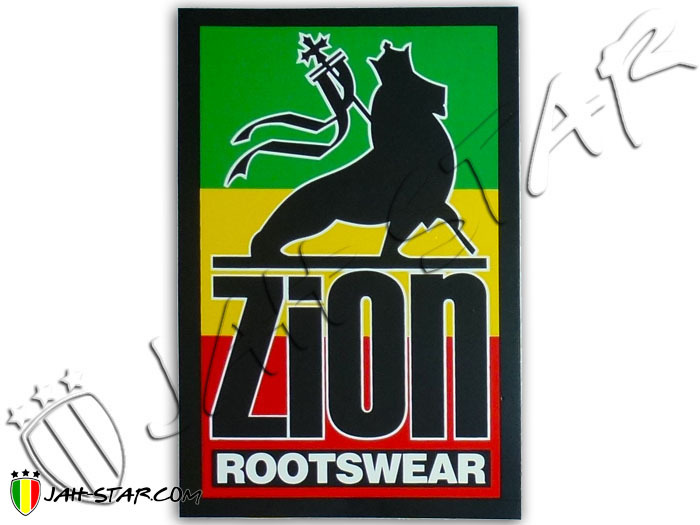 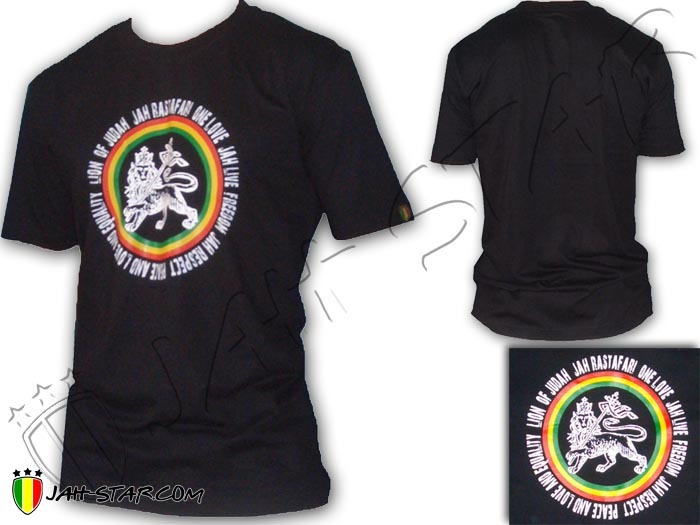 Conquering Lion Of Judah.. 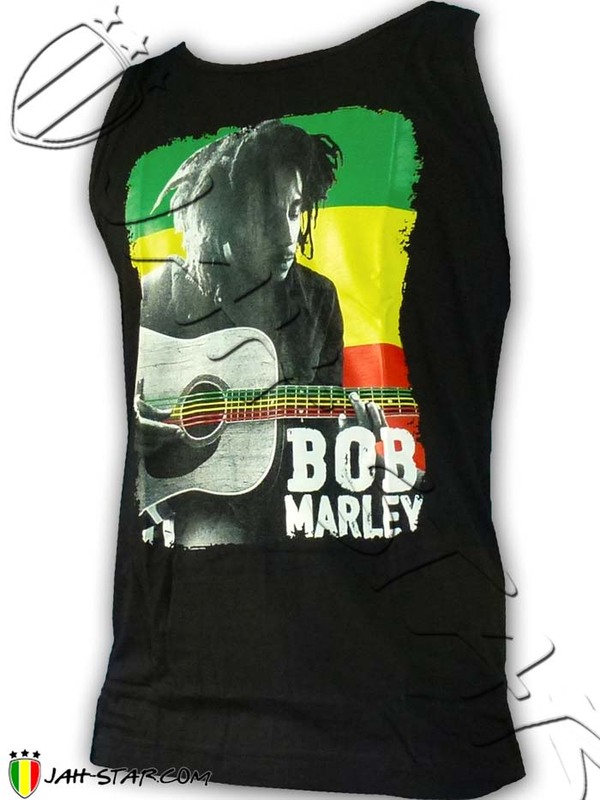 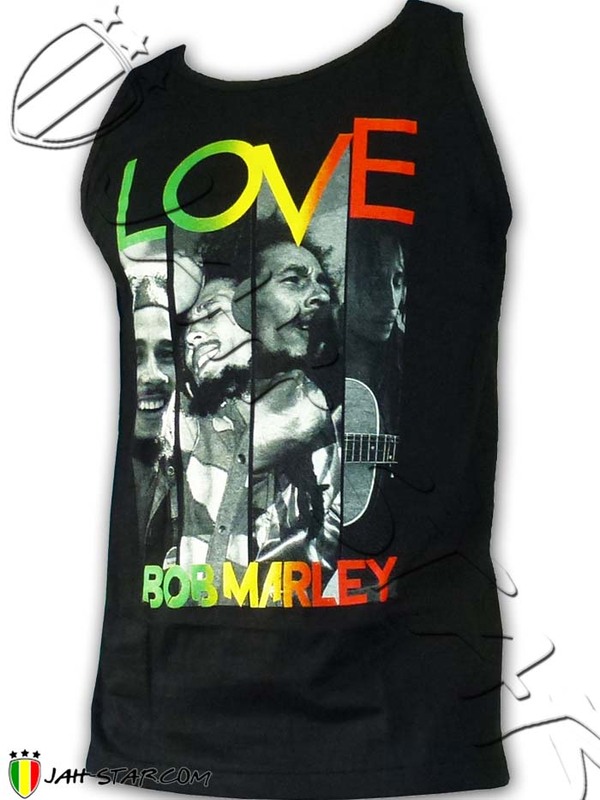 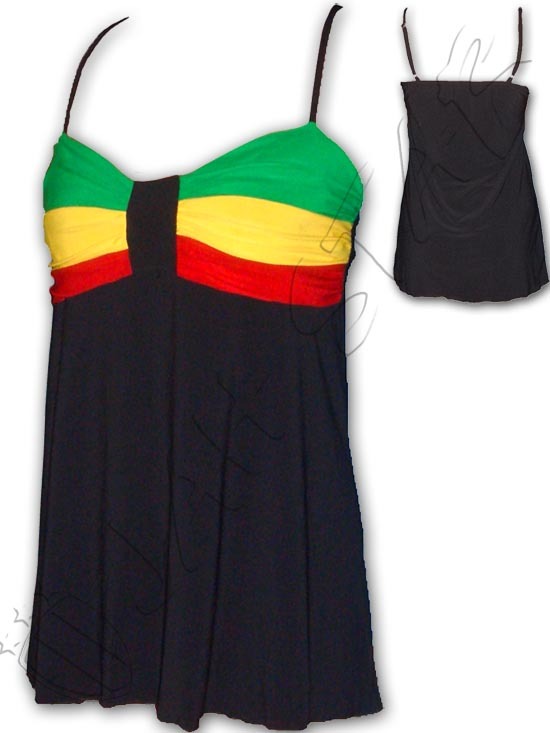 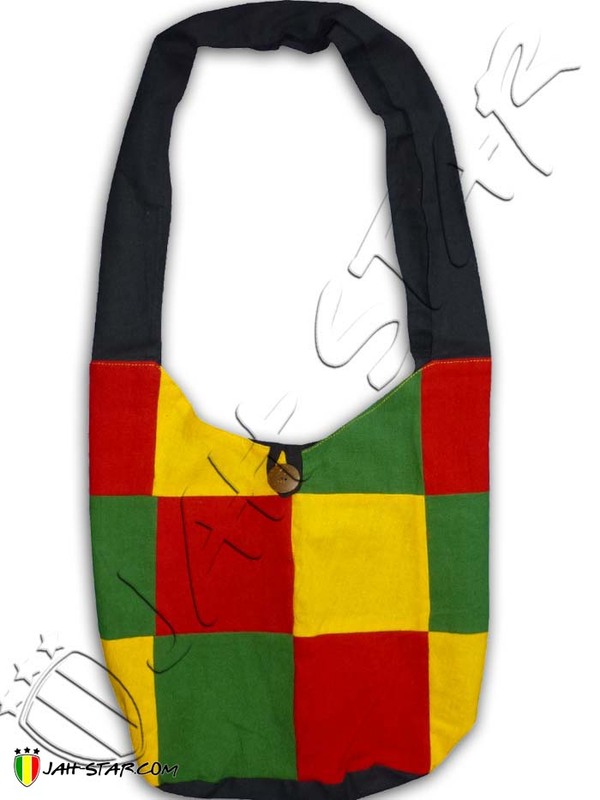 Stretch Dress Rasta Reggae high quality, 95% Rayon 5% Spantex. 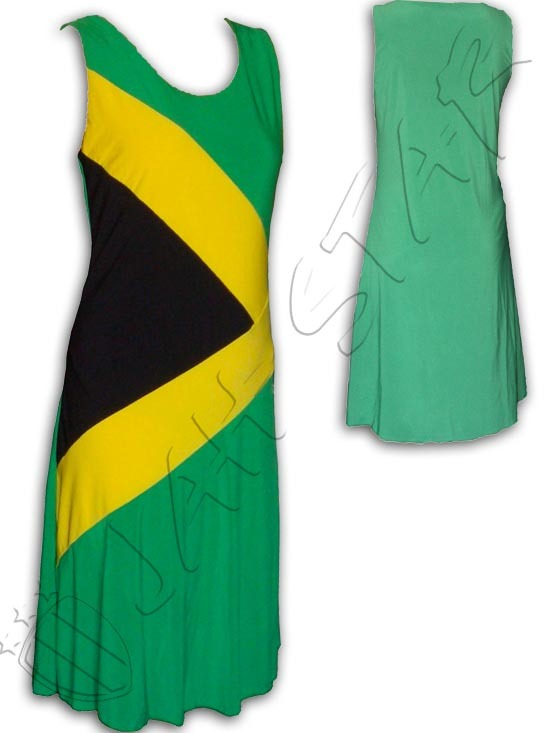 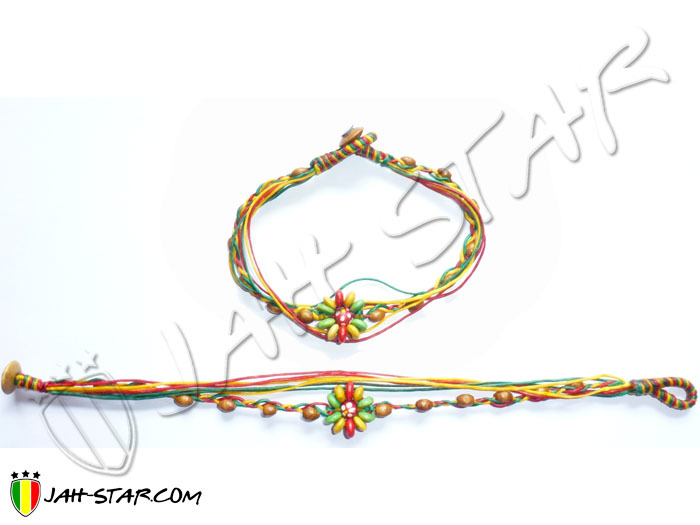 Available in S/M size only. 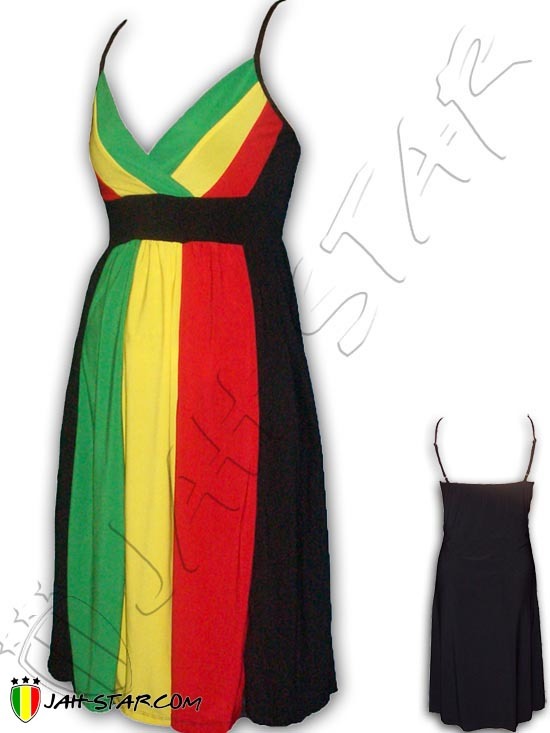 Stretch Dress Rasta high quality, 95% Rayon 5% Spantex. 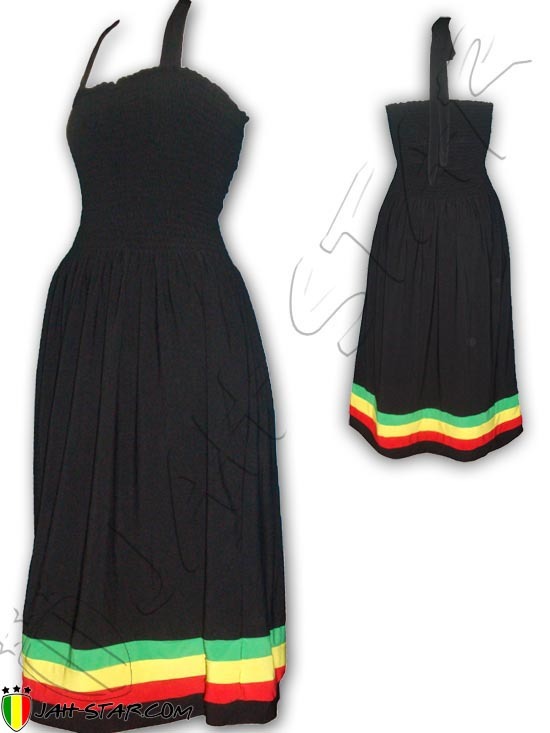 Available in S/M size only.